Tropical Garden, Palm Beach #YNG-012. 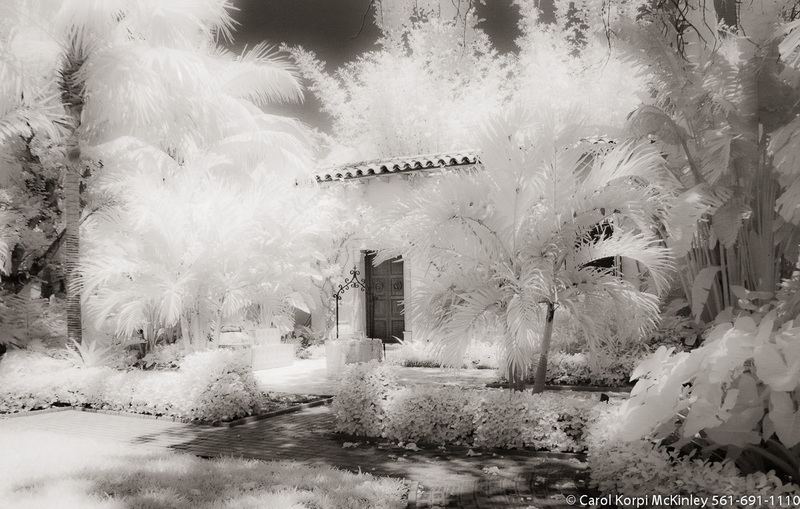 Infrared Photograph, Stretched and Gallery Wrapped, Limited Edition Archival Print on Canvas: 40 x 56 inches, $1590. Custom Proportions and Sizes are Available. For more information or to order please visit our ABOUT page or call us at 561-691-1110. Tropical Garden, Palm Beach #YNL-018. Infrared Photograph, Stretched and Gallery Wrapped, Limited Edition Archival Print on Canvas: 72 x 40 inches, $1620. Custom Proportions and Sizes are Available. For more information or to order please visit our ABOUT page or call us at 561-691-1110. Tropical Garden, Palm Beach #YNG-018. Infrared Photograph, Stretched and Gallery Wrapped, Limited Edition Archival Print on Canvas: 72 x 40 inches, $1620. Custom Proportions and Sizes are Available. For more information or to order please visit our ABOUT page or call us at 561-691-1110. Tropical Garden, Palm Beach #YNG-020. 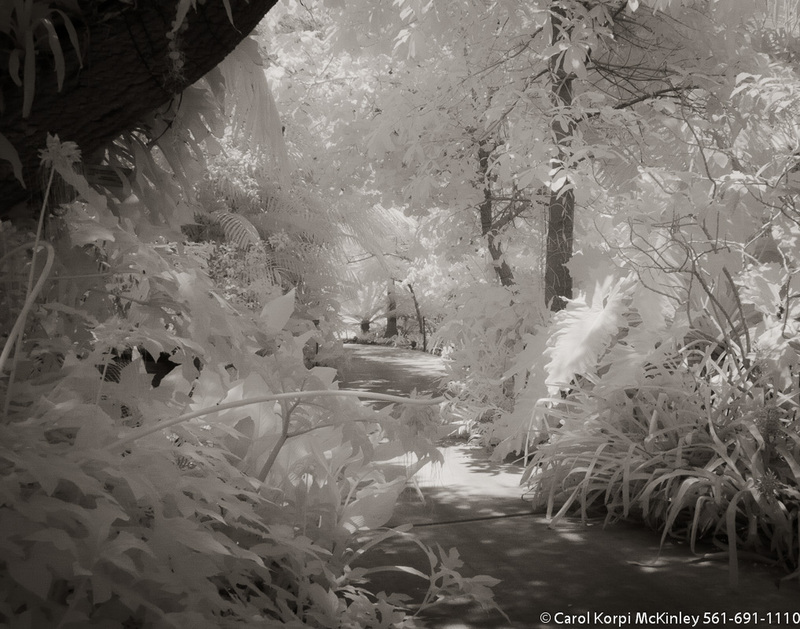 Infrared Photograph, Stretched and Gallery Wrapped, Limited Edition Archival Print on Canvas: 60 x 40 inches, $1590. Custom Proportions and Sizes are Available. For more information or to order please visit our ABOUT page or call us at 561-691-1110. 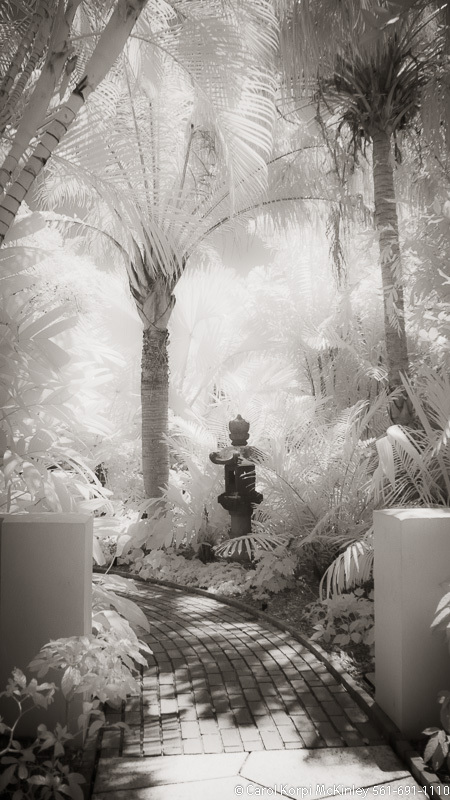 Garden Statue, Palm Beach #YNG-009. 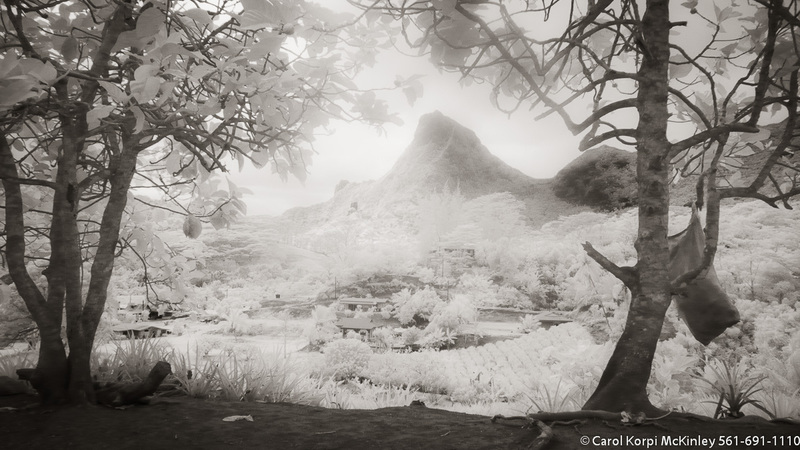 Infrared Photograph, Stretched and Gallery Wrapped, Limited Edition Archival Print on Canvas: 24 x 72 inches, $1560. Custom Proportions and Sizes are Available. For more information or to order please visit our ABOUT page or call us at 561-691-1110. Via , Palm Beach #YNL-016. Infrared Photograph, Stretched and Gallery Wrapped, Limited Edition Archival Print on Canvas: 72 x 40 inches, $1620. Custom Proportions and Sizes are Available. For more information or to order please visit our ABOUT page or call us at 561-691-1110. Tropical Garden, Palm Beach #YNL-020. Infrared Photograph, Stretched and Gallery Wrapped, Limited Edition Archival Print on Canvas: 40 x 72 inches, $1620. Custom Proportions and Sizes are Available. For more information or to order please visit our ABOUT page or call us at 561-691-1110. Tropical Garden, Palm Beach #YNG-017. 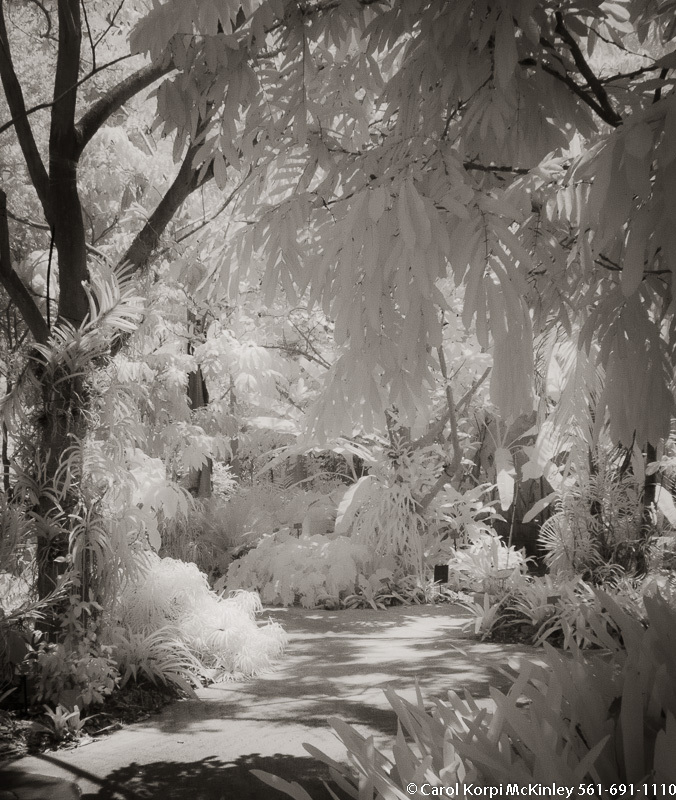 Infrared Photograph, Stretched and Gallery Wrapped, Limited Edition Archival Print on Canvas: 40 x 50 inches, $1560. Custom Proportions and Sizes are Available. For more information or to order please visit our ABOUT page or call us at 561-691-1110. Tropical Garden, Palm Beach #YNG-027. Infrared Photograph, Stretched and Gallery Wrapped, Limited Edition Archival Print on Canvas: 40 x 72 inches, $1620. Custom Proportions and Sizes are Available. For more information or to order please visit our ABOUT page or call us at 561-691-1110. Tropical Garden, Palm Beach #YNG-028. 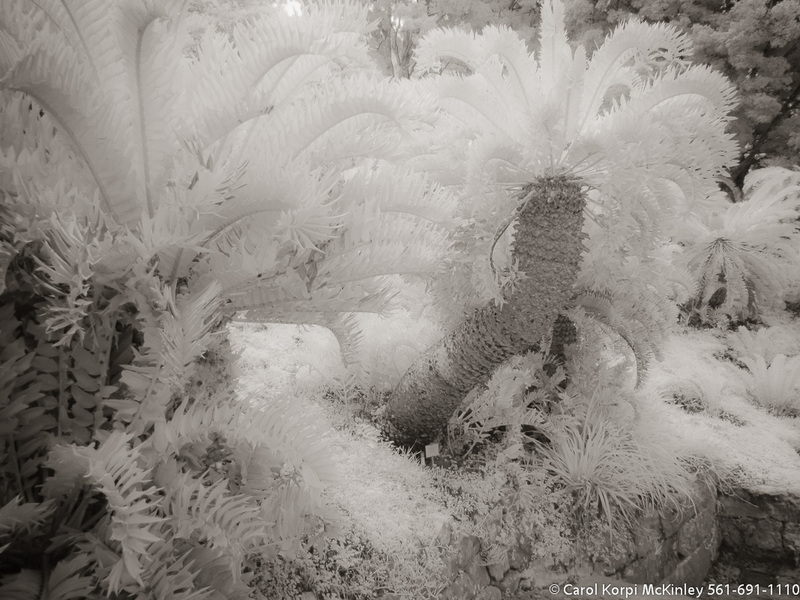 Infrared Photograph, Stretched and Gallery Wrapped, Limited Edition Archival Print on Canvas: 60 x 40 inches, $1590. Custom Proportions and Sizes are Available. For more information or to order please visit our ABOUT page or call us at 561-691-1110. Tropical Garden, Palm Beach #YNG-001. 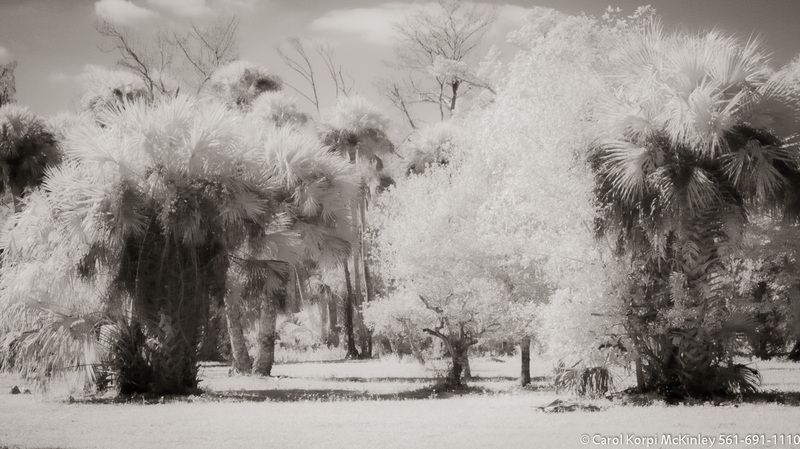 Infrared Photograph, Stretched and Gallery Wrapped, Limited Edition Archival Print on Canvas: 40 x 60 inches, $1590. Custom Proportions and Sizes are Available. For more information or to order please visit our ABOUT page or call us at 561-691-1110. 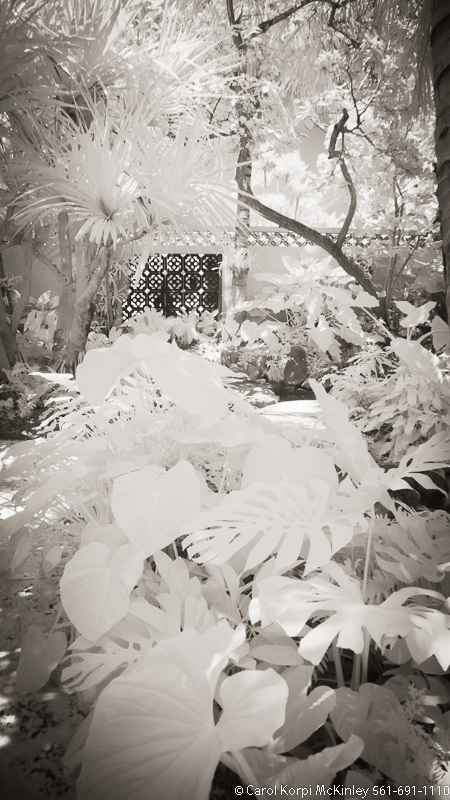 Tropical Garden, Palm Beach #YNG-003. 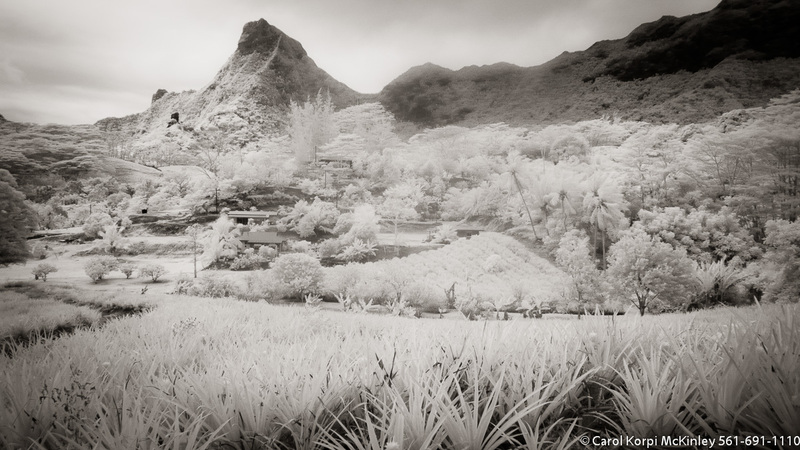 Infrared Photograph, Stretched and Gallery Wrapped, Limited Edition Archival Print on Canvas: 40 x 72 inches, $1620. Custom Proportions and Sizes are Available. For more information or to order please visit our ABOUT page or call us at 561-691-1110. 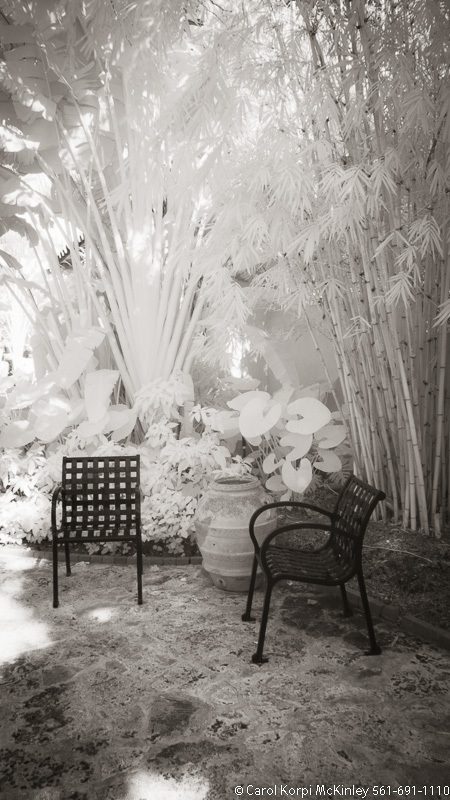 Tropical Garden, Palm Beach #YNG-004. 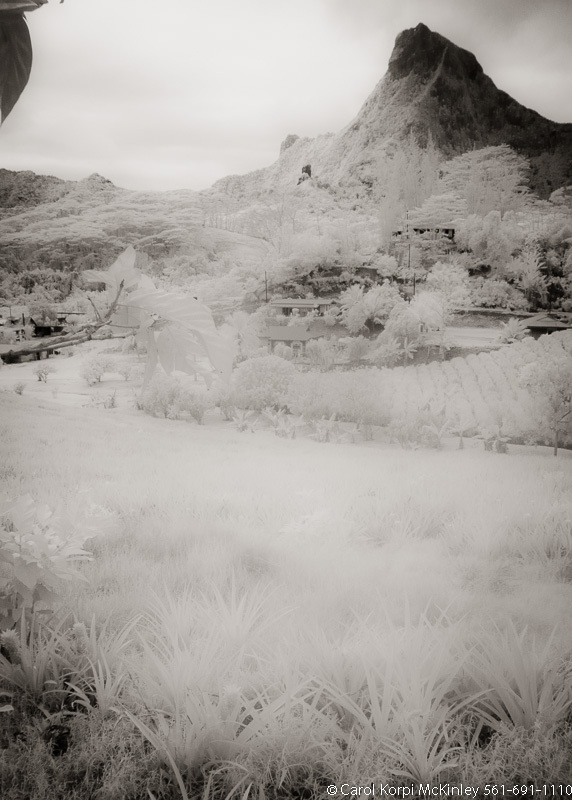 Infrared Photograph, Stretched and Gallery Wrapped, Limited Edition Archival Print on Canvas: 56 x 40 inches, $1590. Custom Proportions and Sizes are Available. For more information or to order please visit our ABOUT page or call us at 561-691-1110. 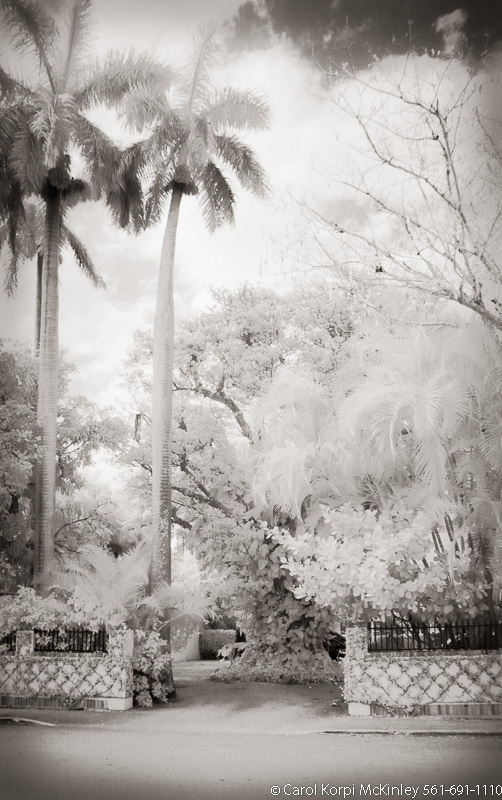 Tropical Garden, Palm Beach #YNG-005. 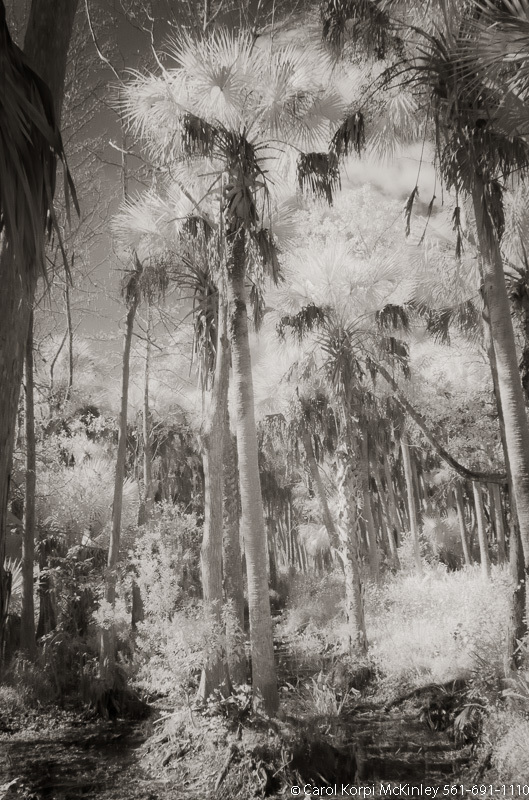 Infrared Photograph, Stretched and Gallery Wrapped, Limited Edition Archival Print on Canvas: 40 x 60 inches, $1590. Custom Proportions and Sizes are Available. For more information or to order please visit our ABOUT page or call us at 561-691-1110. 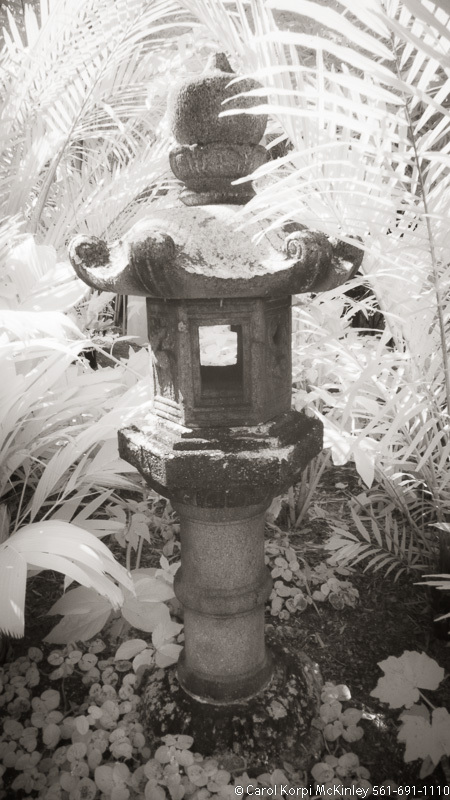 Tropical Garden, Palm Beach #YNG-006. 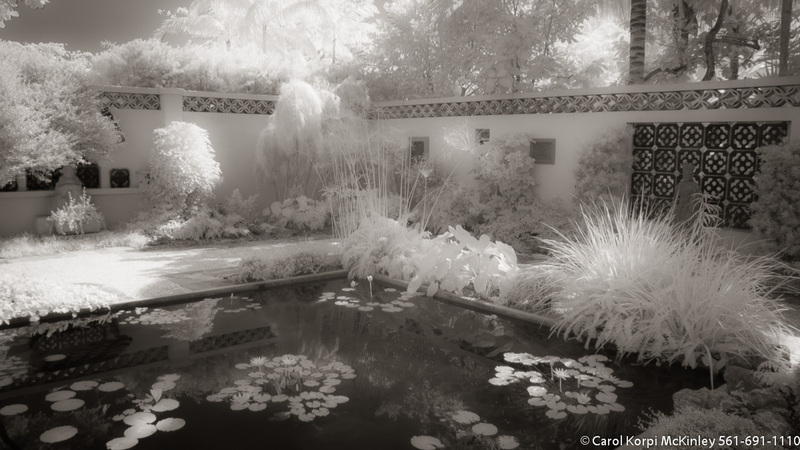 Infrared Photograph, Stretched and Gallery Wrapped, Limited Edition Archival Print on Canvas: 60 x 40 inches, $1590. Custom Proportions and Sizes are Available. For more information or to order please visit our ABOUT page or call us at 561-691-1110. Tropical Garden, Palm Beach #YNG-007. Infrared Photograph, Stretched and Gallery Wrapped, Limited Edition Archival Print on Canvas: 72 x 40 inches, $1620. Custom Proportions and Sizes are Available. For more information or to order please visit our ABOUT page or call us at 561-691-1110. Tropical Garden, Palm Beach #YNG-008. 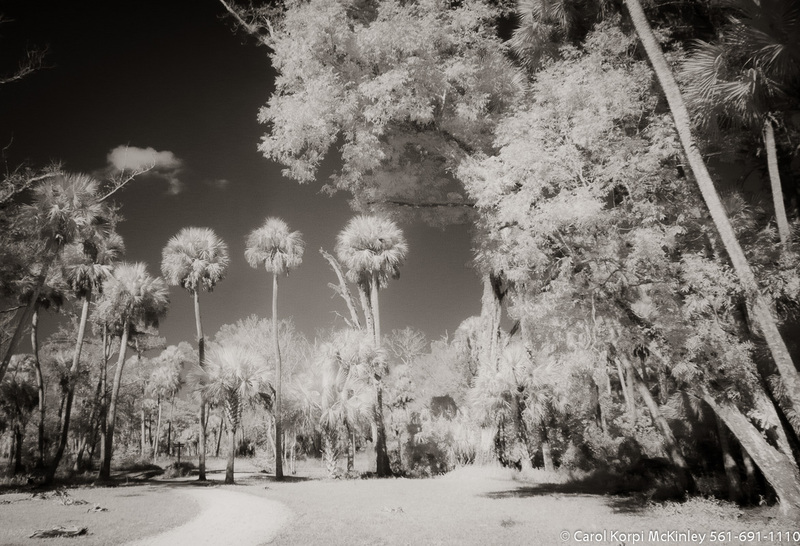 Infrared Photograph, Stretched and Gallery Wrapped, Limited Edition Archival Print on Canvas: 40 x 60 inches, $1590. Custom Proportions and Sizes are Available. For more information or to order please visit our ABOUT page or call us at 561-691-1110. Via , Palm Beach #YNL-014. 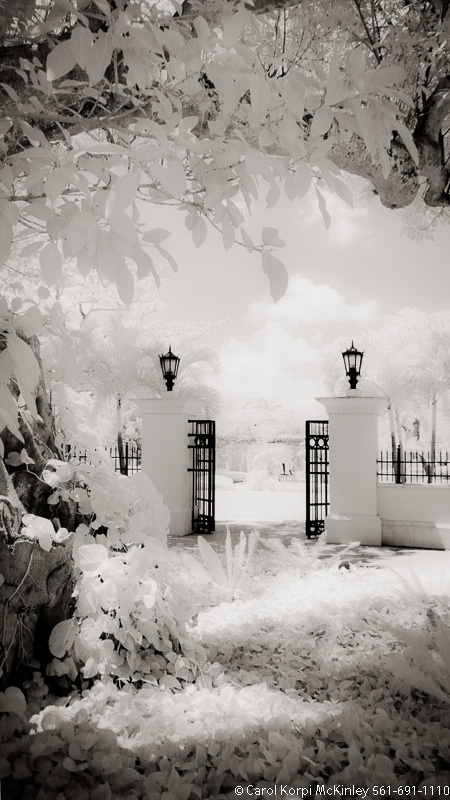 Infrared Photograph, Stretched and Gallery Wrapped, Limited Edition Archival Print on Canvas: 40 x 44 inches, $1530. Custom Proportions and Sizes are Available. For more information or to order please visit our ABOUT page or call us at 561-691-1110. Tropical Garden, Palm Beach #YNL-023. Infrared Photograph, Stretched and Gallery Wrapped, Limited Edition Archival Print on Canvas: 40 x 72 inches, $1620. Custom Proportions and Sizes are Available. For more information or to order please visit our ABOUT page or call us at 561-691-1110. Tropical Garden, Palm Beach #YNG-011. 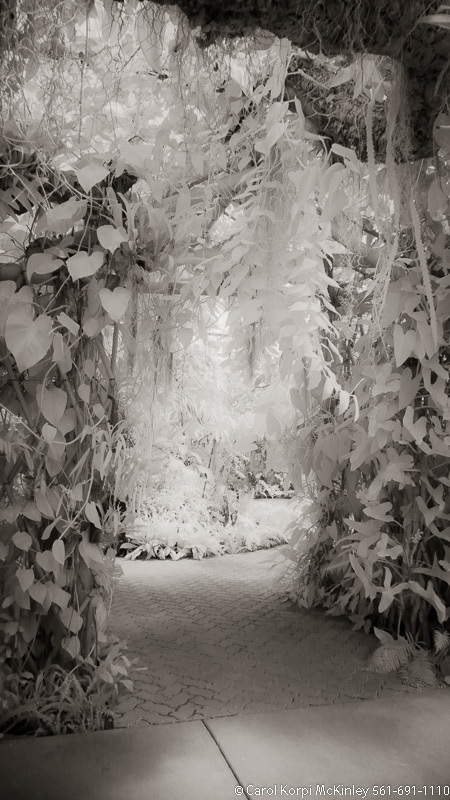 Infrared Photograph, Stretched and Gallery Wrapped, Limited Edition Archival Print on Canvas: 48 x 40 inches, $1560. Custom Proportions and Sizes are Available. For more information or to order please visit our ABOUT page or call us at 561-691-1110. Tropical Garden, Palm Beach #YNG-015. Infrared Photograph, Stretched and Gallery Wrapped, Limited Edition Archival Print on Canvas: 40 x 72 inches, $1620. Custom Proportions and Sizes are Available. For more information or to order please visit our ABOUT page or call us at 561-691-1110. Tropical Garden, Palm Beach #YNG-016. 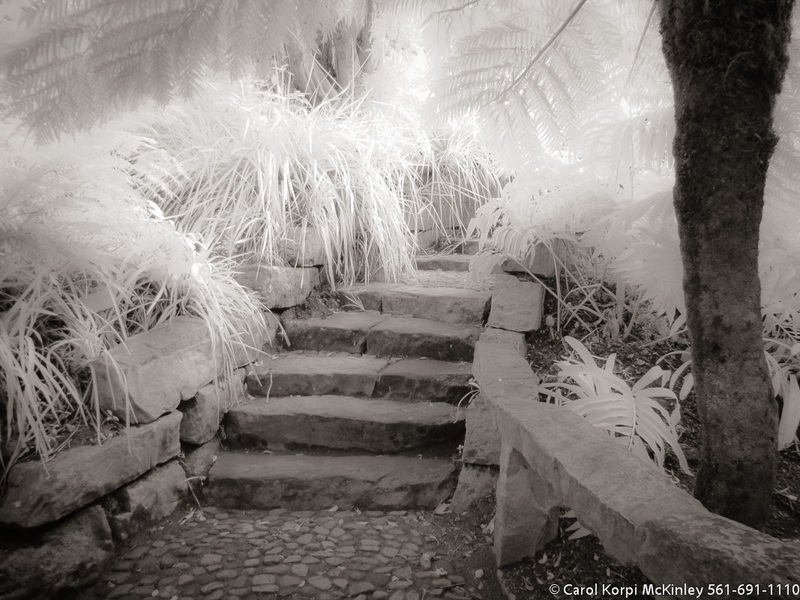 Infrared Photograph, Stretched and Gallery Wrapped, Limited Edition Archival Print on Canvas: 60 x 40 inches, $1590. Custom Proportions and Sizes are Available. For more information or to order please visit our ABOUT page or call us at 561-691-1110. Tropical Garden, Palm Beach #YNG-019. 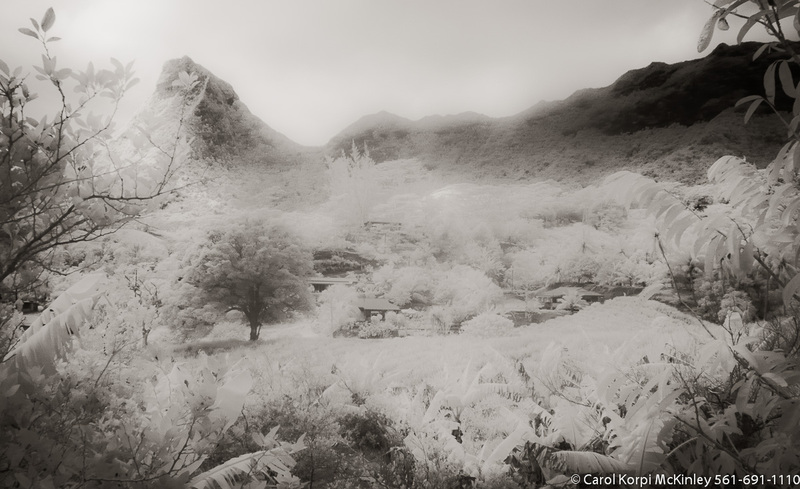 Infrared Photograph, Stretched and Gallery Wrapped, Limited Edition Archival Print on Canvas: 72 x 40 inches, $1620. Custom Proportions and Sizes are Available. For more information or to order please visit our ABOUT page or call us at 561-691-1110. Tropical Garden, Palm Beach #YNG-021. Infrared Photograph, Stretched and Gallery Wrapped, Limited Edition Archival Print on Canvas: 40 x 72 inches, $1620. Custom Proportions and Sizes are Available. For more information or to order please visit our ABOUT page or call us at 561-691-1110. Tropical Garden, Palm Beach #YNG-022. Infrared Photograph, Stretched and Gallery Wrapped, Limited Edition Archival Print on Canvas: 40 x 72 inches, $1620. Custom Proportions and Sizes are Available. For more information or to order please visit our ABOUT page or call us at 561-691-1110. Tropical Garden, Palm Beach #YNG-023. Infrared Photograph, Stretched and Gallery Wrapped, Limited Edition Archival Print on Canvas: 72 x 40 inches, $1620. Custom Proportions and Sizes are Available. For more information or to order please visit our ABOUT page or call us at 561-691-1110. Tropical Garden, Palm Beach #YNG-024. Infrared Photograph, Stretched and Gallery Wrapped, Limited Edition Archival Print on Canvas: 40 x 72 inches, $1620. Custom Proportions and Sizes are Available. For more information or to order please visit our ABOUT page or call us at 561-691-1110. Tropical Garden, Palm Beach #YNG-025. 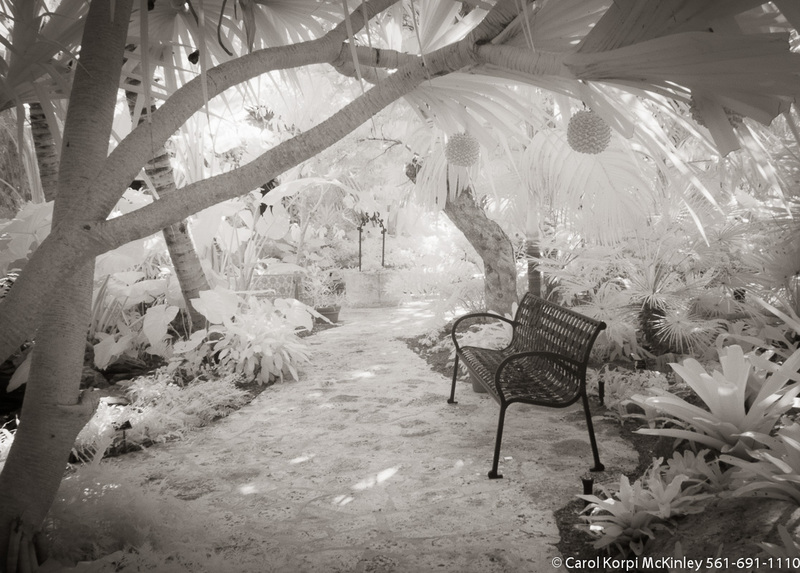 Infrared Photograph, Stretched and Gallery Wrapped, Limited Edition Archival Print on Canvas: 40 x 60 inches, $1590. Custom Proportions and Sizes are Available. For more information or to order please visit our ABOUT page or call us at 561-691-1110. Tropical Garden, Palm Beach #YNG-026. 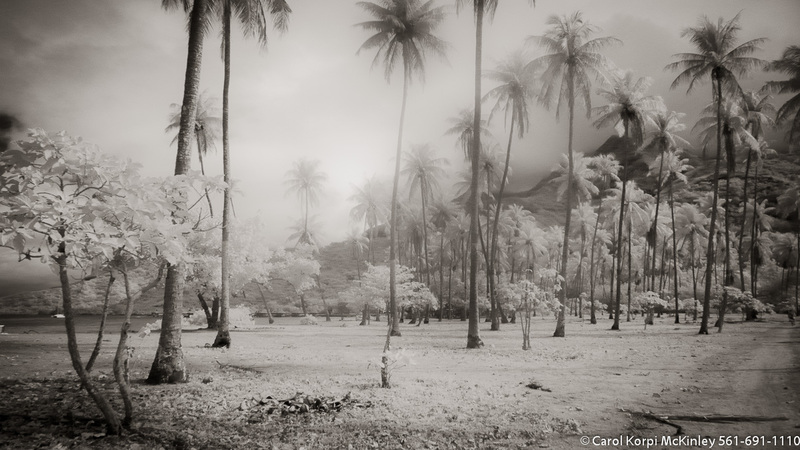 Infrared Photograph, Stretched and Gallery Wrapped, Limited Edition Archival Print on Canvas: 40 x 72 inches, $1620. Custom Proportions and Sizes are Available. For more information or to order please visit our ABOUT page or call us at 561-691-1110. Tropical Garden, Palm Beach #YNG-029. Infrared Photograph, Stretched and Gallery Wrapped, Limited Edition Archival Print on Canvas: 40 x 72 inches, $1620. Custom Proportions and Sizes are Available. For more information or to order please visit our ABOUT page or call us at 561-691-1110. Tropical Garden, Palm Beach #YNG-030. 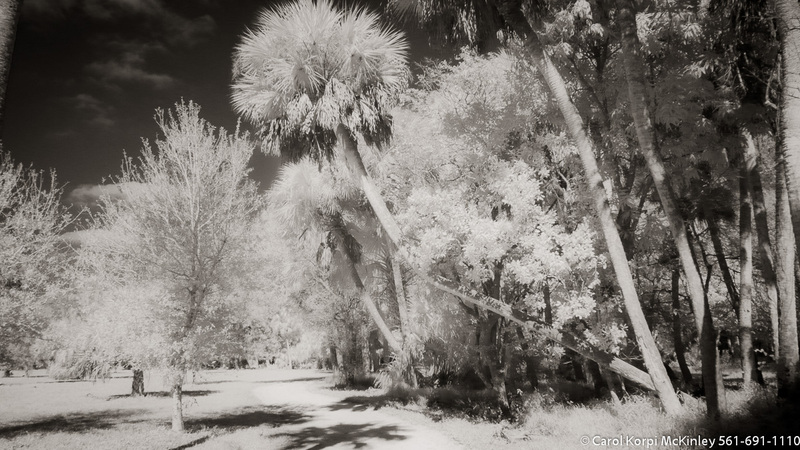 Infrared Photograph, Stretched and Gallery Wrapped, Limited Edition Archival Print on Canvas: 40 x 60 inches, $1590. Custom Proportions and Sizes are Available. For more information or to order please visit our ABOUT page or call us at 561-691-1110. Tropical Garden, Palm Beach #YNG-031. 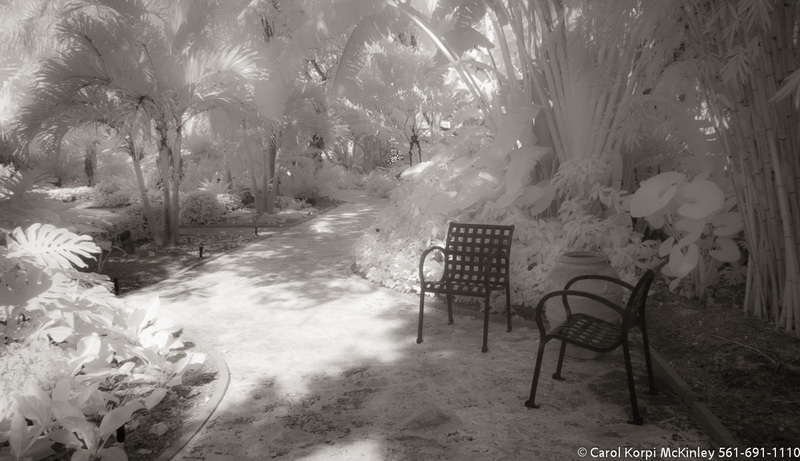 Infrared Photograph, Stretched and Gallery Wrapped, Limited Edition Archival Print on Canvas: 40 x 60 inches, $1590. Custom Proportions and Sizes are Available. For more information or to order please visit our ABOUT page or call us at 561-691-1110. 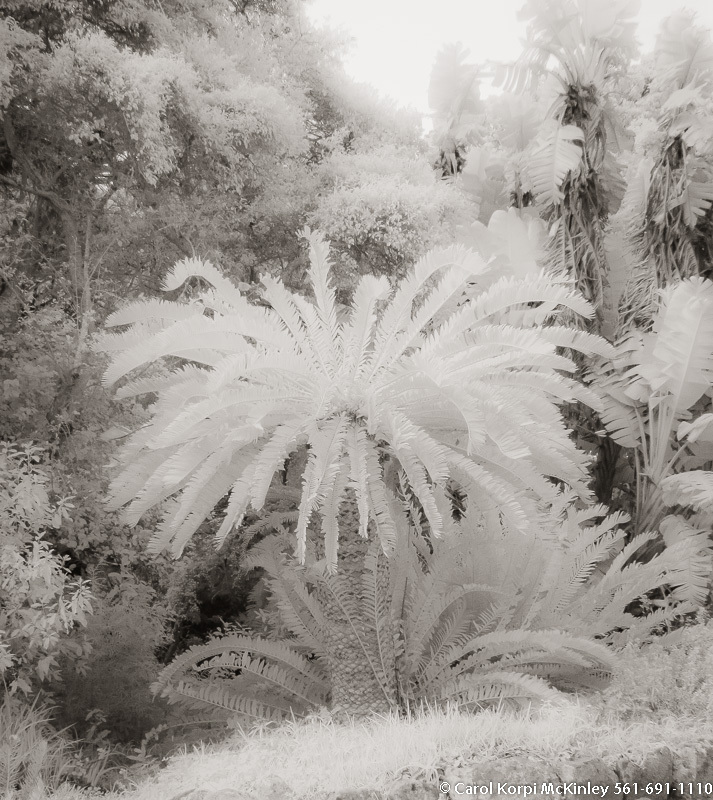 Tropical Garden, Palm Beach #YNG-032. Infrared Photograph, Stretched and Gallery Wrapped, Limited Edition Archival Print on Canvas: 40 x 72 inches, $1620. Custom Proportions and Sizes are Available. For more information or to order please visit our ABOUT page or call us at 561-691-1110. 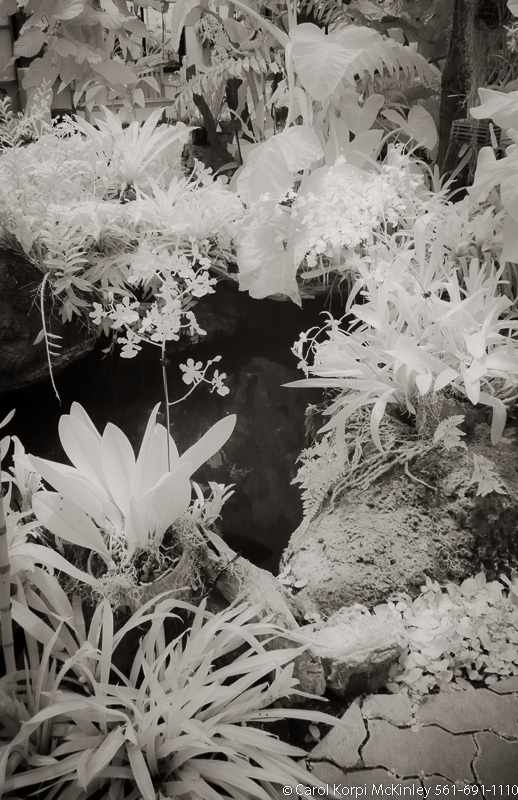 Tropical Garden, Palm Beach #YNG-033. Infrared Photograph, Stretched and Gallery Wrapped, Limited Edition Archival Print on Canvas: 40 x 72 inches, $1620. Custom Proportions and Sizes are Available. For more information or to order please visit our ABOUT page or call us at 561-691-1110. 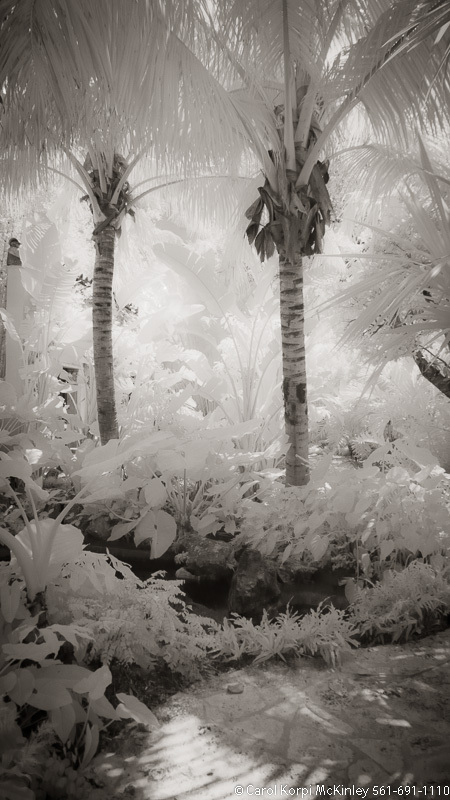 Tropical Garden, Palm Beach #YNG-034. 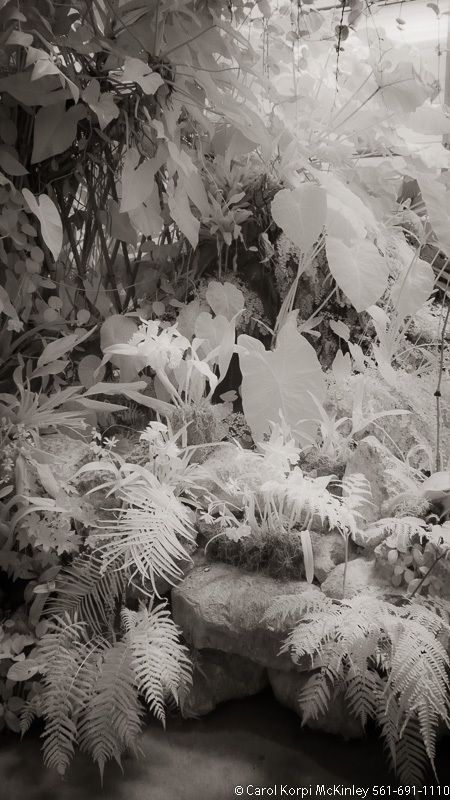 Infrared Photograph, Stretched and Gallery Wrapped, Limited Edition Archival Print on Canvas: 56 x 40 inches, $1590. Custom Proportions and Sizes are Available. For more information or to order please visit our ABOUT page or call us at 561-691-1110. 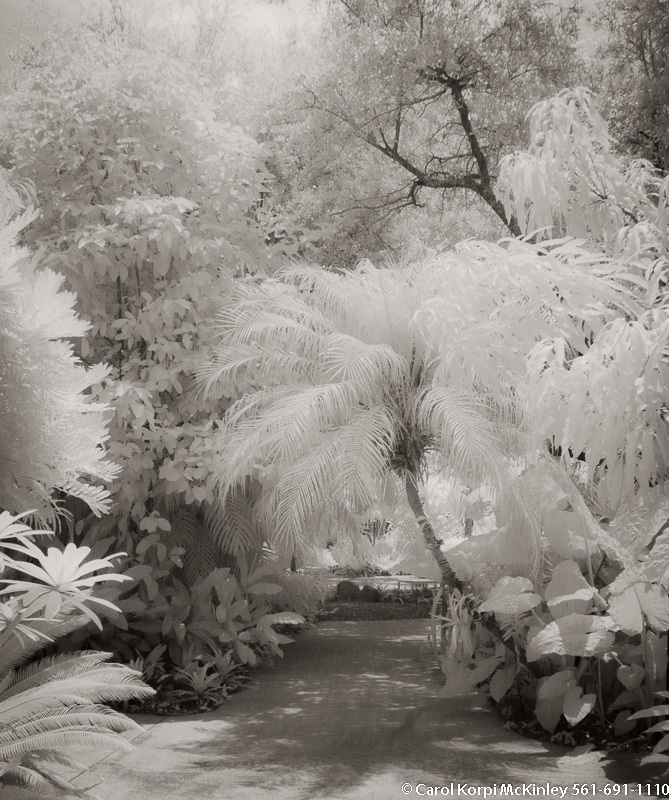 Tropical Garden, Palm Beach #YNG-035. 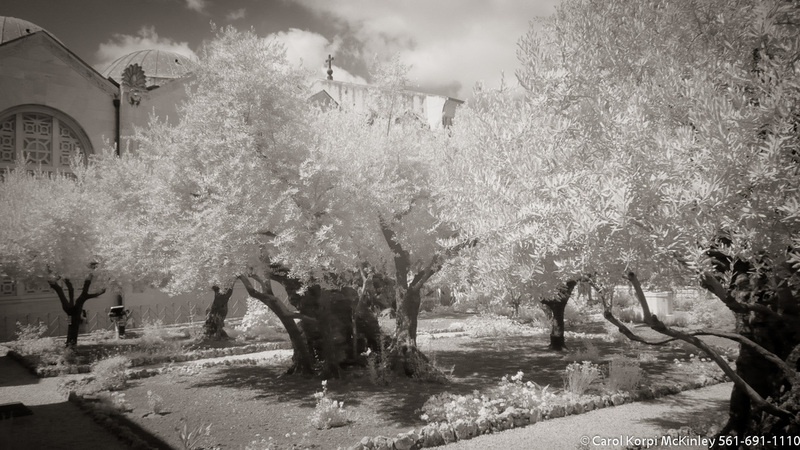 Infrared Photograph, Stretched and Gallery Wrapped, Limited Edition Archival Print on Canvas: 60 x 24 inches, $1560. Custom Proportions and Sizes are Available. For more information or to order please visit our ABOUT page or call us at 561-691-1110. 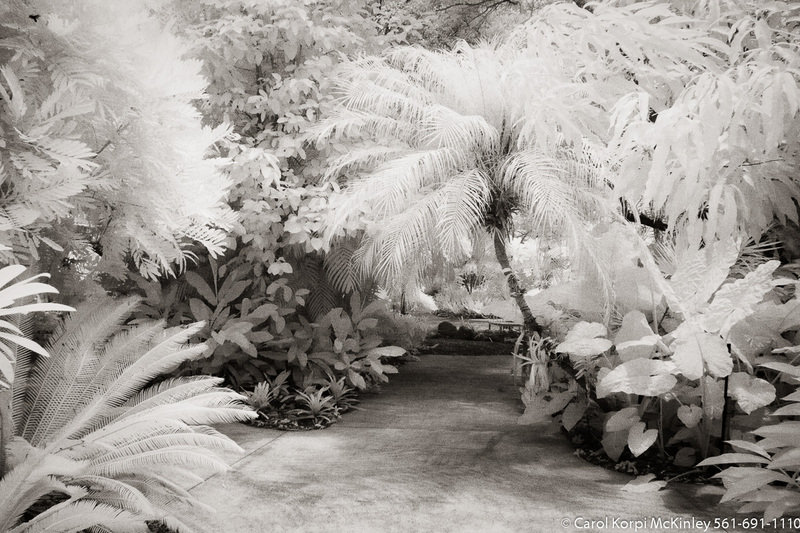 Tropical Garden, Palm Beach #YNG-036. Infrared Photograph, Stretched and Gallery Wrapped, Limited Edition Archival Print on Canvas: 72 x 40 inches, $1620. Custom Proportions and Sizes are Available. For more information or to order please visit our ABOUT page or call us at 561-691-1110. 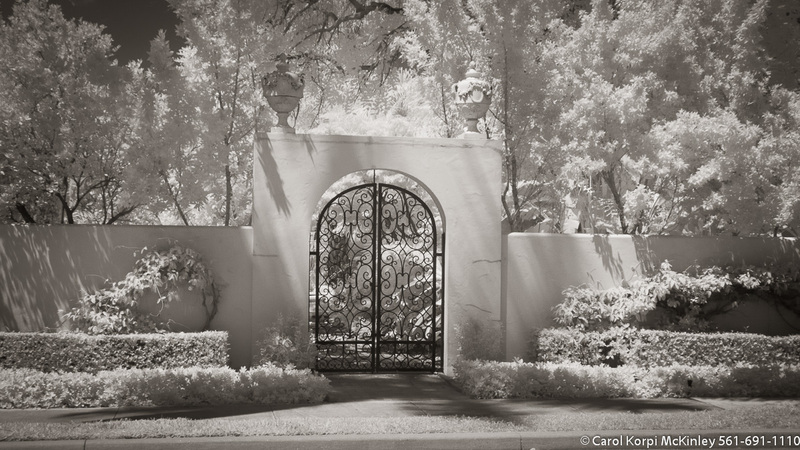 Tropical Gate, Palm Beach #YNG-037. 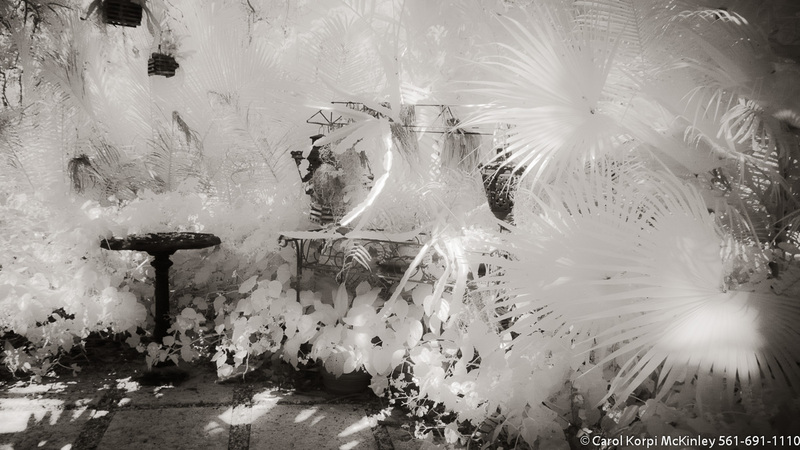 Infrared Photograph, Stretched and Gallery Wrapped, Limited Edition Archival Print on Canvas: 56 x 40 inches, $1590. Custom Proportions and Sizes are Available. For more information or to order please visit our ABOUT page or call us at 561-691-1110. 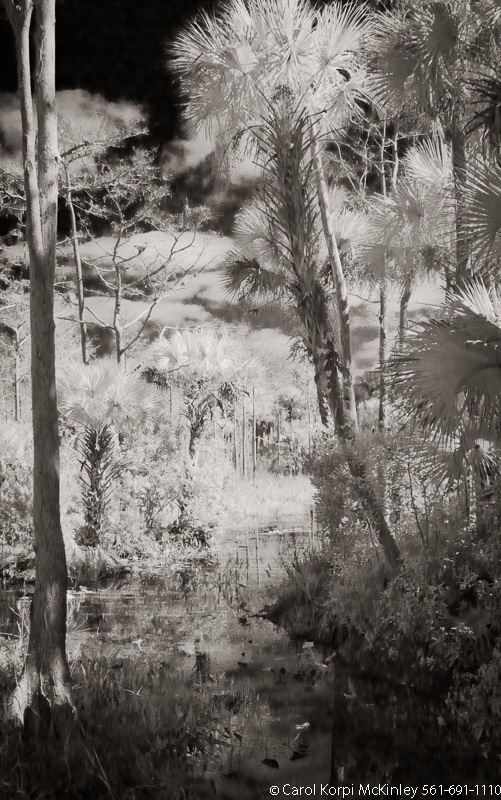 Tropical Garden, Palm Beach #YNG-038. 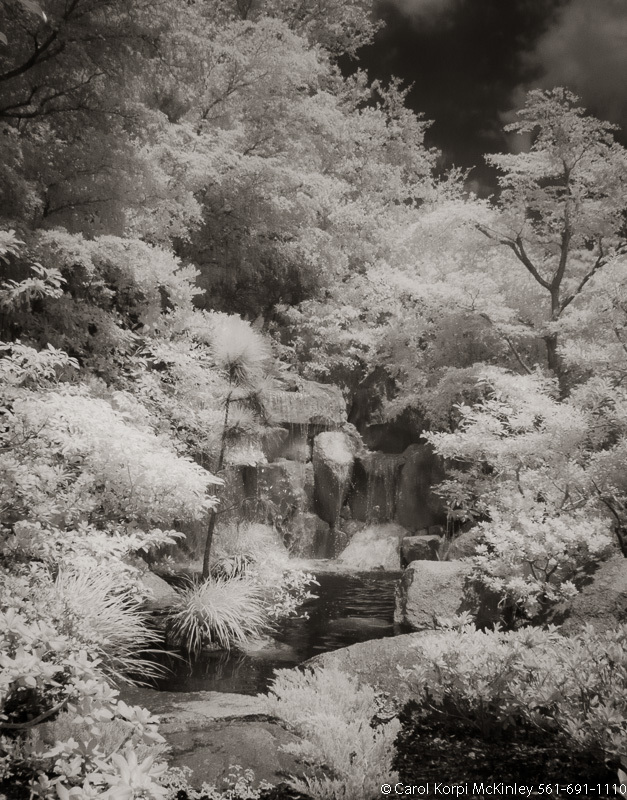 Infrared Photograph, Stretched and Gallery Wrapped, Limited Edition Archival Print on Canvas: 56 x 40 inches, $1590. Custom Proportions and Sizes are Available. For more information or to order please visit our ABOUT page or call us at 561-691-1110. Olive Garden, Israel #YNG-040. 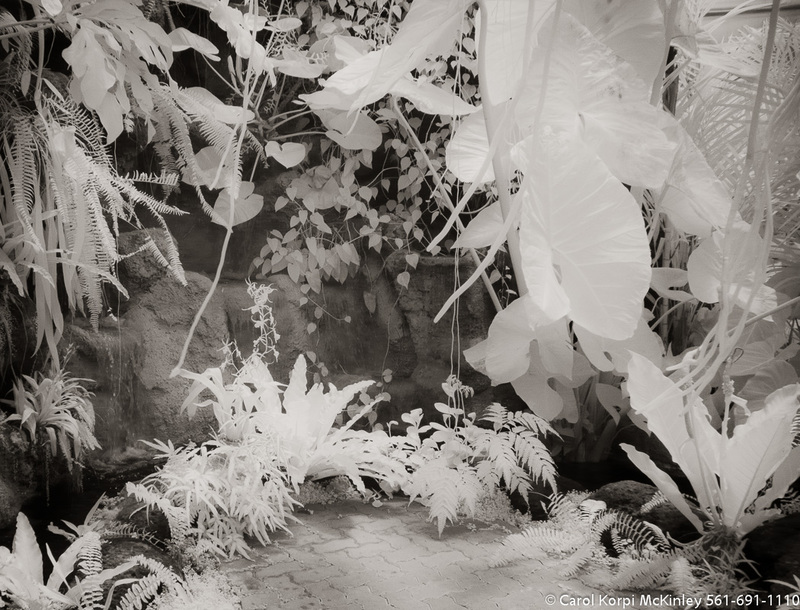 Infrared Photograph, Stretched and Gallery Wrapped, Limited Edition Archival Print on Canvas: 68 x 40 inches, $1620. Custom Proportions and Sizes are Available. For more information or to order please visit our ABOUT page or call us at 561-691-1110. 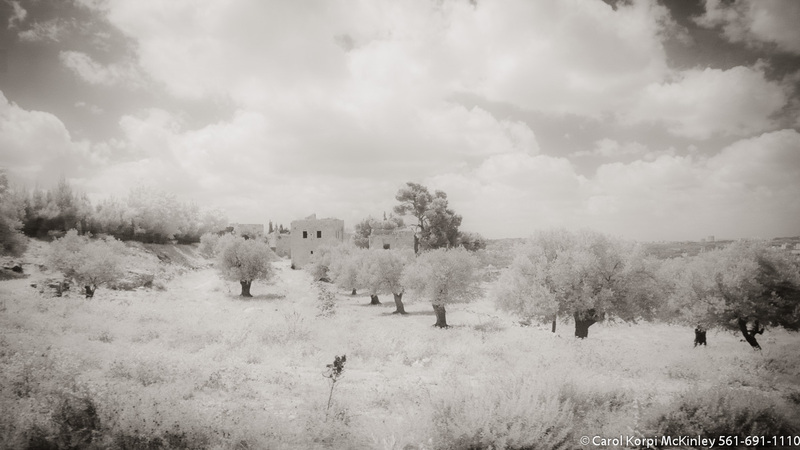 Olive Garden, Israel #YNG-041. 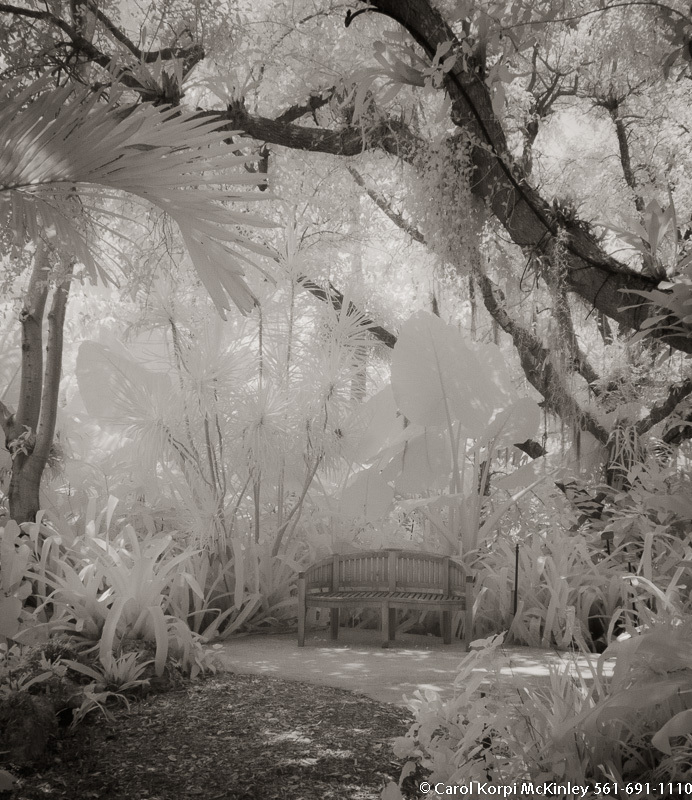 Infrared Photograph, Stretched and Gallery Wrapped, Limited Edition Archival Print on Canvas: 40 x 44 inches, $1530. Custom Proportions and Sizes are Available. For more information or to order please visit our ABOUT page or call us at 561-691-1110. Olive Garden, Israel #YNG-042. 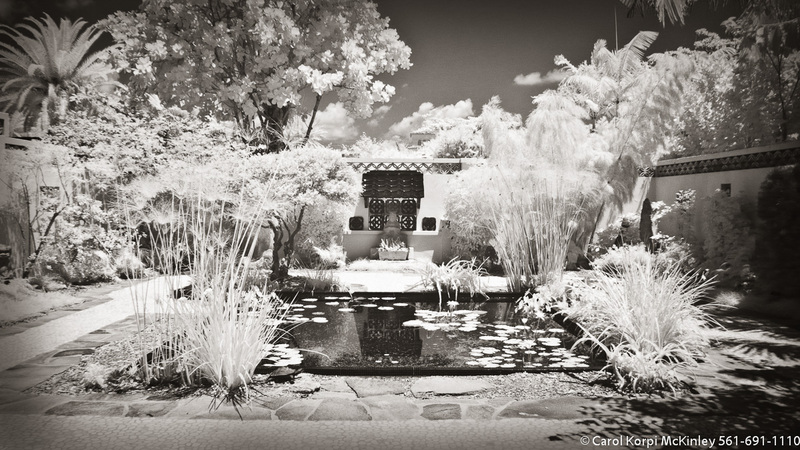 Infrared Photograph, Stretched and Gallery Wrapped, Limited Edition Archival Print on Canvas: 72 x 36 inches, $1620. Custom Proportions and Sizes are Available. For more information or to order please visit our ABOUT page or call us at 561-691-1110. Olive Garden, Israel #YNG-043. 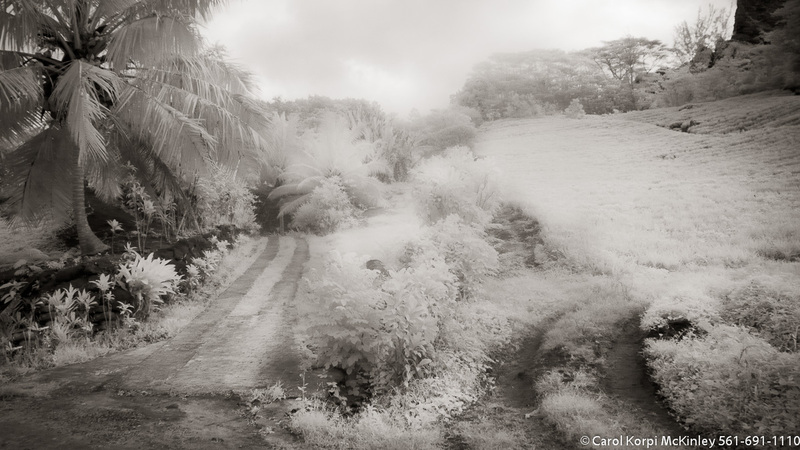 Infrared Photograph, Stretched and Gallery Wrapped, Limited Edition Archival Print on Canvas: 68 x 36 inches, $1620. Custom Proportions and Sizes are Available. For more information or to order please visit our ABOUT page or call us at 561-691-1110. Olive Garden, Israel #YNG-044. 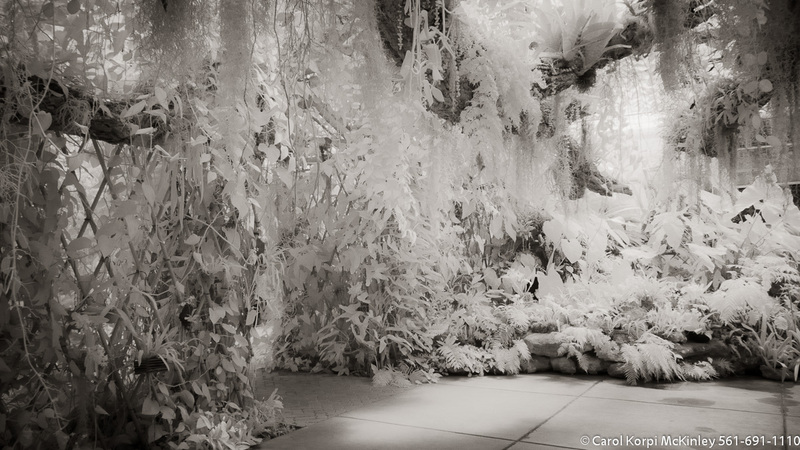 Infrared Photograph, Stretched and Gallery Wrapped, Limited Edition Archival Print on Canvas: 72 x 40 inches, $1620. Custom Proportions and Sizes are Available. For more information or to order please visit our ABOUT page or call us at 561-691-1110. Olive Garden, Israel #YNG-045. Infrared Photograph, Stretched and Gallery Wrapped, Limited Edition Archival Print on Canvas: 72 x 40 inches, $1620. Custom Proportions and Sizes are Available. For more information or to order please visit our ABOUT page or call us at 561-691-1110. Olive Garden, Israel #YNG-046. 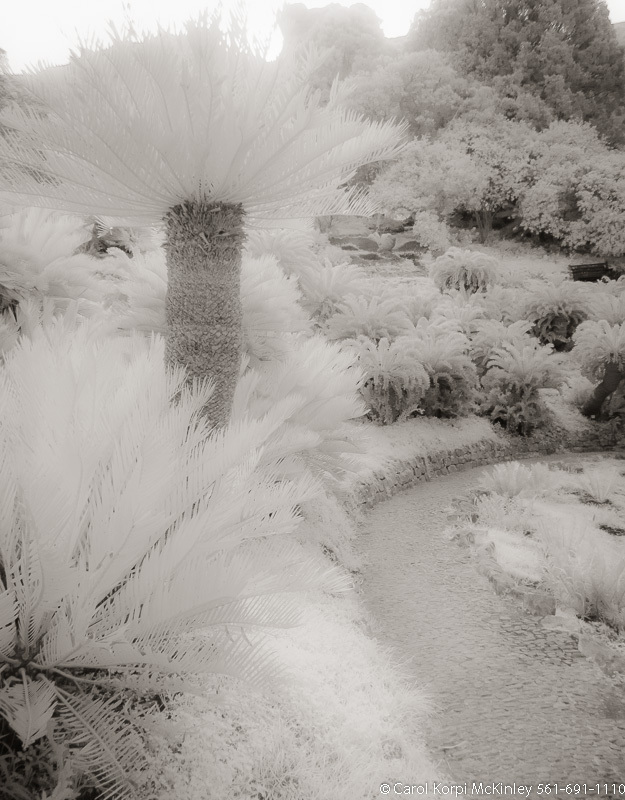 Infrared Photograph, Stretched and Gallery Wrapped, Limited Edition Archival Print on Canvas: 60 x 40 inches, $1590. Custom Proportions and Sizes are Available. For more information or to order please visit our ABOUT page or call us at 561-691-1110. Olive Garden, Israel #YNG-047. 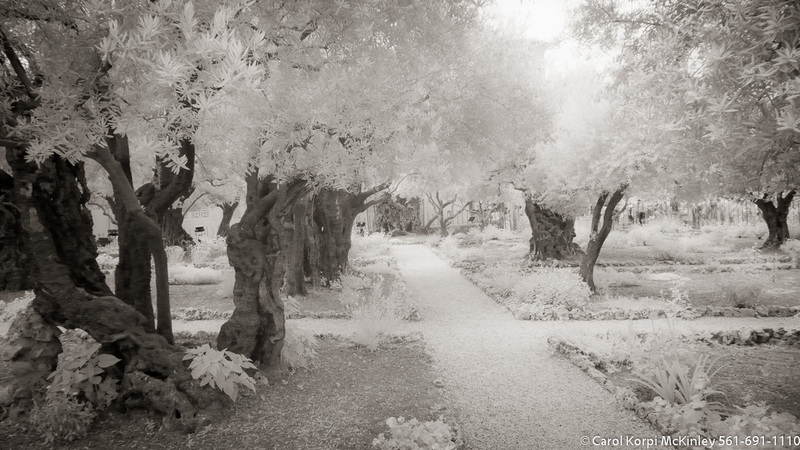 Infrared Photograph, Stretched and Gallery Wrapped, Limited Edition Archival Print on Canvas: 72 x 40 inches, $1620. Custom Proportions and Sizes are Available. For more information or to order please visit our ABOUT page or call us at 561-691-1110. Olive Garden, Israel #YNG-048. 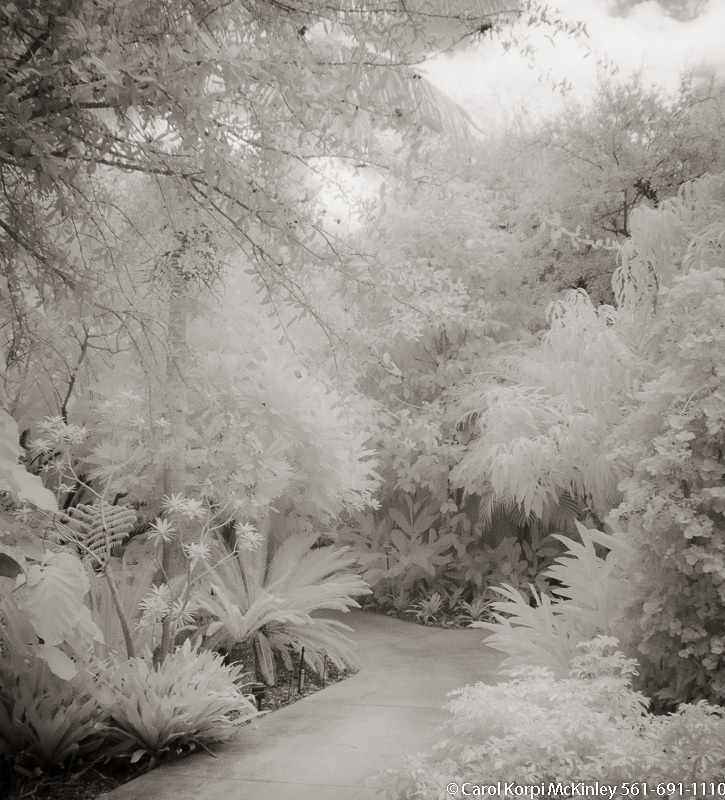 Infrared Photograph, Stretched and Gallery Wrapped, Limited Edition Archival Print on Canvas: 50 x 40 inches, $1560. Custom Proportions and Sizes are Available. For more information or to order please visit our ABOUT page or call us at 561-691-1110. 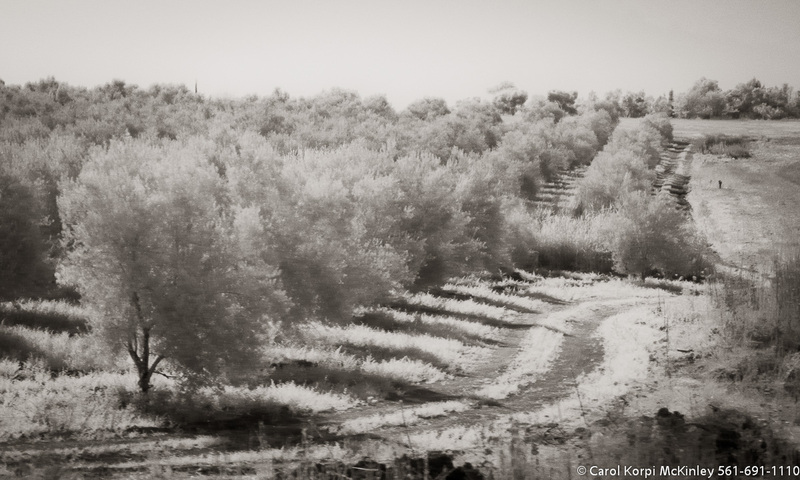 Olive Garden, Israel #YNG-049. 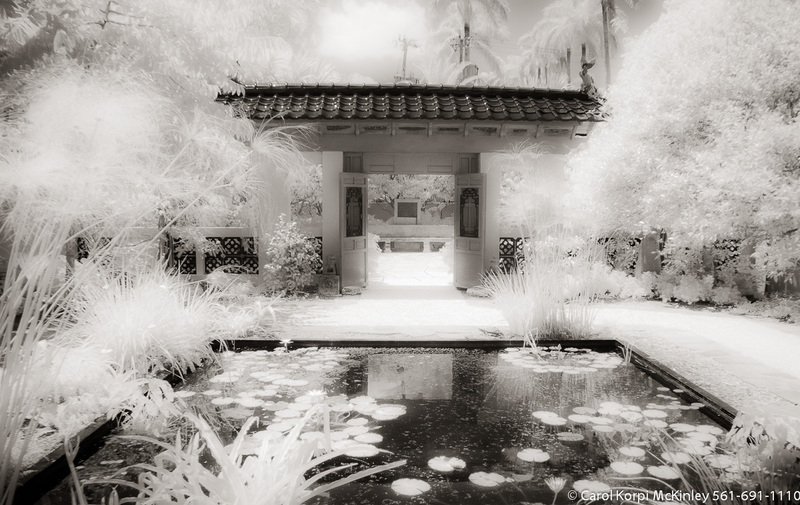 Infrared Photograph, Stretched and Gallery Wrapped, Limited Edition Archival Print on Canvas: 72 x 36 inches, $1620. Custom Proportions and Sizes are Available. For more information or to order please visit our ABOUT page or call us at 561-691-1110. Path , Israel #YNG-050. Infrared Photograph, Stretched and Gallery Wrapped, Limited Edition Archival Print on Canvas: 68 x 40 inches, $1620. Custom Proportions and Sizes are Available. For more information or to order please visit our ABOUT page or call us at 561-691-1110. 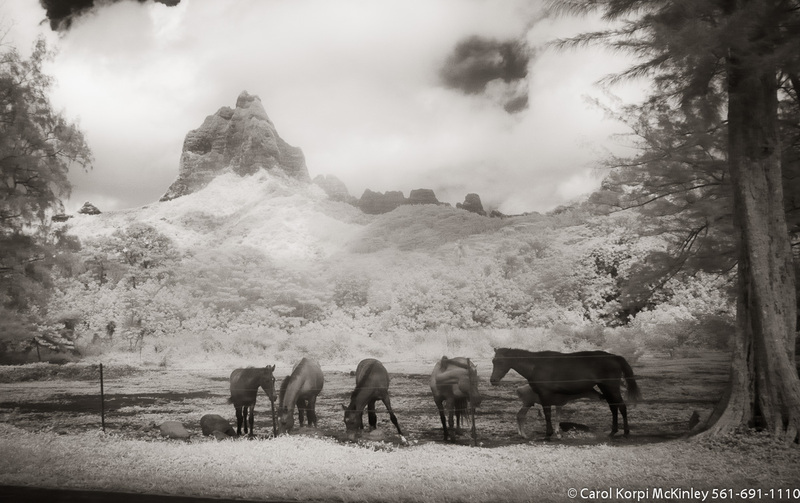 Horses , Moorea #YNG-051. 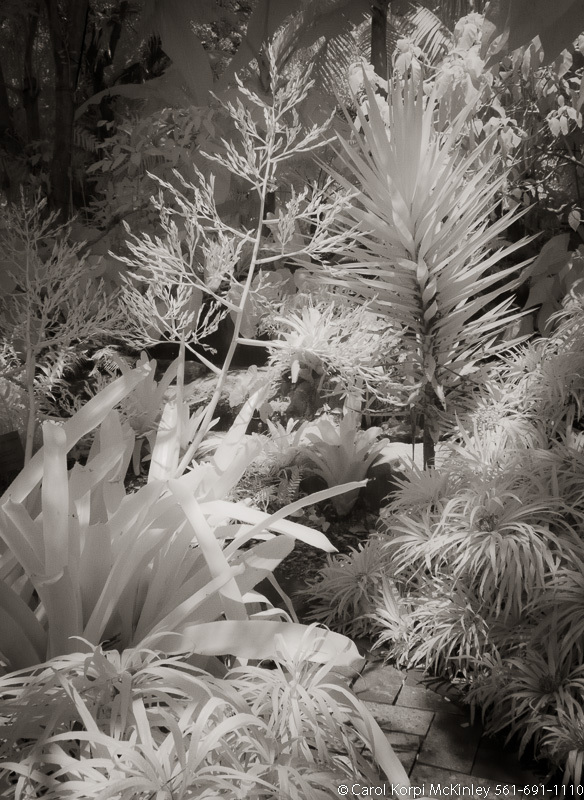 Infrared Photograph, Stretched and Gallery Wrapped, Limited Edition Archival Print on Canvas: 60 x 40 inches, $1590. Custom Proportions and Sizes are Available. For more information or to order please visit our ABOUT page or call us at 561-691-1110. 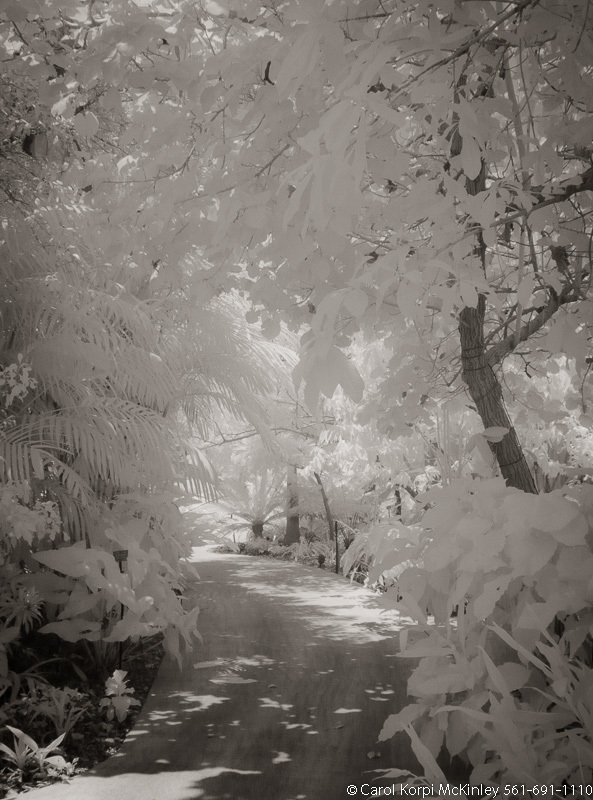 Road , Moorea #YNG-052. 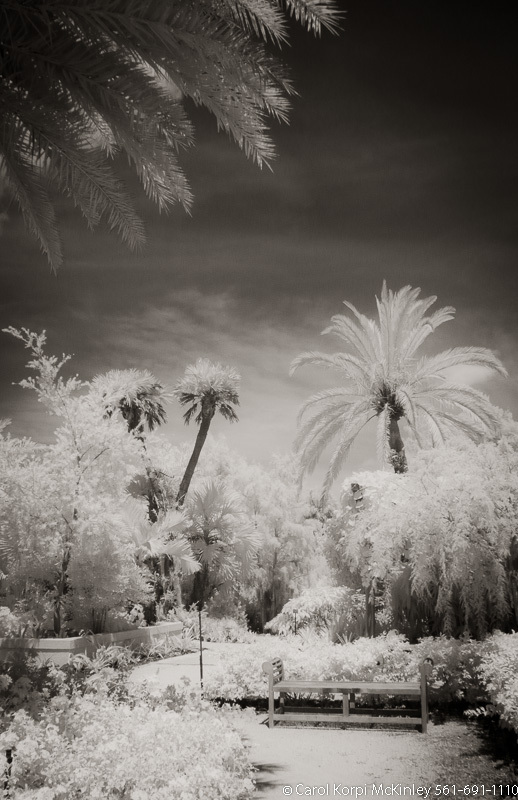 Infrared Photograph, Stretched and Gallery Wrapped, Limited Edition Archival Print on Canvas: 40 x 44 inches, $1530. Custom Proportions and Sizes are Available. For more information or to order please visit our ABOUT page or call us at 561-691-1110. Pineapple Plantation, Moorea #YNG-053. 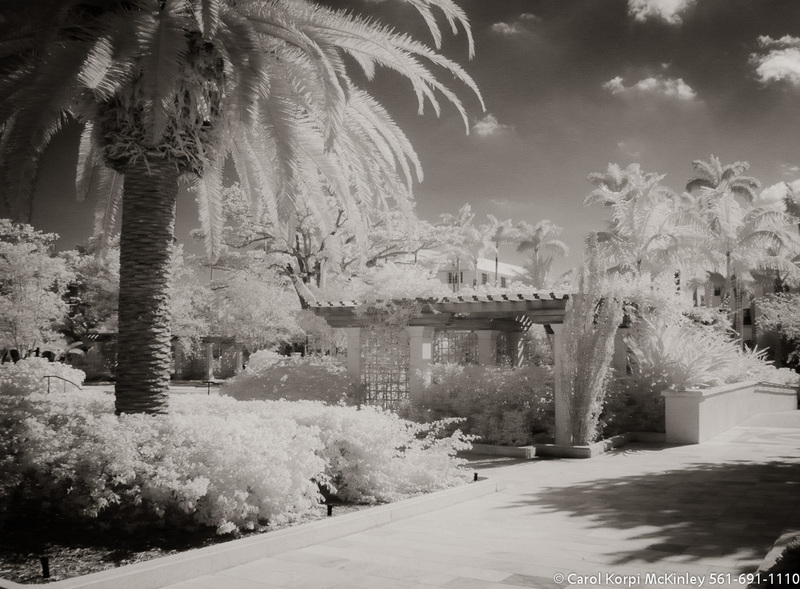 Infrared Photograph, Stretched and Gallery Wrapped, Limited Edition Archival Print on Canvas: 40 x 60 inches, $1590. Custom Proportions and Sizes are Available. For more information or to order please visit our ABOUT page or call us at 561-691-1110. Pineapple Plantation, Moorea #YNG-054. Infrared Photograph, Stretched and Gallery Wrapped, Limited Edition Archival Print on Canvas: 72 x 40 inches, $1620. Custom Proportions and Sizes are Available. For more information or to order please visit our ABOUT page or call us at 561-691-1110. Pineapple Plantation, Moorea #YNG-055. 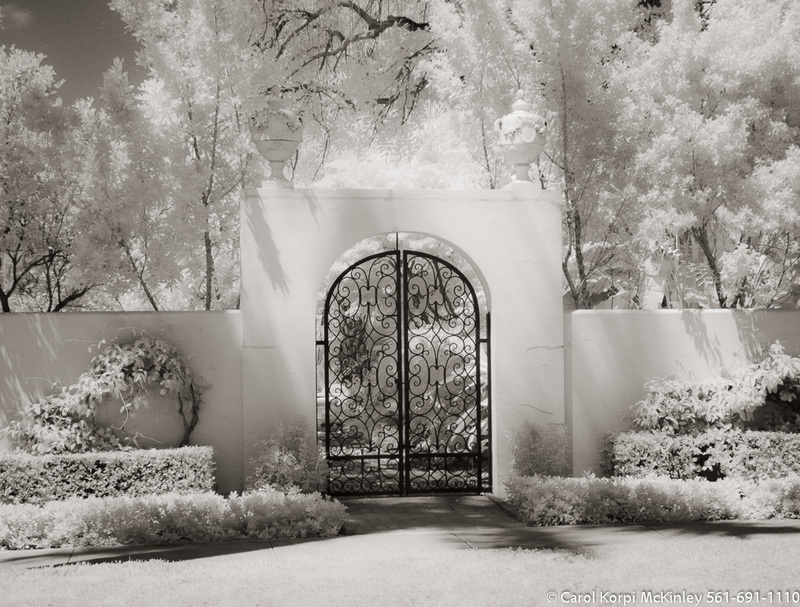 Infrared Photograph, Stretched and Gallery Wrapped, Limited Edition Archival Print on Canvas: 40 x 56 inches, $1590. Custom Proportions and Sizes are Available. For more information or to order please visit our ABOUT page or call us at 561-691-1110. Pineapple Plantation, Moorea #YNG-056. Infrared Photograph, Stretched and Gallery Wrapped, Limited Edition Archival Print on Canvas: 72 x 40 inches, $1620. Custom Proportions and Sizes are Available. For more information or to order please visit our ABOUT page or call us at 561-691-1110. Pineapple Plantation, Moorea #YNG-057. 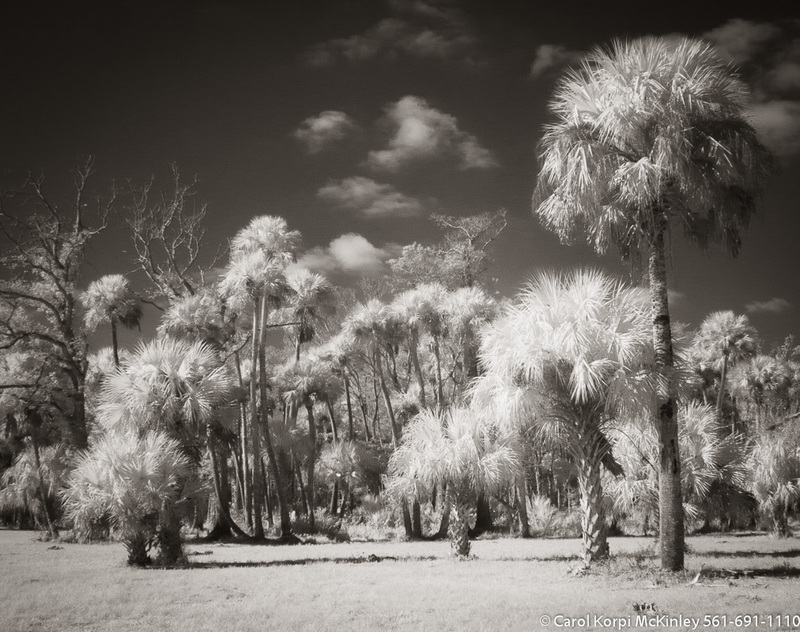 Infrared Photograph, Stretched and Gallery Wrapped, Limited Edition Archival Print on Canvas: 40 x 60 inches, $1590. Custom Proportions and Sizes are Available. For more information or to order please visit our ABOUT page or call us at 561-691-1110. Pineapple Plantation, Moorea #YNG-058. Infrared Photograph, Stretched and Gallery Wrapped, Limited Edition Archival Print on Canvas: 72 x 40 inches, $1620. Custom Proportions and Sizes are Available. For more information or to order please visit our ABOUT page or call us at 561-691-1110. Pineapple Plantation, Moorea #YNG-059. 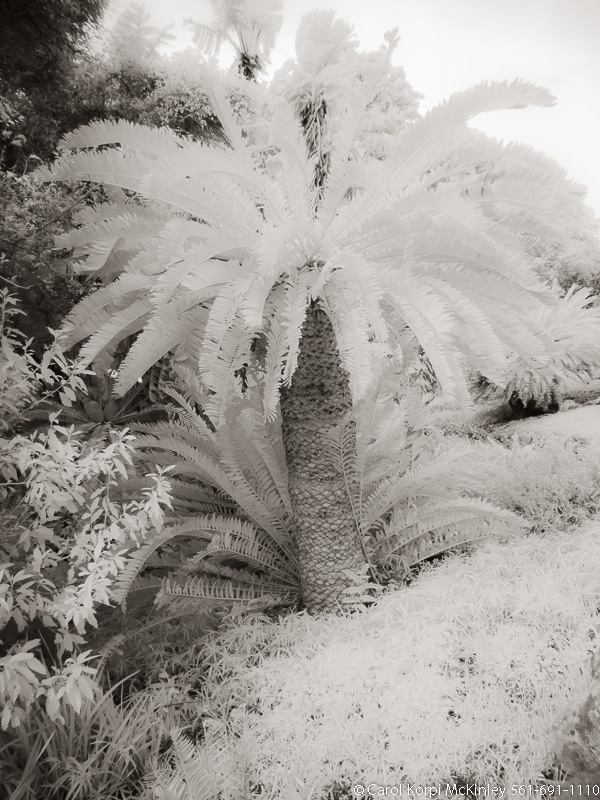 Infrared Photograph, Stretched and Gallery Wrapped, Limited Edition Archival Print on Canvas: 60 x 40 inches, $1590. Custom Proportions and Sizes are Available. For more information or to order please visit our ABOUT page or call us at 561-691-1110. Pineapple Plantation, Moorea #YNG-060. Infrared Photograph, Stretched and Gallery Wrapped, Limited Edition Archival Print on Canvas: 72 x 40 inches, $1620. Custom Proportions and Sizes are Available. For more information or to order please visit our ABOUT page or call us at 561-691-1110. Pineapple Plantation, Moorea #YNG-061. Infrared Photograph, Stretched and Gallery Wrapped, Limited Edition Archival Print on Canvas: 72 x 40 inches, $1620. Custom Proportions and Sizes are Available. For more information or to order please visit our ABOUT page or call us at 561-691-1110. 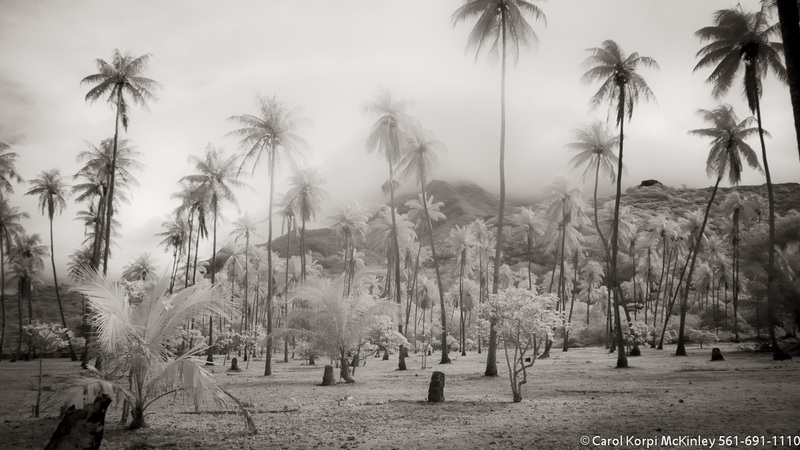 Coconut Stand, Moorea #YNG-062. Infrared Photograph, Stretched and Gallery Wrapped, Limited Edition Archival Print on Canvas: 72 x 40 inches, $1620. Custom Proportions and Sizes are Available. For more information or to order please visit our ABOUT page or call us at 561-691-1110. 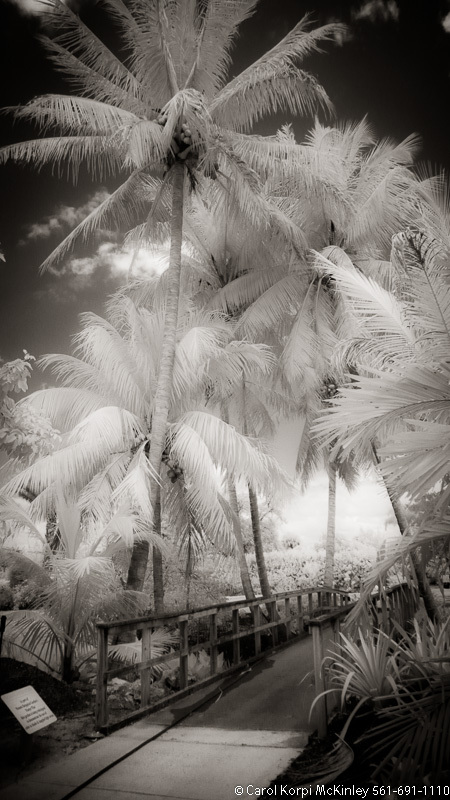 Coconut Stand, Moorea #YNG-063. Infrared Photograph, Stretched and Gallery Wrapped, Limited Edition Archival Print on Canvas: 72 x 40 inches, $1620. Custom Proportions and Sizes are Available. For more information or to order please visit our ABOUT page or call us at 561-691-1110. 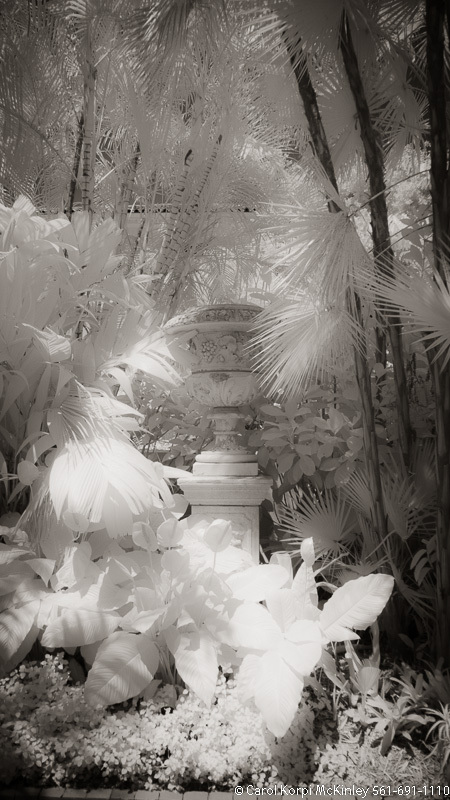 Tropical Garden, Palm Beach #YNG-064. 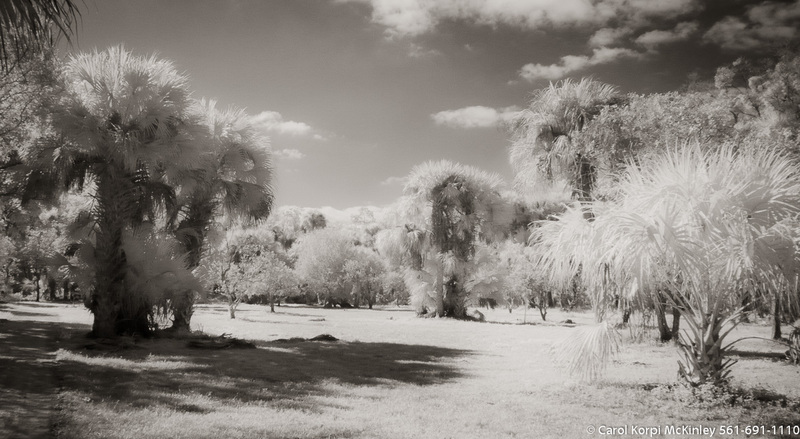 Infrared Photograph, Stretched and Gallery Wrapped, Limited Edition Archival Print on Canvas: 40 x 60 inches, $1590. Custom Proportions and Sizes are Available. For more information or to order please visit our ABOUT page or call us at 561-691-1110. 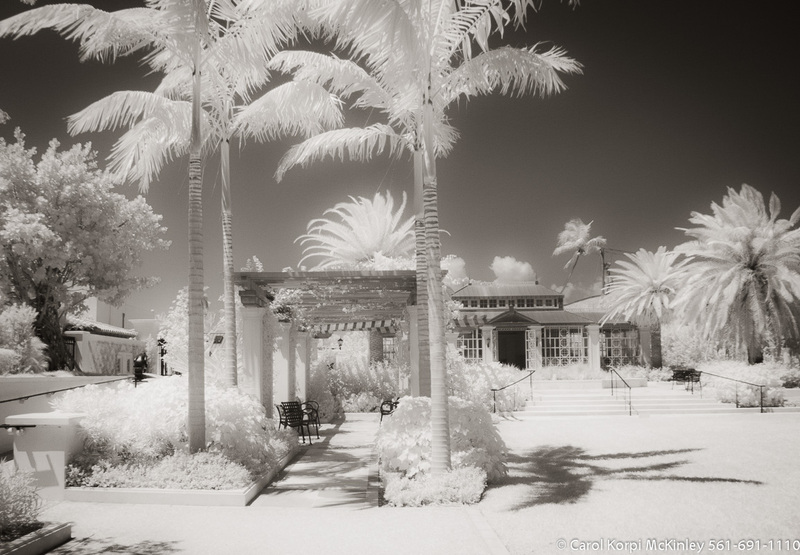 Tropical Garden, Palm Beach #YNG-065. 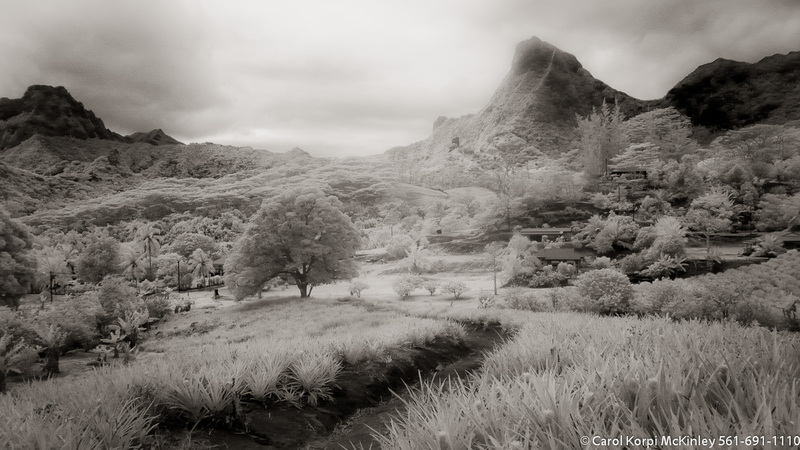 Infrared Photograph, Stretched and Gallery Wrapped, Limited Edition Archival Print on Canvas: 72 x 40 inches, $1620. Custom Proportions and Sizes are Available. For more information or to order please visit our ABOUT page or call us at 561-691-1110. 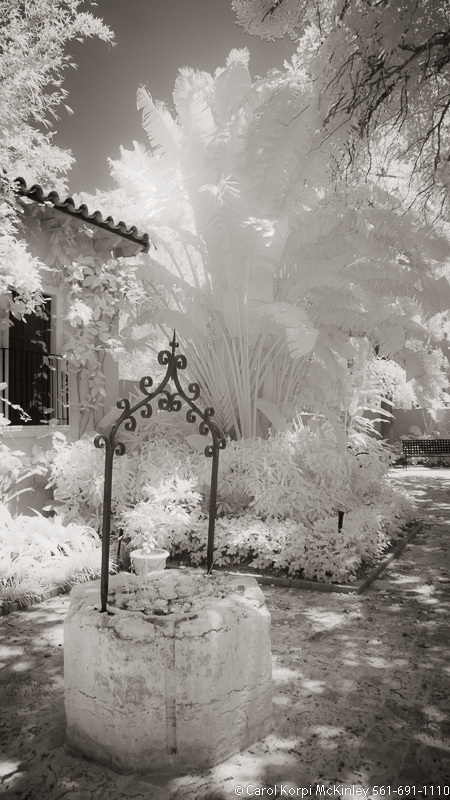 Tropical Garden, Palm Beach #YNG-066. Infrared Photograph, Stretched and Gallery Wrapped, Limited Edition Archival Print on Canvas: 72 x 40 inches, $1620. Custom Proportions and Sizes are Available. For more information or to order please visit our ABOUT page or call us at 561-691-1110. Tropical Garden, Palm Beach #YNG-067. Infrared Photograph, Stretched and Gallery Wrapped, Limited Edition Archival Print on Canvas: 72 x 40 inches, $1620. Custom Proportions and Sizes are Available. For more information or to order please visit our ABOUT page or call us at 561-691-1110. 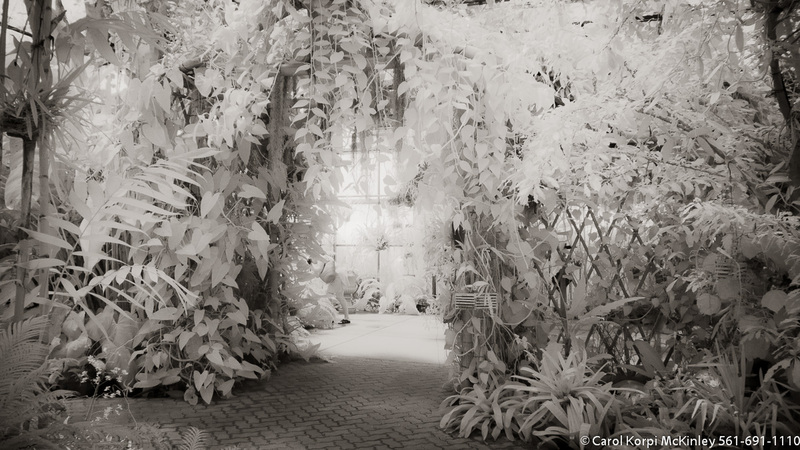 Tropical Garden, Palm Beach #YNG-068. Infrared Photograph, Stretched and Gallery Wrapped, Limited Edition Archival Print on Canvas: 40 x 72 inches, $1620. Custom Proportions and Sizes are Available. For more information or to order please visit our ABOUT page or call us at 561-691-1110. Tropical Garden, Palm Beach #YNG-069. Infrared Photograph, Stretched and Gallery Wrapped, Limited Edition Archival Print on Canvas: 40 x 72 inches, $1620. Custom Proportions and Sizes are Available. For more information or to order please visit our ABOUT page or call us at 561-691-1110. Tropical Garden, Palm Beach #YNG-070. Infrared Photograph, Stretched and Gallery Wrapped, Limited Edition Archival Print on Canvas: 40 x 72 inches, $1620. Custom Proportions and Sizes are Available. For more information or to order please visit our ABOUT page or call us at 561-691-1110. Tropical Garden, Palm Beach #YNG-071. Infrared Photograph, Stretched and Gallery Wrapped, Limited Edition Archival Print on Canvas: 72 x 40 inches, $1620. Custom Proportions and Sizes are Available. For more information or to order please visit our ABOUT page or call us at 561-691-1110. Tropical Garden, Palm Beach #YNG-072. 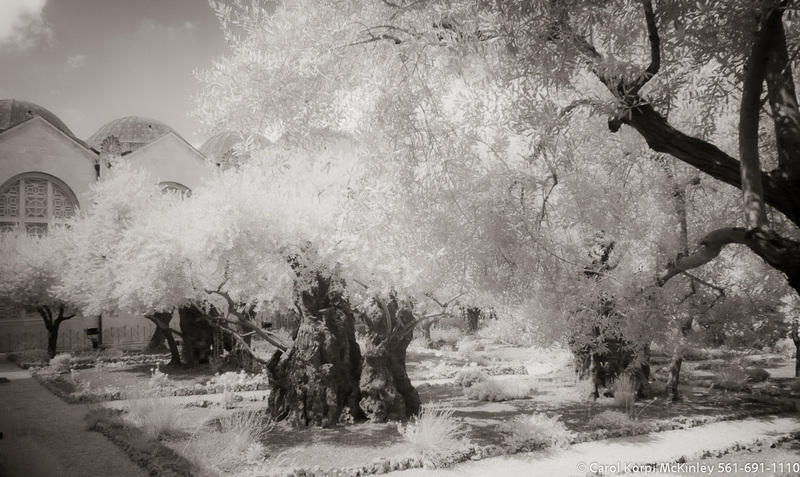 Infrared Photograph, Stretched and Gallery Wrapped, Limited Edition Archival Print on Canvas: 40 x 72 inches, $1620. Custom Proportions and Sizes are Available. For more information or to order please visit our ABOUT page or call us at 561-691-1110. Tropical Garden, Palm Beach #YNG-073. 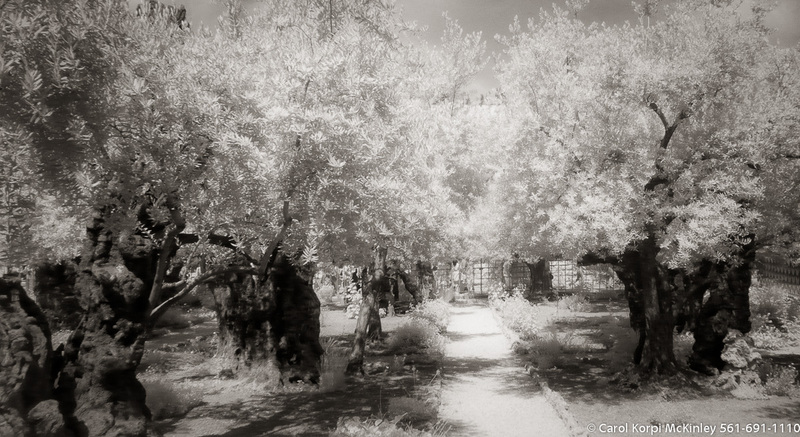 Infrared Photograph, Stretched and Gallery Wrapped, Limited Edition Archival Print on Canvas: 40 x 72 inches, $1620. Custom Proportions and Sizes are Available. For more information or to order please visit our ABOUT page or call us at 561-691-1110. 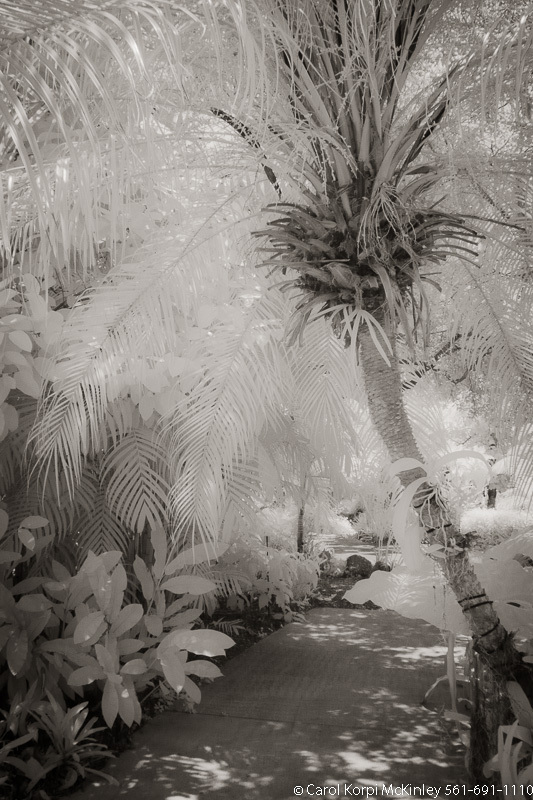 Tropical Garden, Palm Beach #YNG-074. 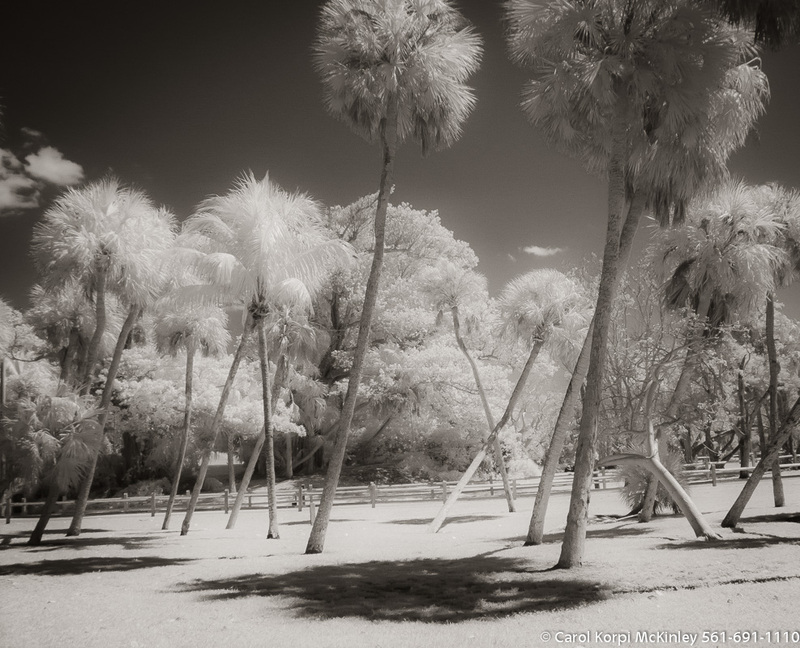 Infrared Photograph, Stretched and Gallery Wrapped, Limited Edition Archival Print on Canvas: 40 x 60 inches, $1590. Custom Proportions and Sizes are Available. For more information or to order please visit our ABOUT page or call us at 561-691-1110. Tropical Garden, Palm Beach #YNG-075. 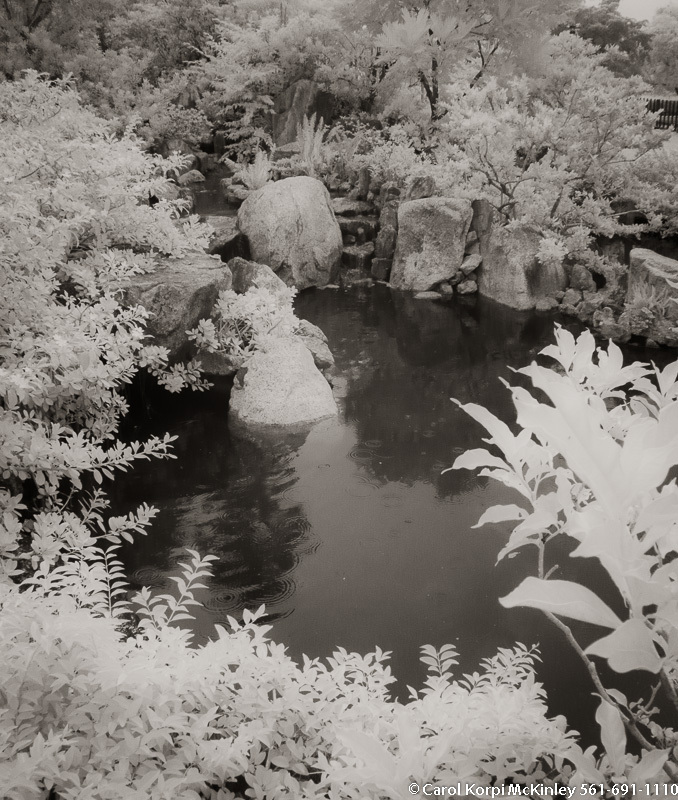 Infrared Photograph, Stretched and Gallery Wrapped, Limited Edition Archival Print on Canvas: 50 x 40 inches, $1560. Custom Proportions and Sizes are Available. For more information or to order please visit our ABOUT page or call us at 561-691-1110. 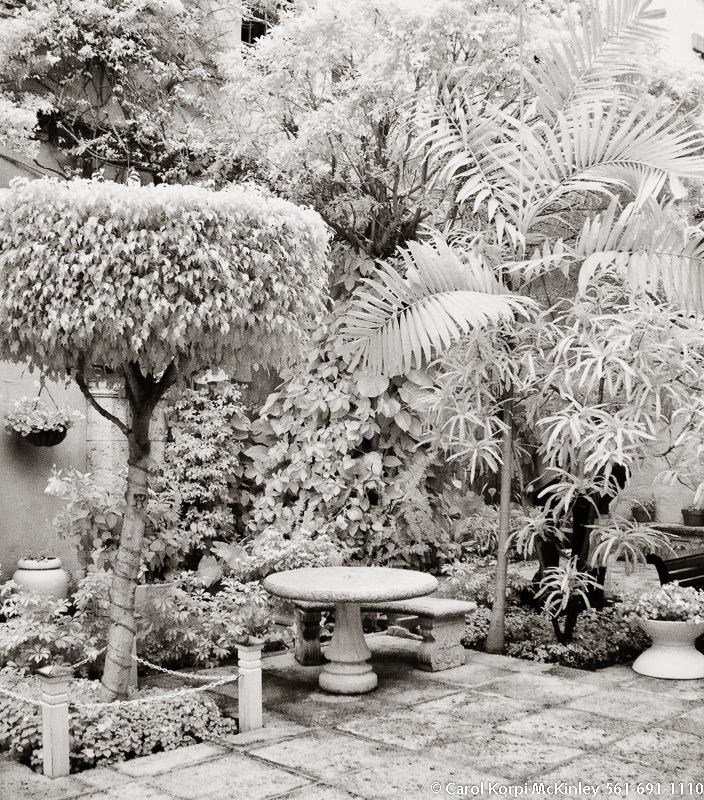 Tropical Garden, Palm Beach #YNG-076. 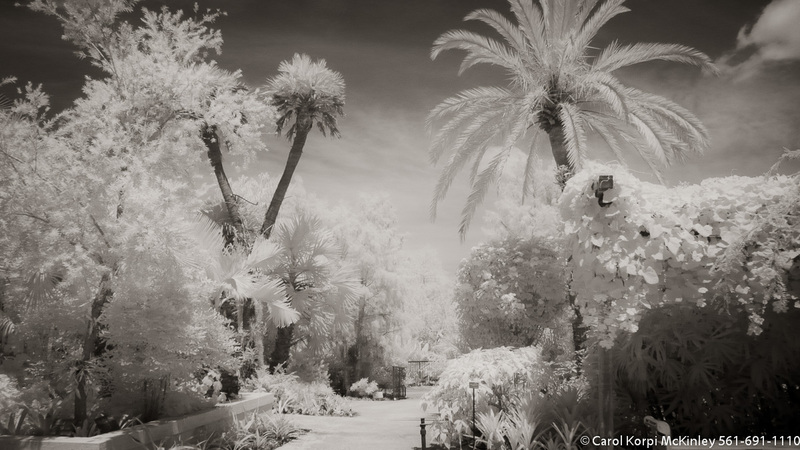 Infrared Photograph, Stretched and Gallery Wrapped, Limited Edition Archival Print on Canvas: 40 x 56 inches, $1590. Custom Proportions and Sizes are Available. For more information or to order please visit our ABOUT page or call us at 561-691-1110. 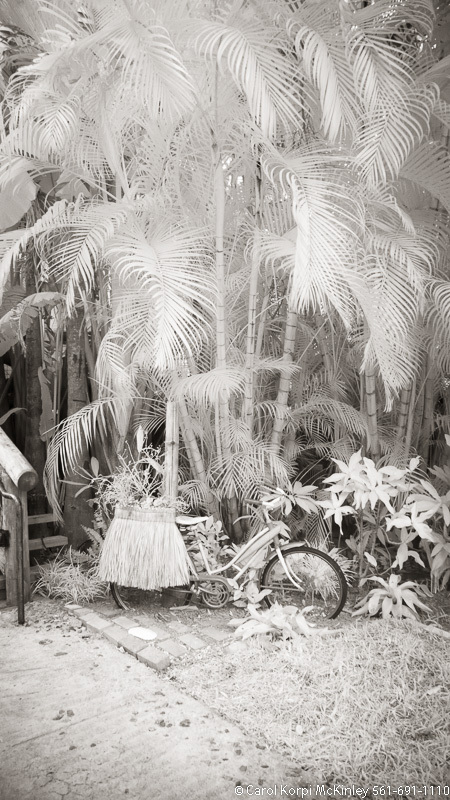 Tropical Garden, Palm Beach #YNG-077. 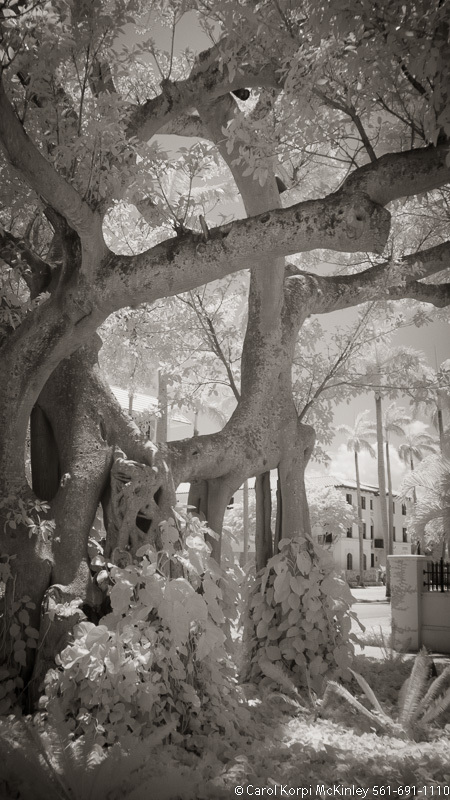 Infrared Photograph, Stretched and Gallery Wrapped, Limited Edition Archival Print on Canvas: 40 x 44 inches, $1530. Custom Proportions and Sizes are Available. For more information or to order please visit our ABOUT page or call us at 561-691-1110. 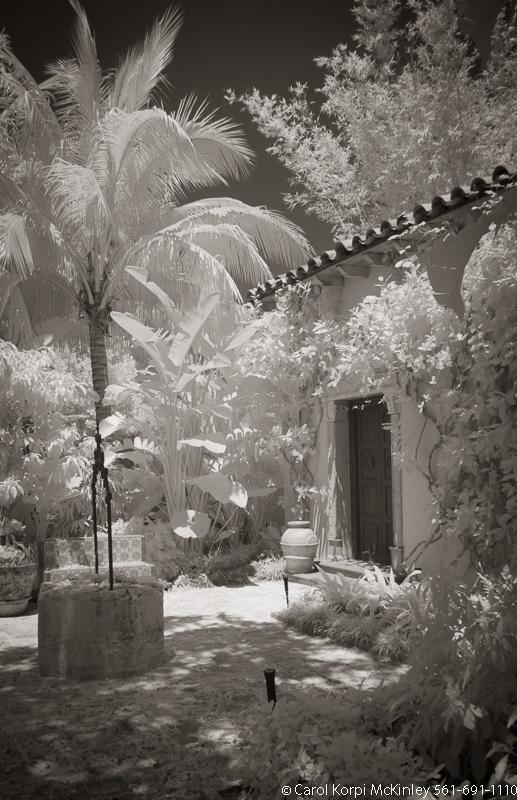 Tropical Garden, Palm Beach #YNG-078. 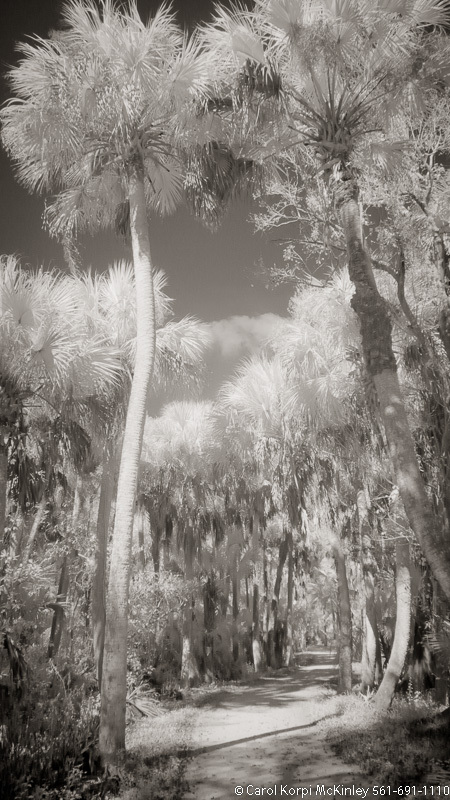 Infrared Photograph, Stretched and Gallery Wrapped, Limited Edition Archival Print on Canvas: 40 x 44 inches, $1530. Custom Proportions and Sizes are Available. For more information or to order please visit our ABOUT page or call us at 561-691-1110. Tropical Garden, Palm Beach #YNG-079. 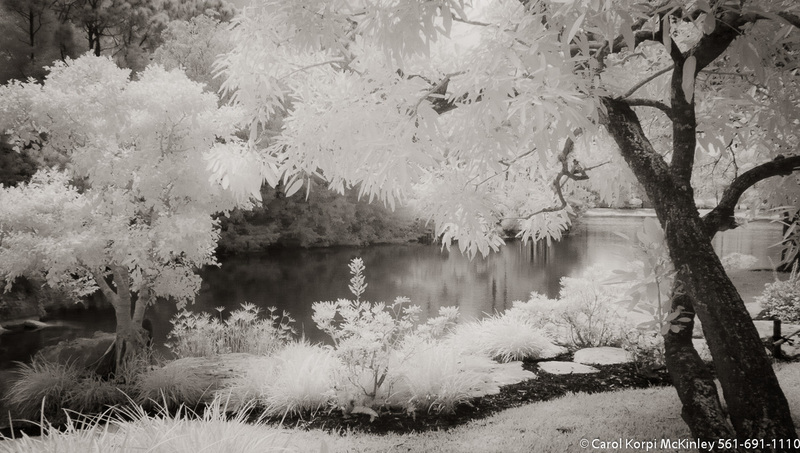 Infrared Photograph, Stretched and Gallery Wrapped, Limited Edition Archival Print on Canvas: 60 x 40 inches, $1590. Custom Proportions and Sizes are Available. For more information or to order please visit our ABOUT page or call us at 561-691-1110. Tropical Garden, Palm Beach #YNG-080. 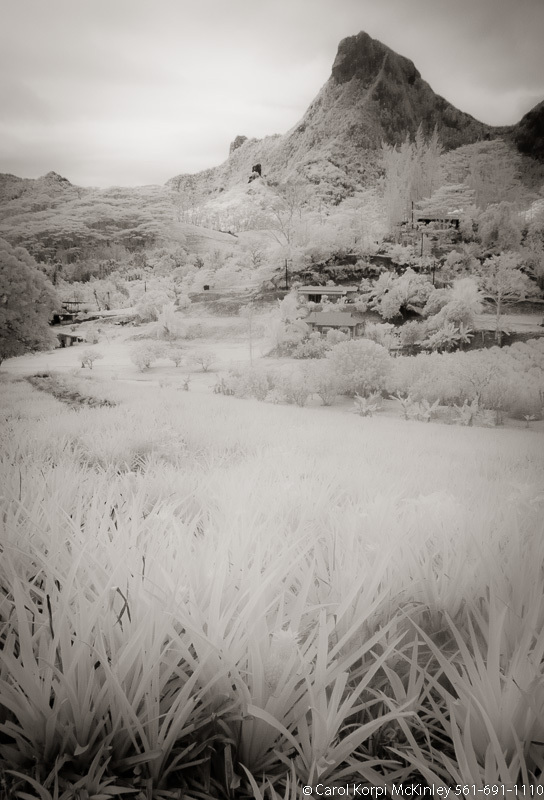 Infrared Photograph, Stretched and Gallery Wrapped, Limited Edition Archival Print on Canvas: 40 x 44 inches, $1530. Custom Proportions and Sizes are Available. For more information or to order please visit our ABOUT page or call us at 561-691-1110. Tropical Garden, Palm Beach #YNG-081. 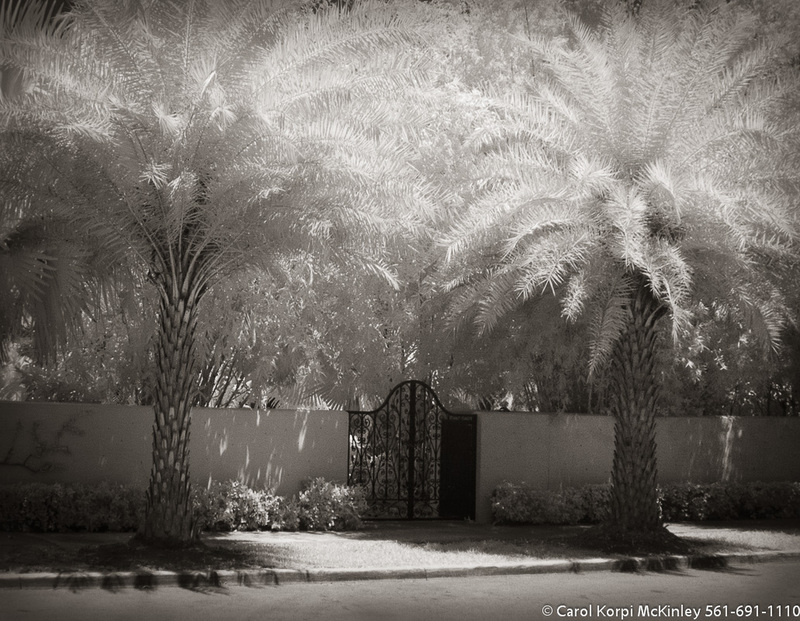 Infrared Photograph, Stretched and Gallery Wrapped, Limited Edition Archival Print on Canvas: 40 x 56 inches, $1590. Custom Proportions and Sizes are Available. For more information or to order please visit our ABOUT page or call us at 561-691-1110. Tropical Garden, Palm Beach #YNG-082. 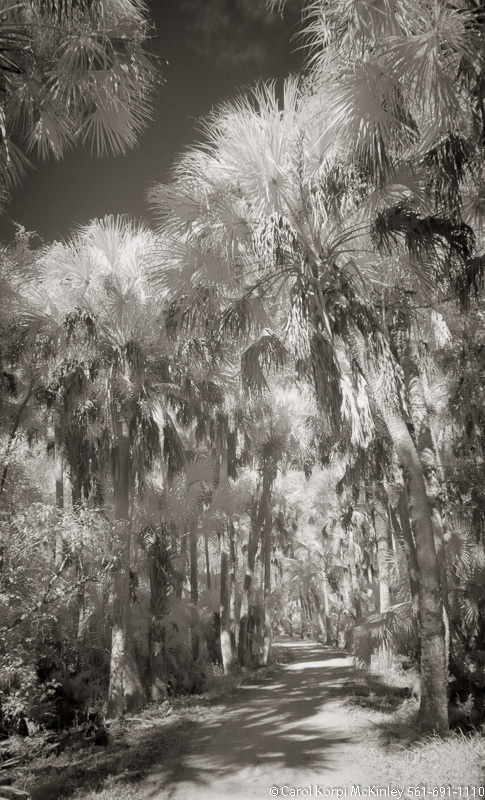 Infrared Photograph, Stretched and Gallery Wrapped, Limited Edition Archival Print on Canvas: 40 x 50 inches, $1560. Custom Proportions and Sizes are Available. For more information or to order please visit our ABOUT page or call us at 561-691-1110. Tropical Garden, Palm Beach #YNG-083. 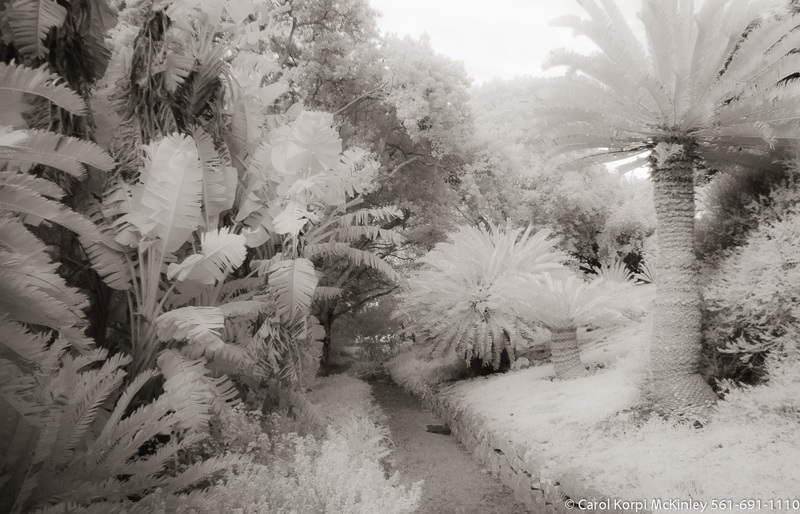 Infrared Photograph, Stretched and Gallery Wrapped, Limited Edition Archival Print on Canvas: 60 x 40 inches, $1590. Custom Proportions and Sizes are Available. For more information or to order please visit our ABOUT page or call us at 561-691-1110. Tropical Garden, Palm Beach #YNG-084. 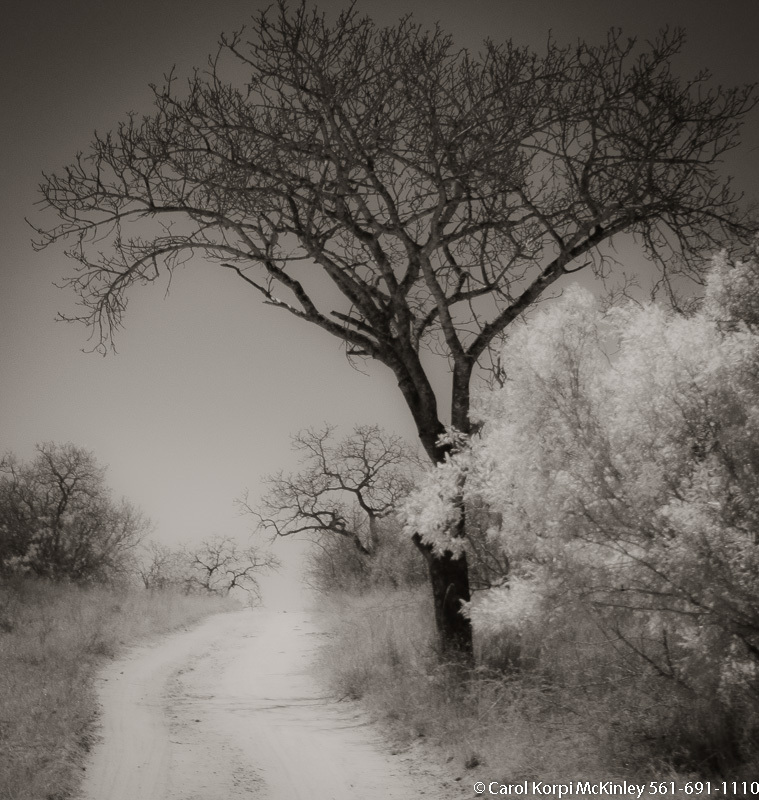 Infrared Photograph, Stretched and Gallery Wrapped, Limited Edition Archival Print on Canvas: 40 x 50 inches, $1560. Custom Proportions and Sizes are Available. For more information or to order please visit our ABOUT page or call us at 561-691-1110. Tropical Garden, Palm Beach #YNG-085. 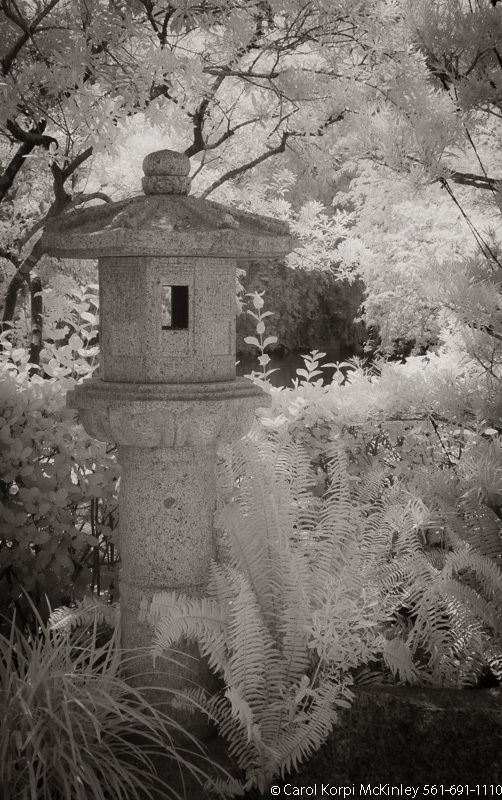 Infrared Photograph, Stretched and Gallery Wrapped, Limited Edition Archival Print on Canvas: 50 x 40 inches, $1560. Custom Proportions and Sizes are Available. For more information or to order please visit our ABOUT page or call us at 561-691-1110. Tropical Garden, Palm Beach #YNG-086. 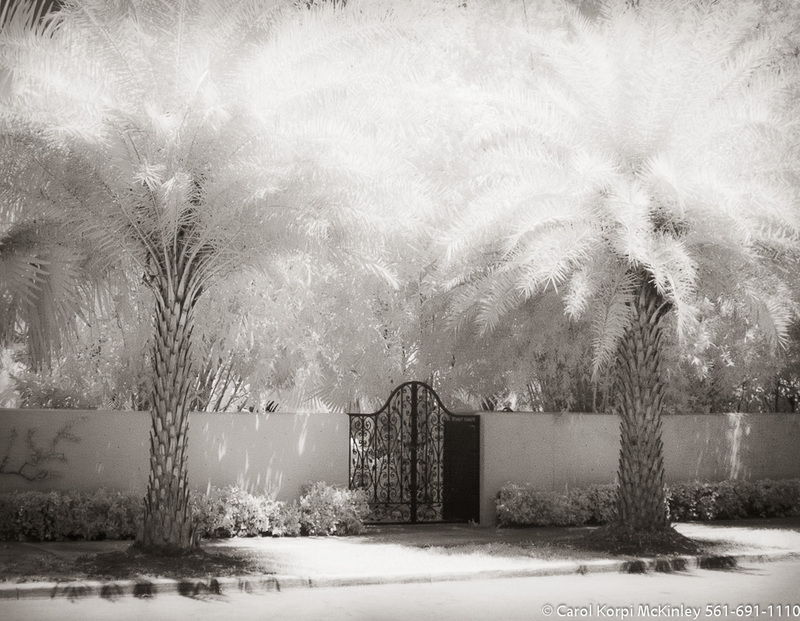 Infrared Photograph, Stretched and Gallery Wrapped, Limited Edition Archival Print on Canvas: 40 x 56 inches, $1590. Custom Proportions and Sizes are Available. For more information or to order please visit our ABOUT page or call us at 561-691-1110. 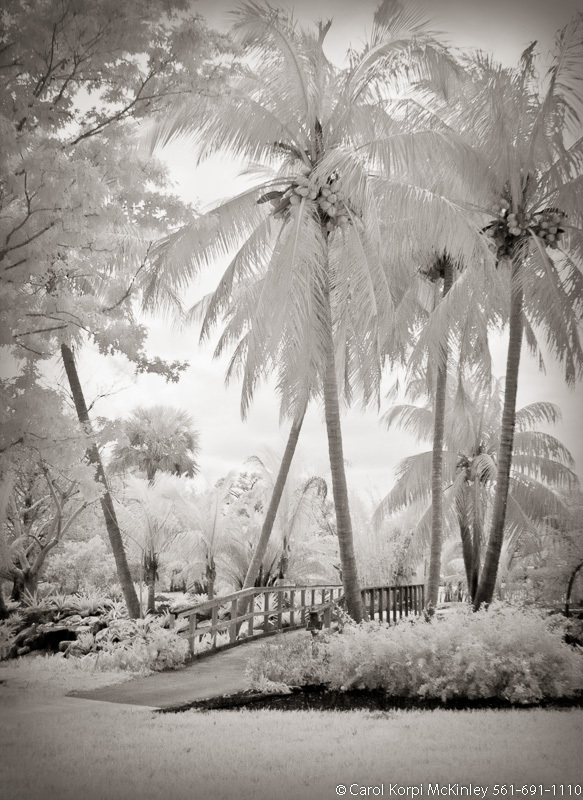 Tropical Garden, Palm Beach #YNG-087. 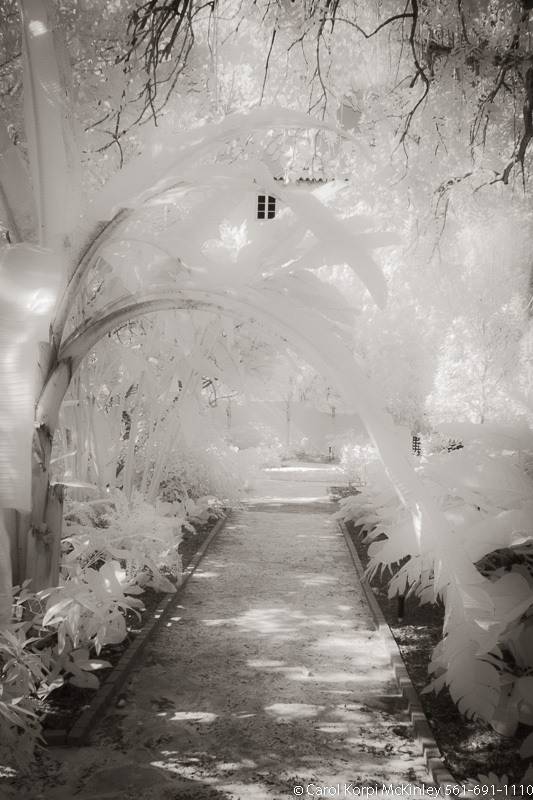 Infrared Photograph, Stretched and Gallery Wrapped, Limited Edition Archival Print on Canvas: 50 x 40 inches, $1560. Custom Proportions and Sizes are Available. For more information or to order please visit our ABOUT page or call us at 561-691-1110. Tropical Garden, Palm Beach #YNG-088. 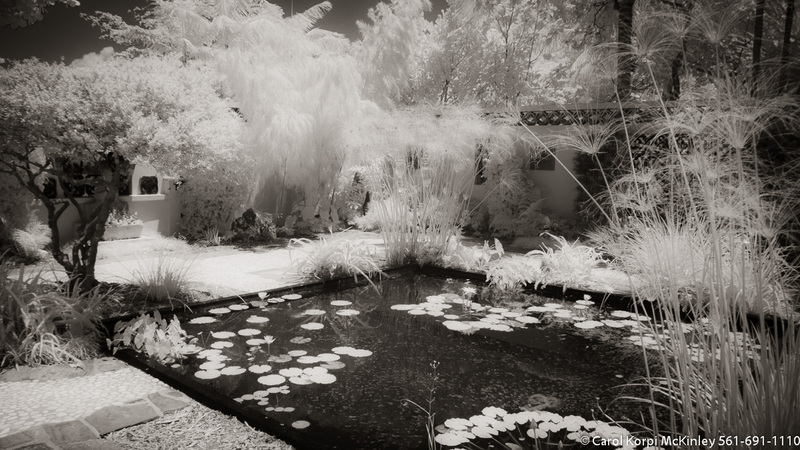 Infrared Photograph, Stretched and Gallery Wrapped, Limited Edition Archival Print on Canvas: 56 x 40 inches, $1590. Custom Proportions and Sizes are Available. For more information or to order please visit our ABOUT page or call us at 561-691-1110. Tropical Garden, Palm Beach #YNG-089. 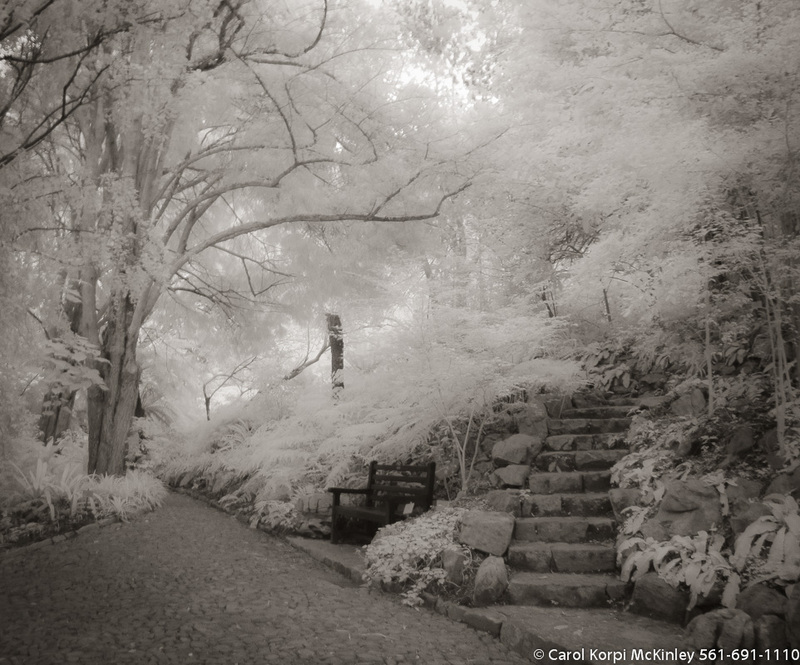 Infrared Photograph, Stretched and Gallery Wrapped, Limited Edition Archival Print on Canvas: 40 x 56 inches, $1590. Custom Proportions and Sizes are Available. For more information or to order please visit our ABOUT page or call us at 561-691-1110. Tropical Garden, Palm Beach #YNG-090. 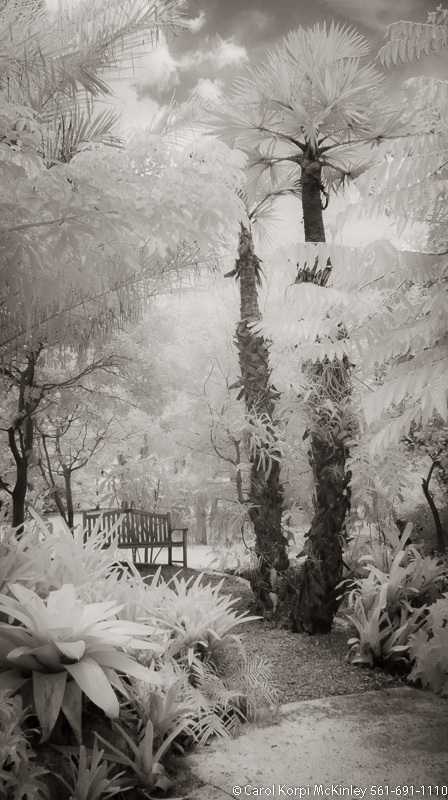 Infrared Photograph, Stretched and Gallery Wrapped, Limited Edition Archival Print on Canvas: 40 x 56 inches, $1590. Custom Proportions and Sizes are Available. For more information or to order please visit our ABOUT page or call us at 561-691-1110. 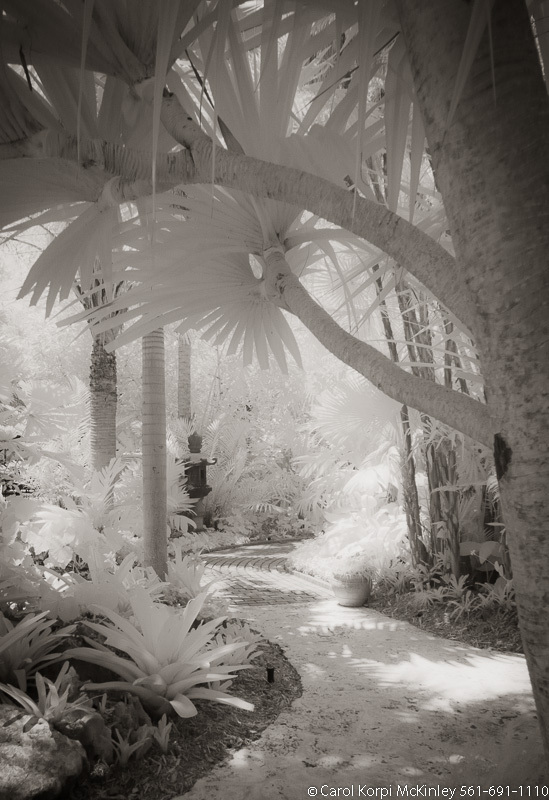 Tropical Garden, Palm Beach #YNG-091. 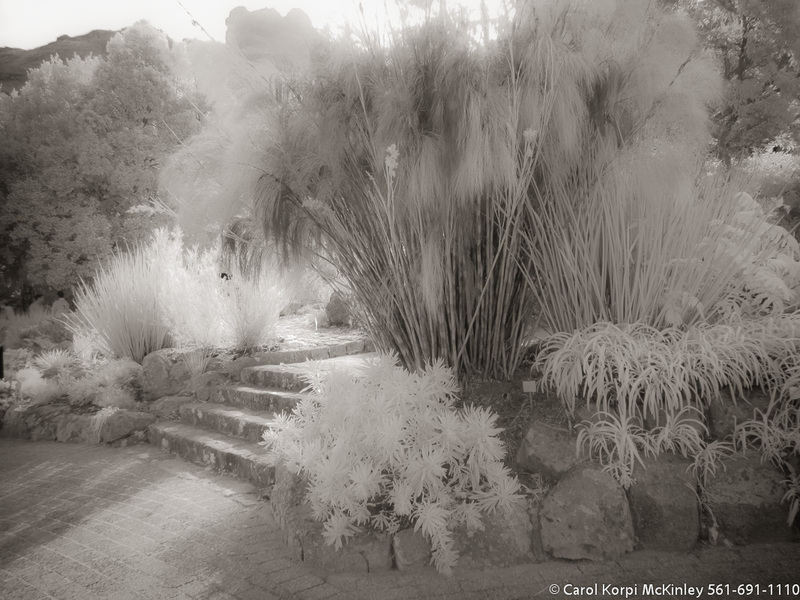 Infrared Photograph, Stretched and Gallery Wrapped, Limited Edition Archival Print on Canvas: 60 x 40 inches, $1590. Custom Proportions and Sizes are Available. For more information or to order please visit our ABOUT page or call us at 561-691-1110. 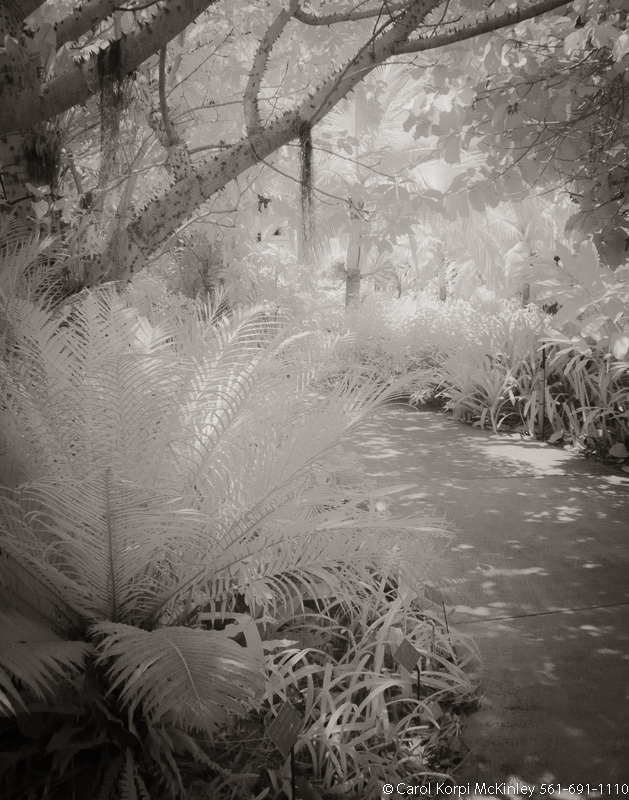 Tropical Garden, Palm Beach #YNG-092. 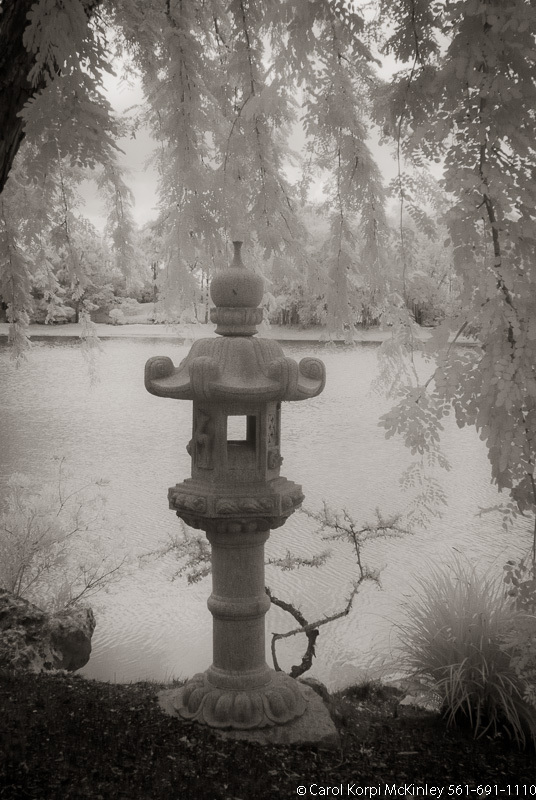 Infrared Photograph, Stretched and Gallery Wrapped, Limited Edition Archival Print on Canvas: 40 x 44 inches, $1530. Custom Proportions and Sizes are Available. For more information or to order please visit our ABOUT page or call us at 561-691-1110. 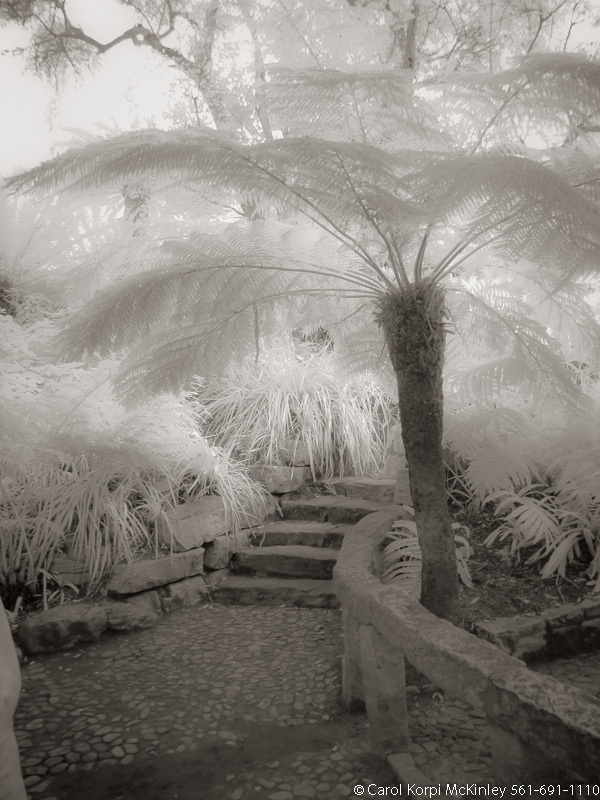 Tropical Garden, Palm Beach #YNG-093. Infrared Photograph, Stretched and Gallery Wrapped, Limited Edition Archival Print on Canvas: 72 x 40 inches, $1620. Custom Proportions and Sizes are Available. For more information or to order please visit our ABOUT page or call us at 561-691-1110. 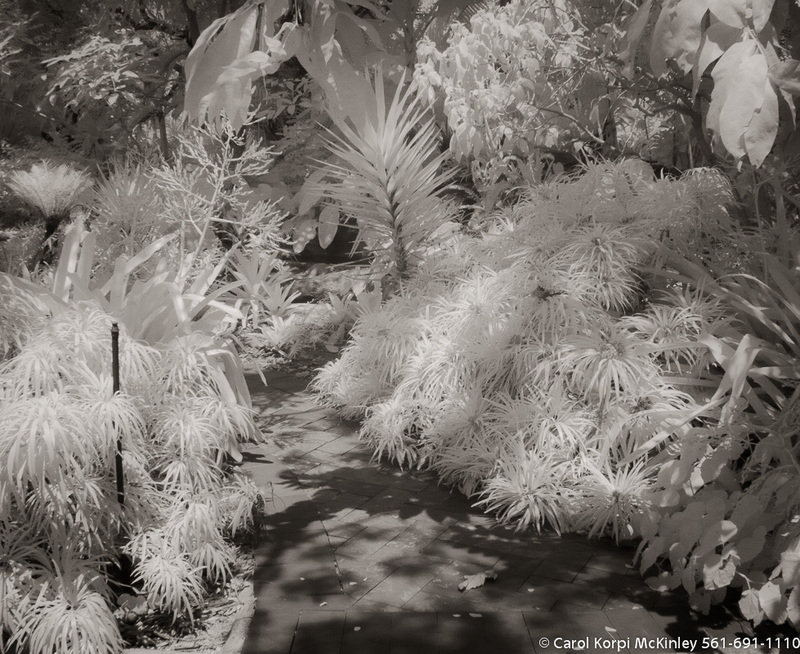 Tropical Garden, Palm Beach #YNG-094. 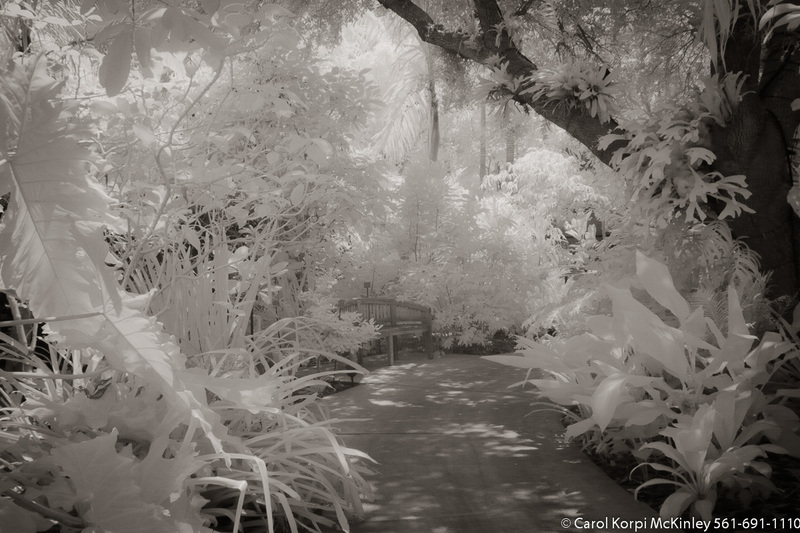 Infrared Photograph, Stretched and Gallery Wrapped, Limited Edition Archival Print on Canvas: 40 x 60 inches, $1590. Custom Proportions and Sizes are Available. For more information or to order please visit our ABOUT page or call us at 561-691-1110. 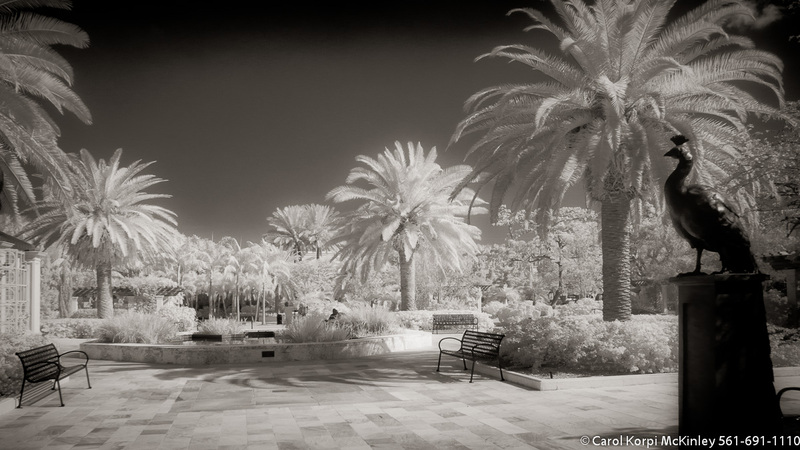 Tropical Garden, Palm Beach #YNG-095. Infrared Photograph, Stretched and Gallery Wrapped, Limited Edition Archival Print on Canvas: 40 x 72 inches, $1620. Custom Proportions and Sizes are Available. For more information or to order please visit our ABOUT page or call us at 561-691-1110. 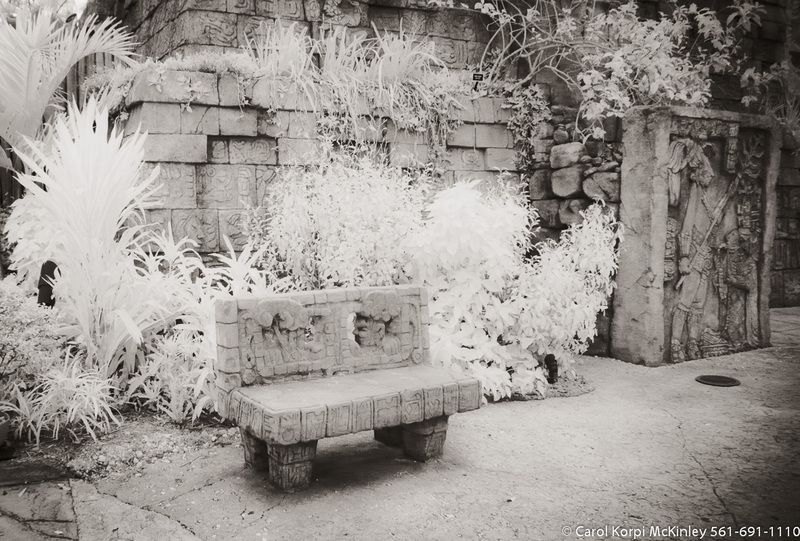 Tropical Garden, Palm Beach #YNG-096. 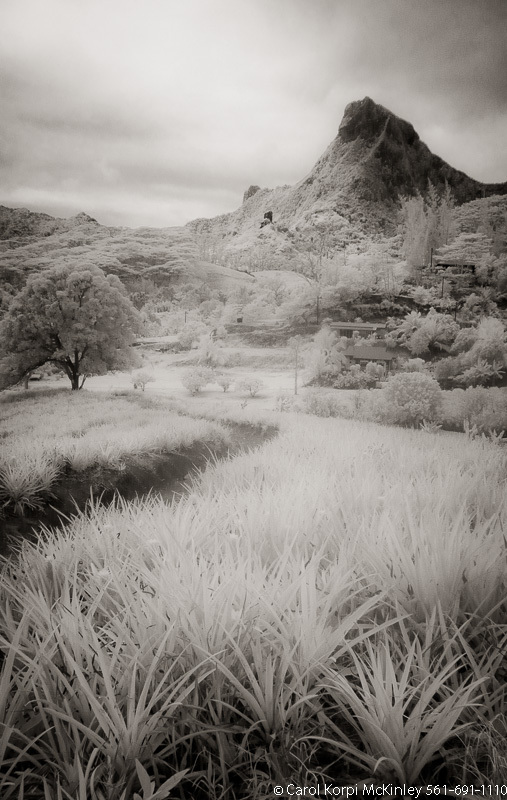 Infrared Photograph, Stretched and Gallery Wrapped, Limited Edition Archival Print on Canvas: 40 x 44 inches, $1530. Custom Proportions and Sizes are Available. For more information or to order please visit our ABOUT page or call us at 561-691-1110. 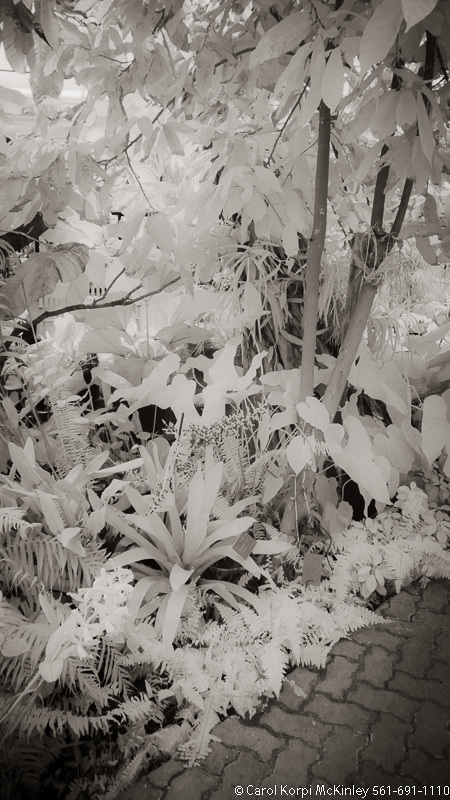 Tropical Garden, Palm Beach #YNG-097. 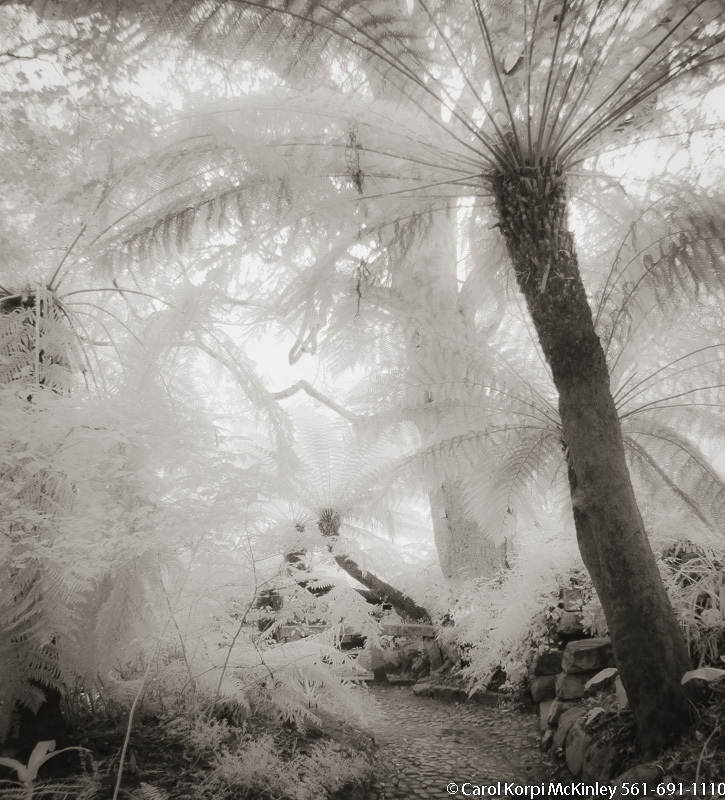 Infrared Photograph, Stretched and Gallery Wrapped, Limited Edition Archival Print on Canvas: 40 x 48 inches, $1560. Custom Proportions and Sizes are Available. For more information or to order please visit our ABOUT page or call us at 561-691-1110. 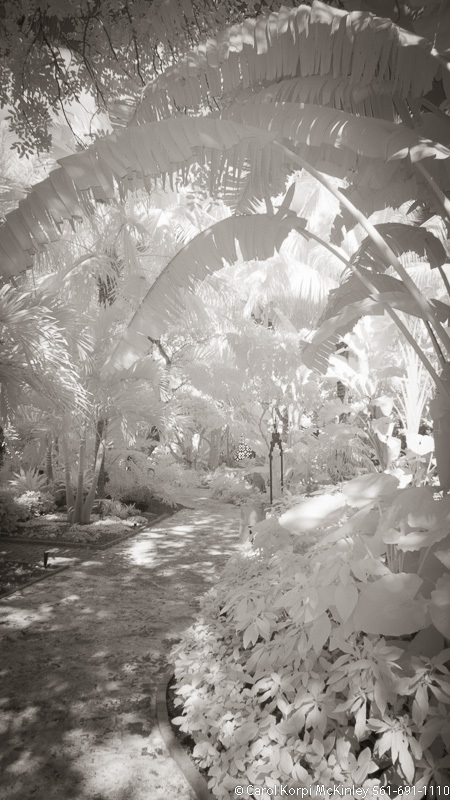 Tropical Garden, Palm Beach #YNG-098. 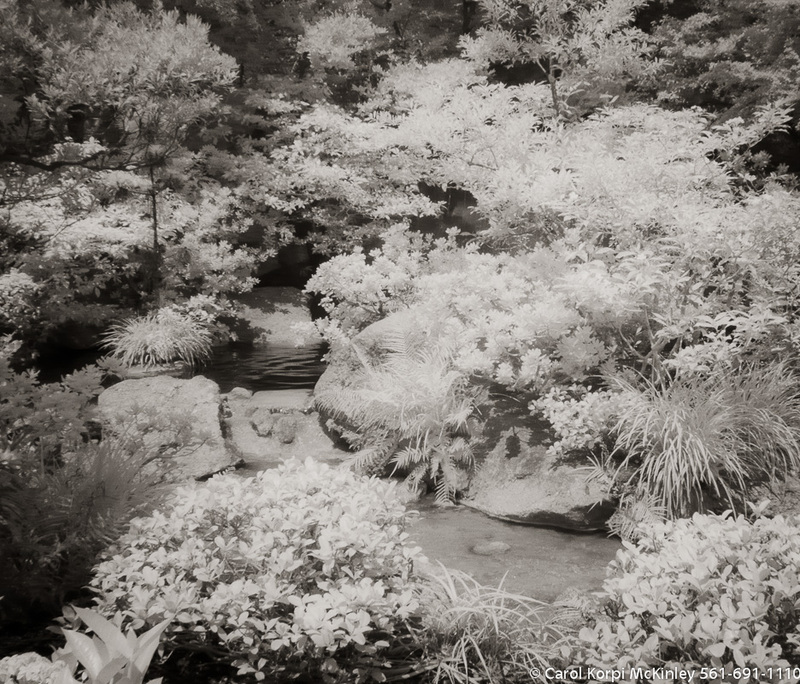 Infrared Photograph, Stretched and Gallery Wrapped, Limited Edition Archival Print on Canvas: 60 x 40 inches, $1590. Custom Proportions and Sizes are Available. For more information or to order please visit our ABOUT page or call us at 561-691-1110. 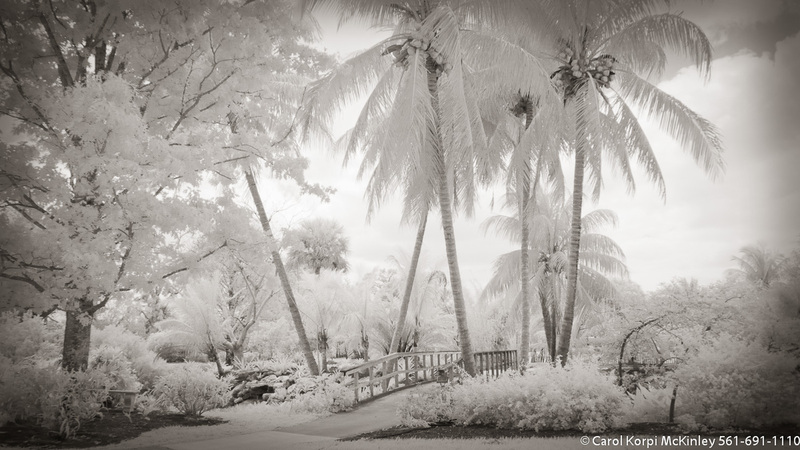 Tropical Garden, Palm Beach #YNG-099. 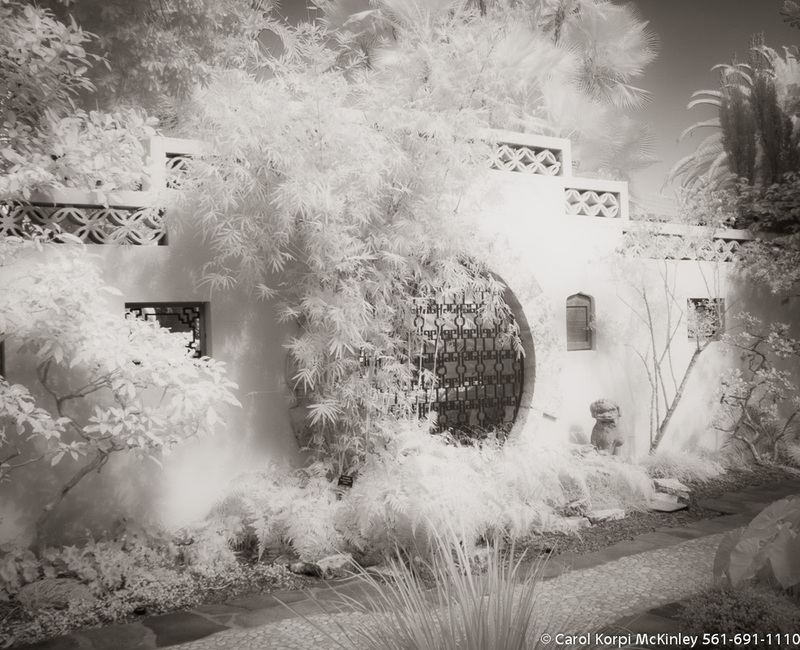 Infrared Photograph, Stretched and Gallery Wrapped, Limited Edition Archival Print on Canvas: 60 x 40 inches, $1590. Custom Proportions and Sizes are Available. For more information or to order please visit our ABOUT page or call us at 561-691-1110. Tropical Garden, Palm Beach #YNG-100. 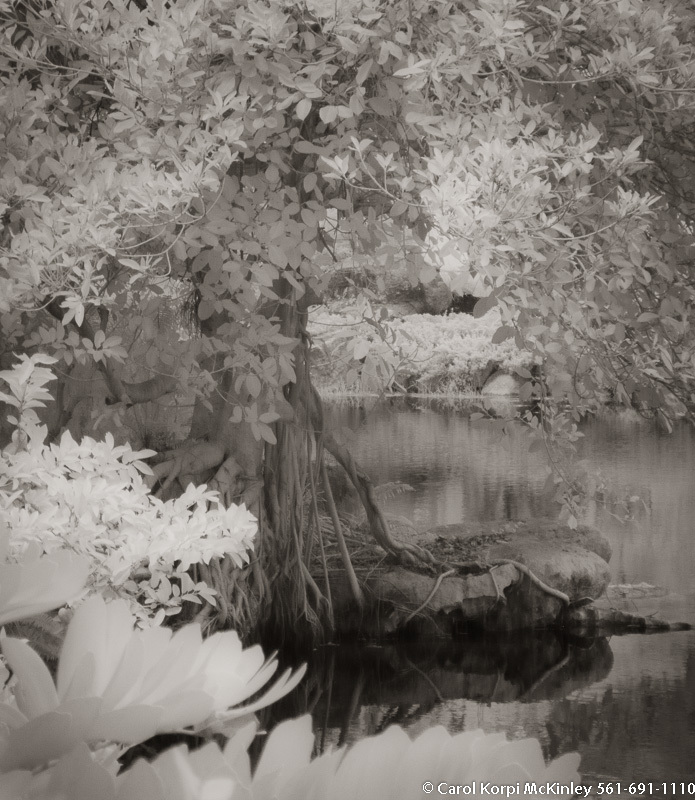 Infrared Photograph, Stretched and Gallery Wrapped, Limited Edition Archival Print on Canvas: 56 x 40 inches, $1590. Custom Proportions and Sizes are Available. For more information or to order please visit our ABOUT page or call us at 561-691-1110. Tropical Garden, Palm Beach #YNG-101. 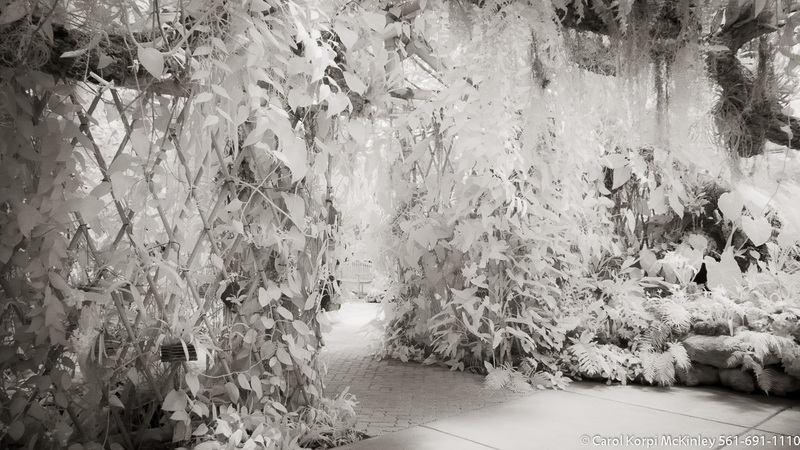 Infrared Photograph, Stretched and Gallery Wrapped, Limited Edition Archival Print on Canvas: 40 x 72 inches, $1620. Custom Proportions and Sizes are Available. For more information or to order please visit our ABOUT page or call us at 561-691-1110. 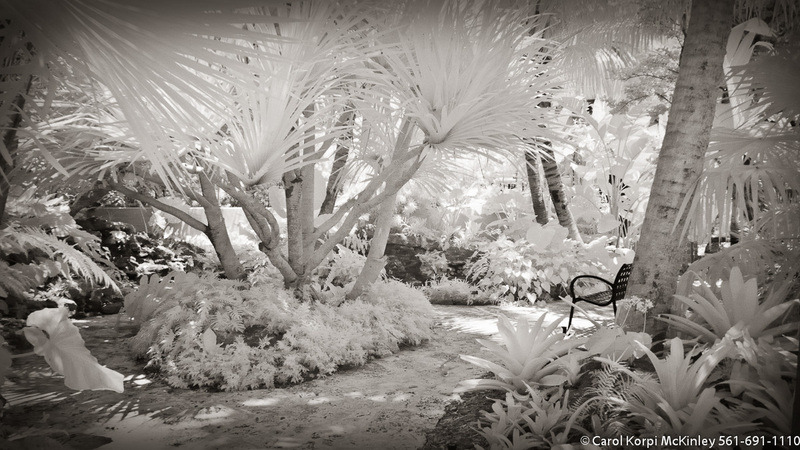 Tropical Garden, Palm Beach #YNG-102. 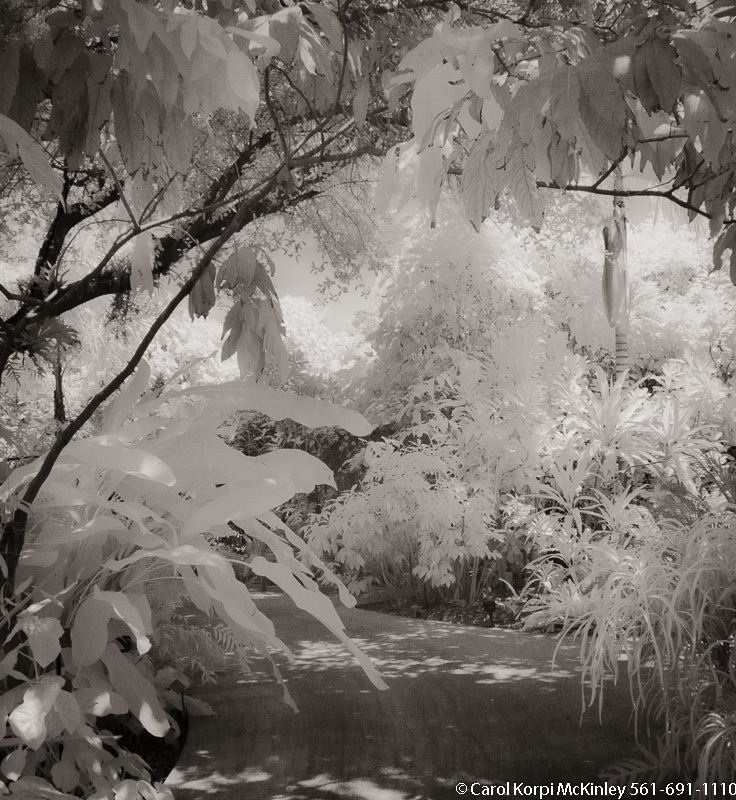 Infrared Photograph, Stretched and Gallery Wrapped, Limited Edition Archival Print on Canvas: 40 x 50 inches, $1560. Custom Proportions and Sizes are Available. For more information or to order please visit our ABOUT page or call us at 561-691-1110. Tropical Garden, Palm Beach #YNG-103. Infrared Photograph, Stretched and Gallery Wrapped, Limited Edition Archival Print on Canvas: 68 x 40 inches, $1620. Custom Proportions and Sizes are Available. For more information or to order please visit our ABOUT page or call us at 561-691-1110. Tropical Garden, Palm Beach #YNG-104. 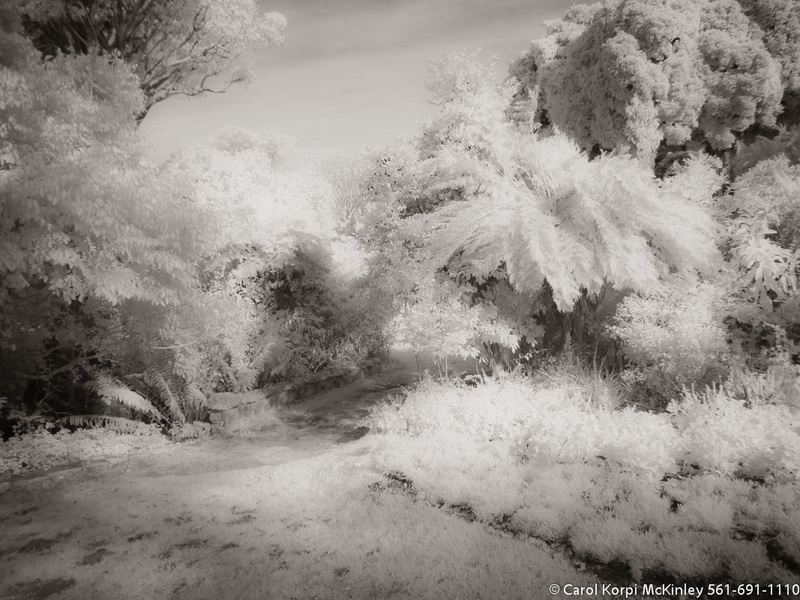 Infrared Photograph, Stretched and Gallery Wrapped, Limited Edition Archival Print on Canvas: 40 x 50 inches, $1560. Custom Proportions and Sizes are Available. For more information or to order please visit our ABOUT page or call us at 561-691-1110. Tropical Garden, Palm Beach #YNG-105. 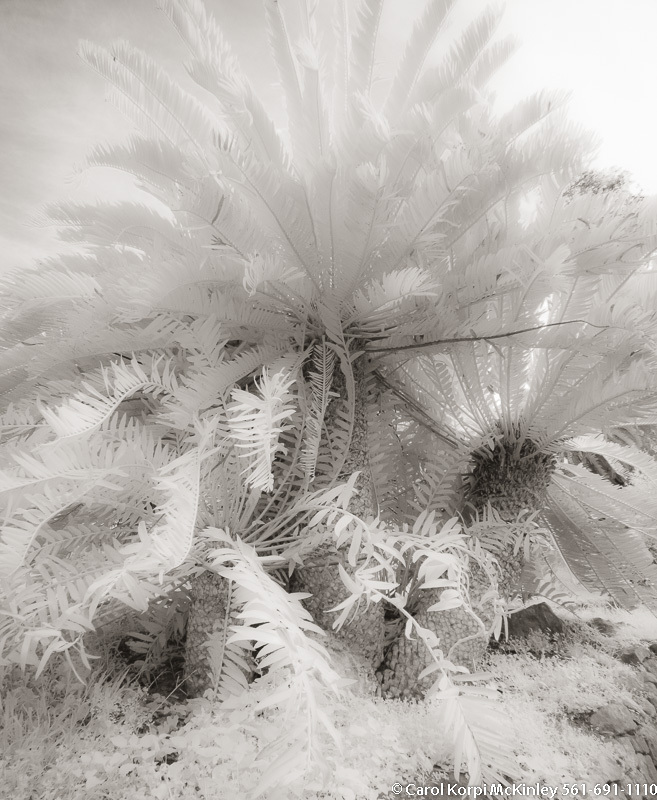 Infrared Photograph, Stretched and Gallery Wrapped, Limited Edition Archival Print on Canvas: 48 x 40 inches, $1560. Custom Proportions and Sizes are Available. For more information or to order please visit our ABOUT page or call us at 561-691-1110. Tropical Garden, Palm Beach #YNG-106. 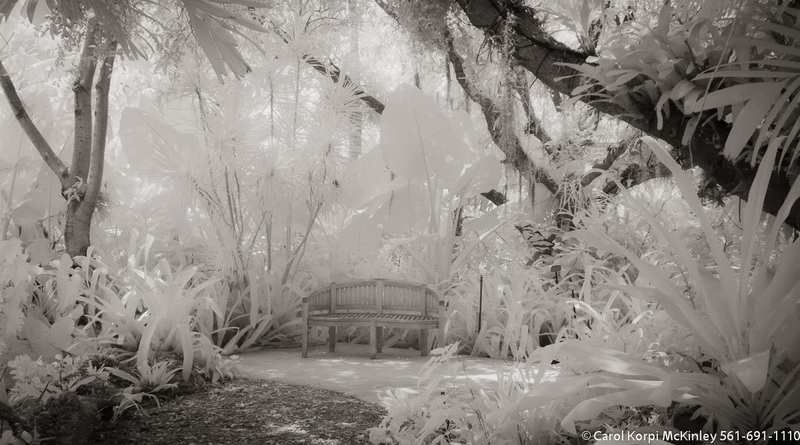 Infrared Photograph, Stretched and Gallery Wrapped, Limited Edition Archival Print on Canvas: 40 x 60 inches, $1590. Custom Proportions and Sizes are Available. For more information or to order please visit our ABOUT page or call us at 561-691-1110. Tropical Garden, Palm Beach #YNG-107. Infrared Photograph, Stretched and Gallery Wrapped, Limited Edition Archival Print on Canvas: 72 x 40 inches, $1620. Custom Proportions and Sizes are Available. For more information or to order please visit our ABOUT page or call us at 561-691-1110. Tropical Garden, Palm Beach #YNG-108. 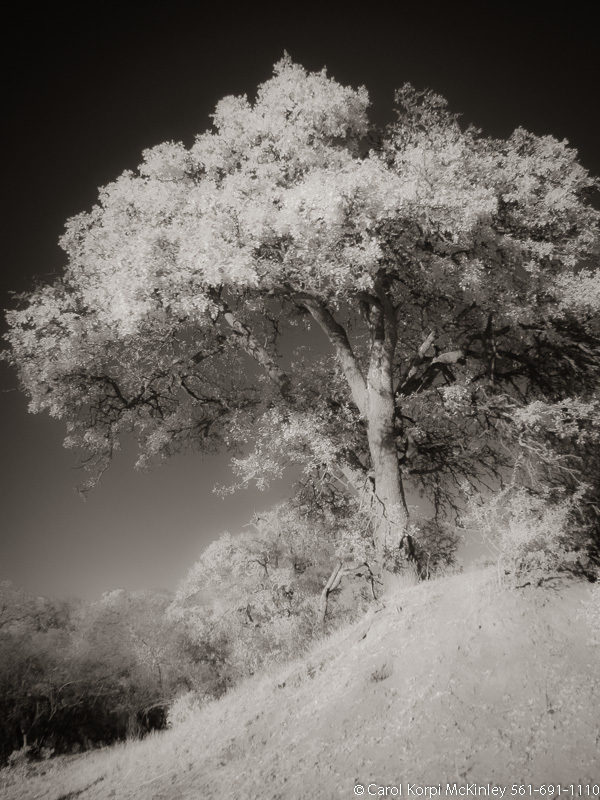 Infrared Photograph, Stretched and Gallery Wrapped, Limited Edition Archival Print on Canvas: 40 x 60 inches, $1590. Custom Proportions and Sizes are Available. For more information or to order please visit our ABOUT page or call us at 561-691-1110. 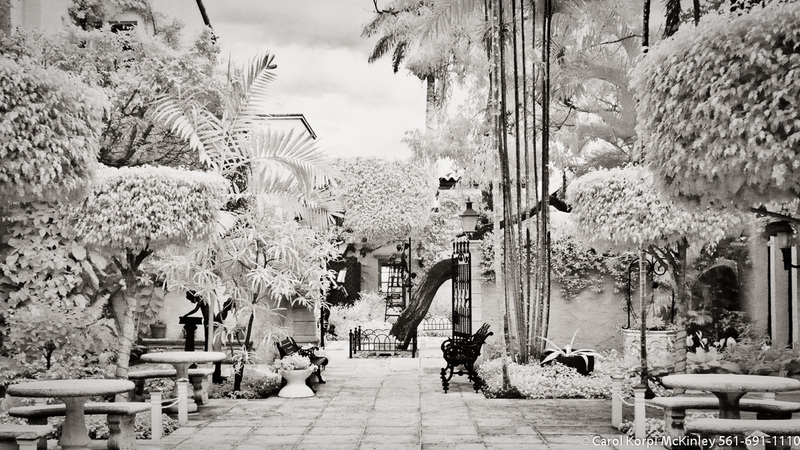 Tropical Garden, Palm Beach #YNG-109. 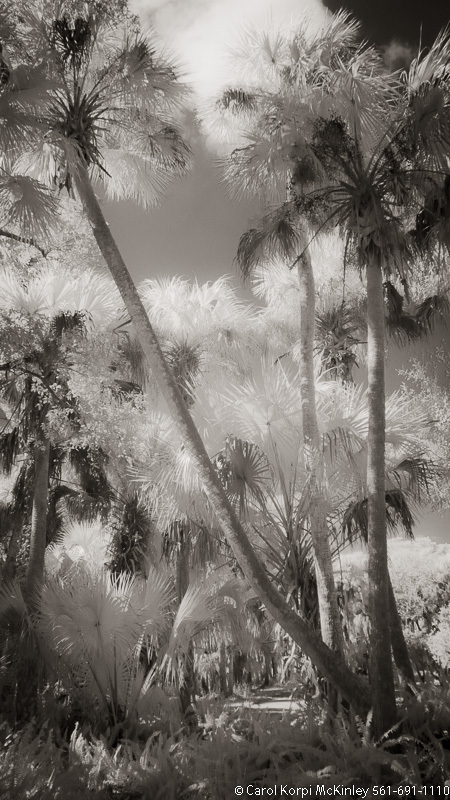 Infrared Photograph, Stretched and Gallery Wrapped, Limited Edition Archival Print on Canvas: 40 x 44 inches, $1530. Custom Proportions and Sizes are Available. For more information or to order please visit our ABOUT page or call us at 561-691-1110. Tropical Garden, Palm Beach #YNG-110. 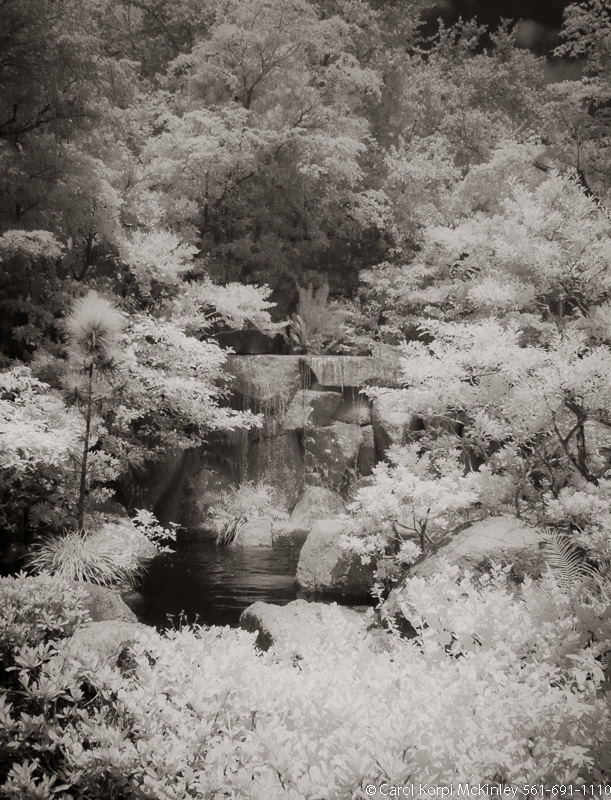 Infrared Photograph, Stretched and Gallery Wrapped, Limited Edition Archival Print on Canvas: 40 x 48 inches, $1560. Custom Proportions and Sizes are Available. For more information or to order please visit our ABOUT page or call us at 561-691-1110. Tropical Garden, Palm Beach #YNG-111. 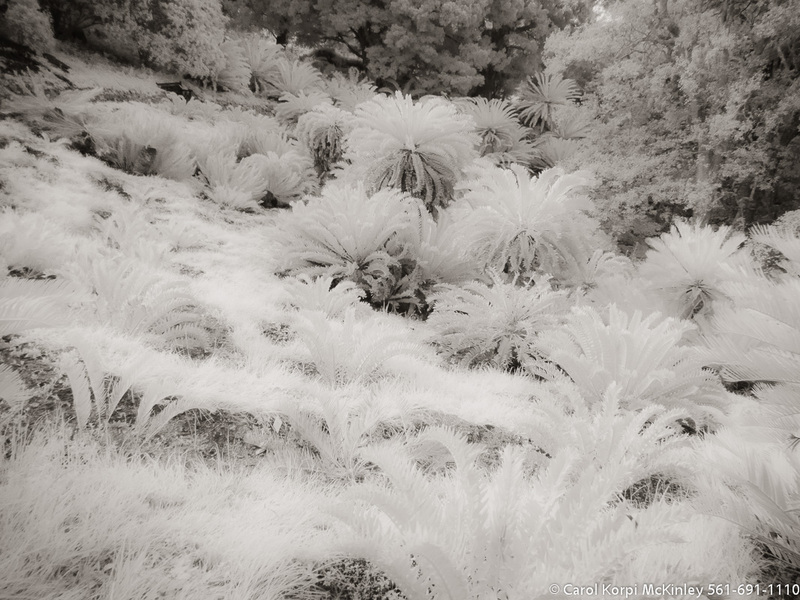 Infrared Photograph, Stretched and Gallery Wrapped, Limited Edition Archival Print on Canvas: 50 x 40 inches, $1560. Custom Proportions and Sizes are Available. For more information or to order please visit our ABOUT page or call us at 561-691-1110. Tropical Forest, Jupiter #YNG-112. 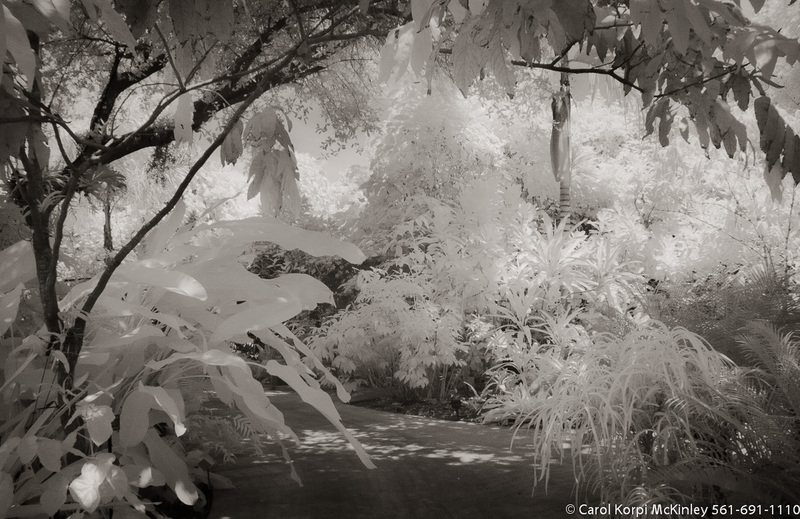 Infrared Photograph, Stretched and Gallery Wrapped, Limited Edition Archival Print on Canvas: 60 x 40 inches, $1590. Custom Proportions and Sizes are Available. For more information or to order please visit our ABOUT page or call us at 561-691-1110. Tropical Forest, Jupiter #YNG-113. 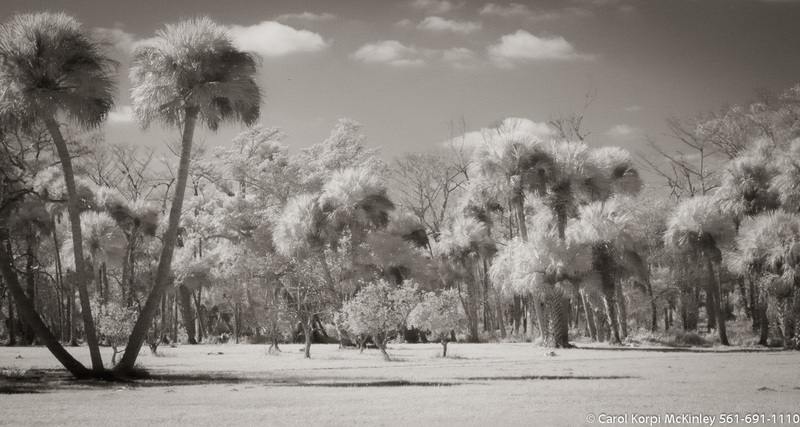 Infrared Photograph, Stretched and Gallery Wrapped, Limited Edition Archival Print on Canvas: 40 x 60 inches, $1590. Custom Proportions and Sizes are Available. For more information or to order please visit our ABOUT page or call us at 561-691-1110. Tropical Forest, Jupiter #YNG-114. 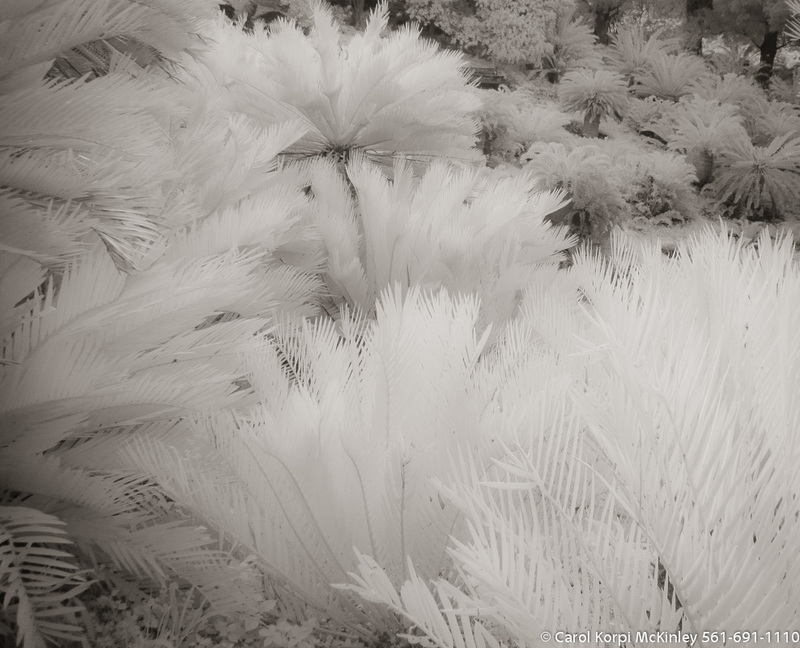 Infrared Photograph, Stretched and Gallery Wrapped, Limited Edition Archival Print on Canvas: 60 x 40 inches, $1590. Custom Proportions and Sizes are Available. For more information or to order please visit our ABOUT page or call us at 561-691-1110. Tropical Forest, Jupiter #YNG-116. 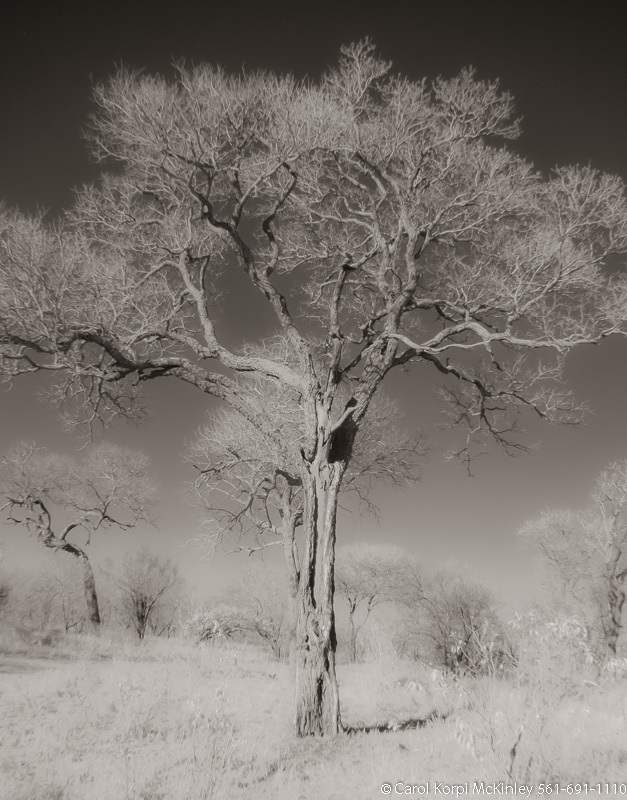 Infrared Photograph, Stretched and Gallery Wrapped, Limited Edition Archival Print on Canvas: 40 x 60 inches, $1590. Custom Proportions and Sizes are Available. For more information or to order please visit our ABOUT page or call us at 561-691-1110. Tropical Forest, Jupiter #YNG-117. 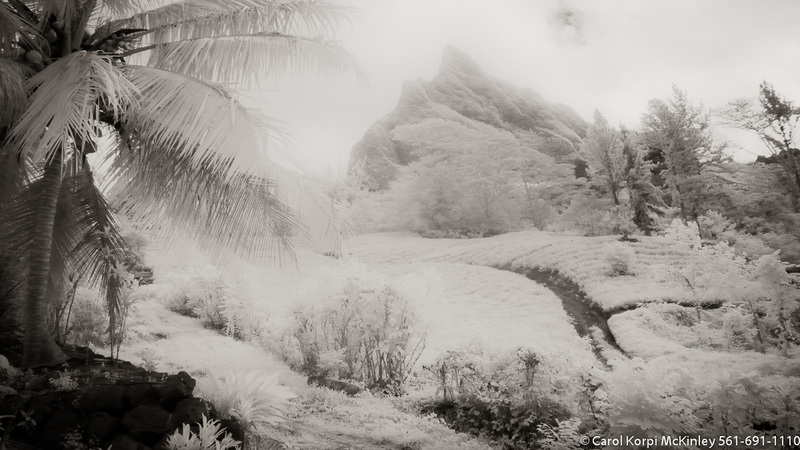 Infrared Photograph, Stretched and Gallery Wrapped, Limited Edition Archival Print on Canvas: 68 x 36 inches, $1620. Custom Proportions and Sizes are Available. For more information or to order please visit our ABOUT page or call us at 561-691-1110. Tropical Forest, Jupiter #YNG-118. 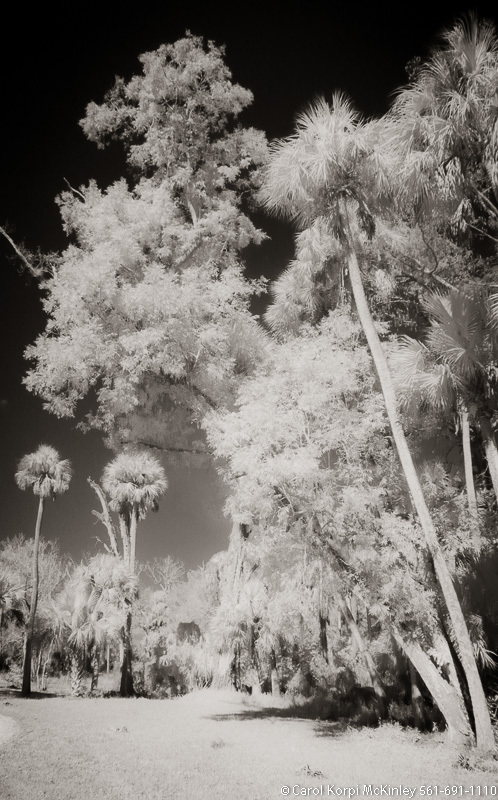 Infrared Photograph, Stretched and Gallery Wrapped, Limited Edition Archival Print on Canvas: 40 x 60 inches, $1590. Custom Proportions and Sizes are Available. For more information or to order please visit our ABOUT page or call us at 561-691-1110. Tropical Forest, Jupiter #YNG-119. 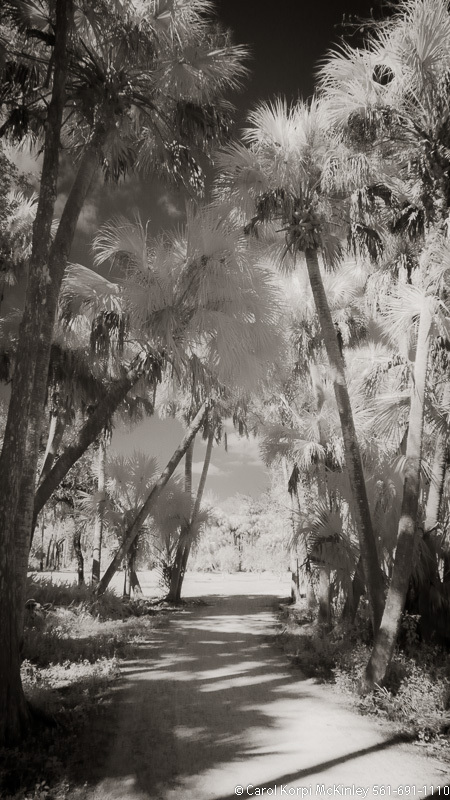 Infrared Photograph, Stretched and Gallery Wrapped, Limited Edition Archival Print on Canvas: 40 x 60 inches, $1590. Custom Proportions and Sizes are Available. For more information or to order please visit our ABOUT page or call us at 561-691-1110. Tropical Forest, Jupiter #YNG-120. 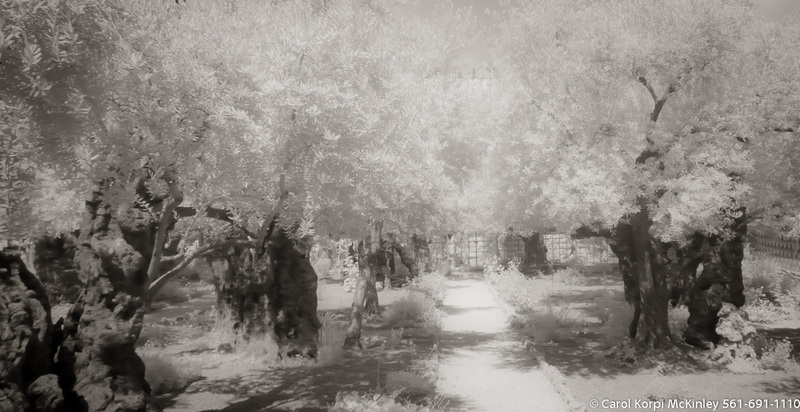 Infrared Photograph, Stretched and Gallery Wrapped, Limited Edition Archival Print on Canvas: 40 x 72 inches, $1620. Custom Proportions and Sizes are Available. For more information or to order please visit our ABOUT page or call us at 561-691-1110. Tropical Forest, Jupiter #YNG-121. Infrared Photograph, Stretched and Gallery Wrapped, Limited Edition Archival Print on Canvas: 40 x 72 inches, $1620. Custom Proportions and Sizes are Available. For more information or to order please visit our ABOUT page or call us at 561-691-1110. Tropical Forest, Jupiter #YNG-122. 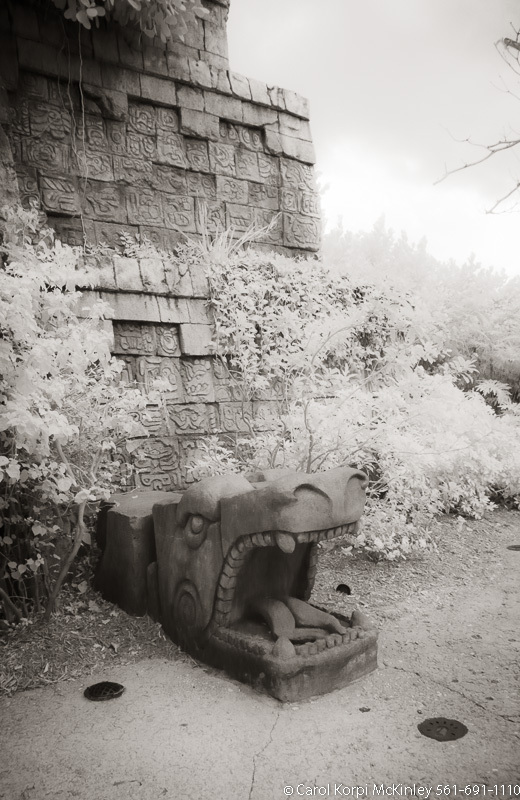 Infrared Photograph, Stretched and Gallery Wrapped, Limited Edition Archival Print on Canvas: 40 x 72 inches, $1620. Custom Proportions and Sizes are Available. For more information or to order please visit our ABOUT page or call us at 561-691-1110. Tropical Forest, Jupiter #YNG-123. Infrared Photograph, Stretched and Gallery Wrapped, Limited Edition Archival Print on Canvas: 40 x 72 inches, $1620. Custom Proportions and Sizes are Available. For more information or to order please visit our ABOUT page or call us at 561-691-1110. Tropical Forest, Jupiter #YNG-124. Infrared Photograph, Stretched and Gallery Wrapped, Limited Edition Archival Print on Canvas: 40 x 72 inches, $1620. Custom Proportions and Sizes are Available. For more information or to order please visit our ABOUT page or call us at 561-691-1110. Tropical Forest, Jupiter #YNG-125. Infrared Photograph, Stretched and Gallery Wrapped, Limited Edition Archival Print on Canvas: 40 x 72 inches, $1620. Custom Proportions and Sizes are Available. For more information or to order please visit our ABOUT page or call us at 561-691-1110. Tropical Forest, Jupiter #YNG-126. Infrared Photograph, Stretched and Gallery Wrapped, Limited Edition Archival Print on Canvas: 72 x 40 inches, $1620. Custom Proportions and Sizes are Available. For more information or to order please visit our ABOUT page or call us at 561-691-1110. Tropical Forest, Jupiter #YNG-127. 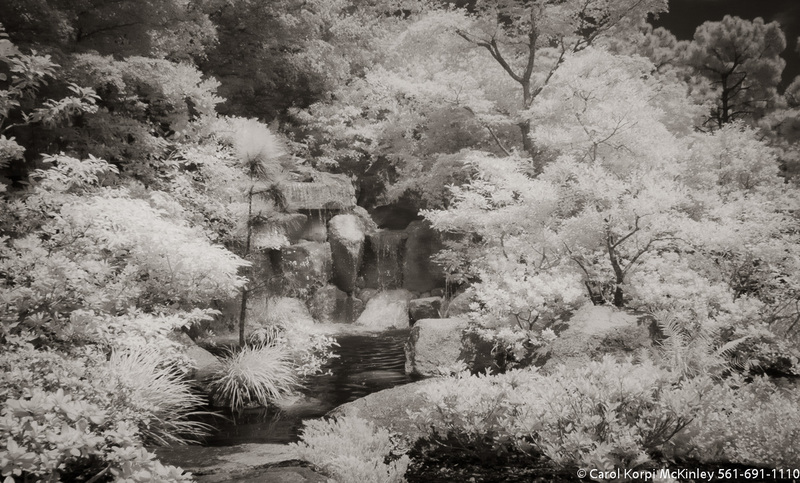 Infrared Photograph, Stretched and Gallery Wrapped, Limited Edition Archival Print on Canvas: 72 x 40 inches, $1620. Custom Proportions and Sizes are Available. For more information or to order please visit our ABOUT page or call us at 561-691-1110. Tropical Forest, Jupiter #YNG-128. Infrared Photograph, Stretched and Gallery Wrapped, Limited Edition Archival Print on Canvas: 72 x 40 inches, $1620. Custom Proportions and Sizes are Available. For more information or to order please visit our ABOUT page or call us at 561-691-1110. Tropical Forest, Jupiter #YNG-129. 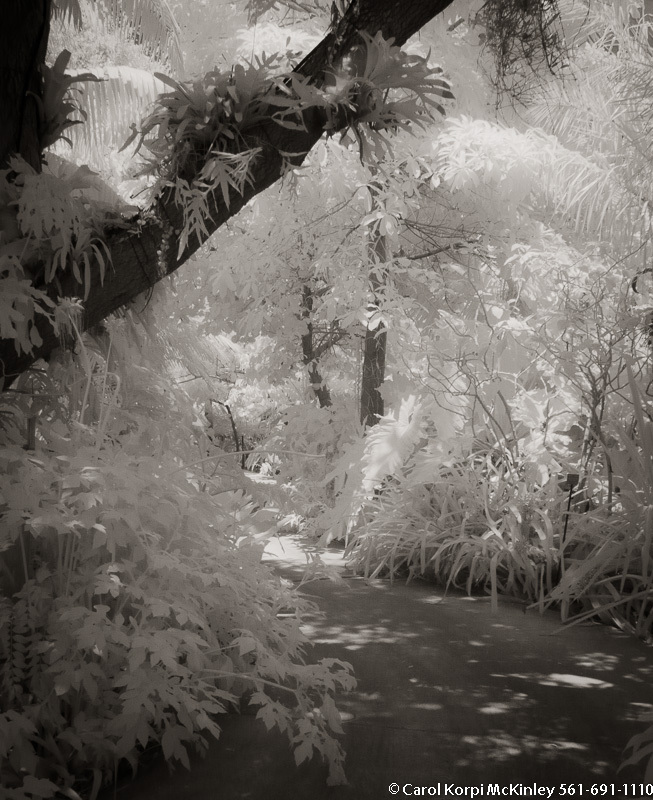 Infrared Photograph, Stretched and Gallery Wrapped, Limited Edition Archival Print on Canvas: 50 x 40 inches, $1560. Custom Proportions and Sizes are Available. For more information or to order please visit our ABOUT page or call us at 561-691-1110. Tropical Forest, Jupiter #YNG-130. 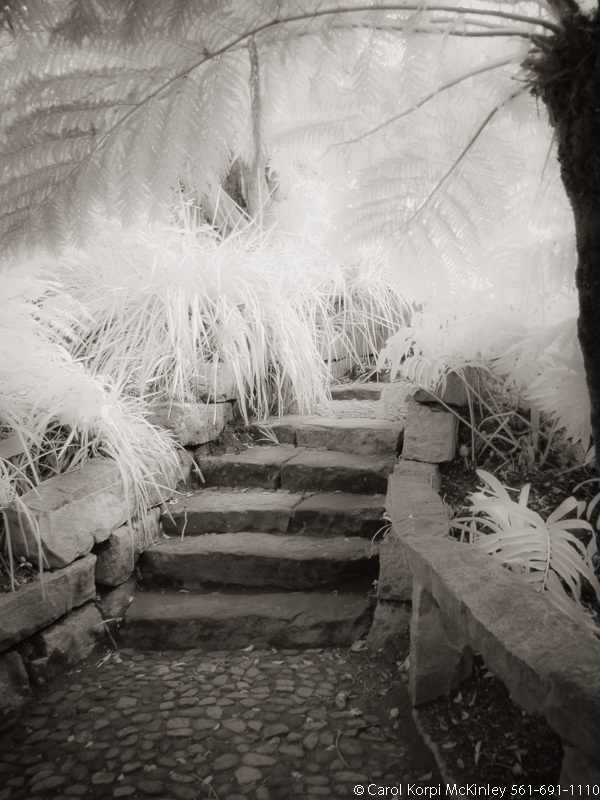 Infrared Photograph, Stretched and Gallery Wrapped, Limited Edition Archival Print on Canvas: 40 x 40 inches, $1500. Custom Proportions and Sizes are Available. For more information or to order please visit our ABOUT page or call us at 561-691-1110. Tropical Forest, Jupiter #YNG-131. Infrared Photograph, Stretched and Gallery Wrapped, Limited Edition Archival Print on Canvas: 40 x 68 inches, $1620. Custom Proportions and Sizes are Available. For more information or to order please visit our ABOUT page or call us at 561-691-1110. Tropical Garden, Palm Beach #YNG-132. Infrared Photograph, Stretched and Gallery Wrapped, Limited Edition Archival Print on Canvas: 40 x 72 inches, $1620. Custom Proportions and Sizes are Available. For more information or to order please visit our ABOUT page or call us at 561-691-1110. Tropical Garden, Palm Beach #YNG-133. Infrared Photograph, Stretched and Gallery Wrapped, Limited Edition Archival Print on Canvas: 72 x 40 inches, $1620. Custom Proportions and Sizes are Available. For more information or to order please visit our ABOUT page or call us at 561-691-1110. Tropical Garden, Palm Beach #YNG-134. Infrared Photograph, Stretched and Gallery Wrapped, Limited Edition Archival Print on Canvas: 40 x 72 inches, $1620. Custom Proportions and Sizes are Available. For more information or to order please visit our ABOUT page or call us at 561-691-1110. Tropical Garden, Palm Beach #YNG-135. 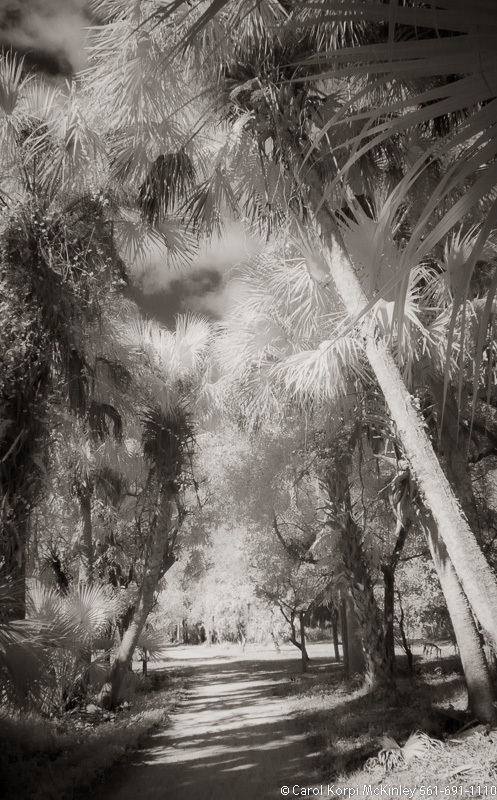 Infrared Photograph, Stretched and Gallery Wrapped, Limited Edition Archival Print on Canvas: 40 x 60 inches, $1590. Custom Proportions and Sizes are Available. For more information or to order please visit our ABOUT page or call us at 561-691-1110. Tropical Garden, Palm Beach #YNG-136. 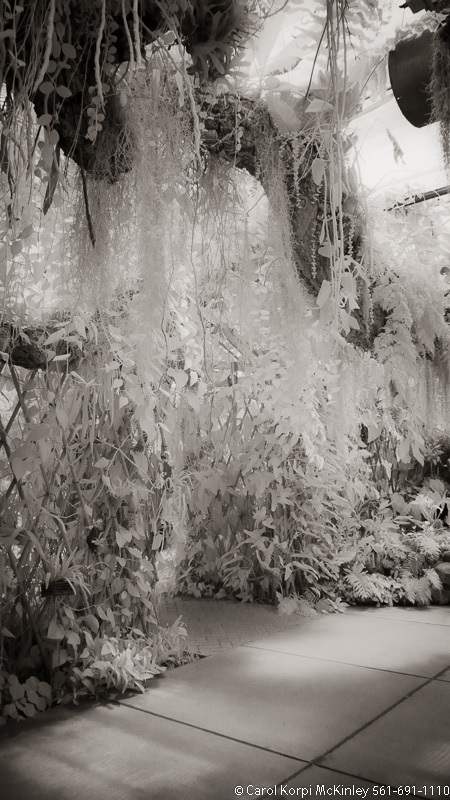 Infrared Photograph, Stretched and Gallery Wrapped, Limited Edition Archival Print on Canvas: 48 x 40 inches, $1560. Custom Proportions and Sizes are Available. For more information or to order please visit our ABOUT page or call us at 561-691-1110. Tropical Garden, Palm Beach #YNG-137. Infrared Photograph, Stretched and Gallery Wrapped, Limited Edition Archival Print on Canvas: 40 x 72 inches, $1620. Custom Proportions and Sizes are Available. For more information or to order please visit our ABOUT page or call us at 561-691-1110. Tropical Garden, Palm Beach #YNG-138. Infrared Photograph, Stretched and Gallery Wrapped, Limited Edition Archival Print on Canvas: 40 x 72 inches, $1620. Custom Proportions and Sizes are Available. For more information or to order please visit our ABOUT page or call us at 561-691-1110. Tropical Garden, Palm Beach #YNG-139. 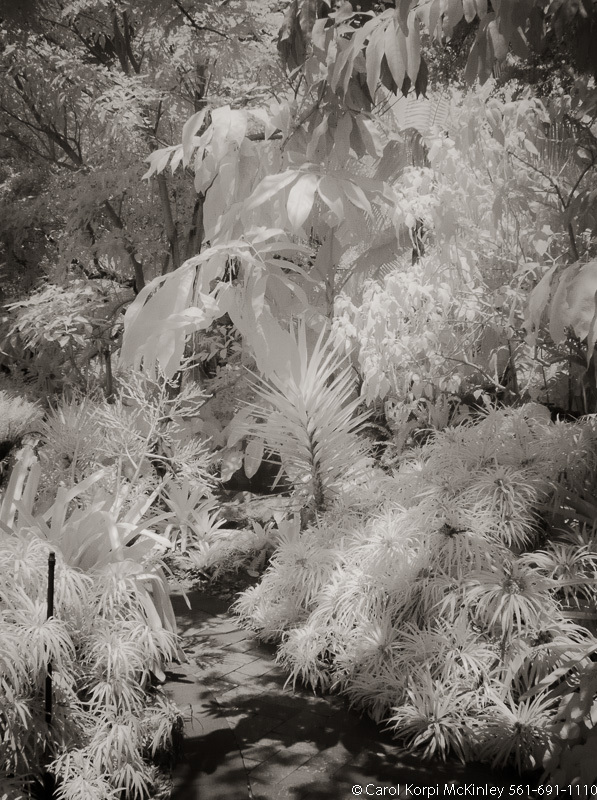 Infrared Photograph, Stretched and Gallery Wrapped, Limited Edition Archival Print on Canvas: 56 x 40 inches, $1590. Custom Proportions and Sizes are Available. For more information or to order please visit our ABOUT page or call us at 561-691-1110. Tropical Garden, Palm Beach #YNG-140. 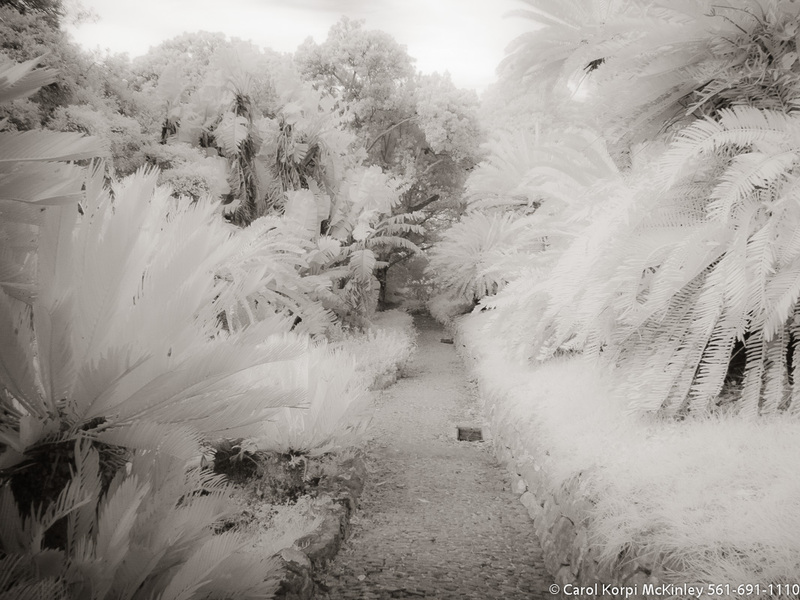 Infrared Photograph, Stretched and Gallery Wrapped, Limited Edition Archival Print on Canvas: 40 x 72 inches, $1620. Custom Proportions and Sizes are Available. For more information or to order please visit our ABOUT page or call us at 561-691-1110. Tropical Garden, Palm Beach #YNG-141. 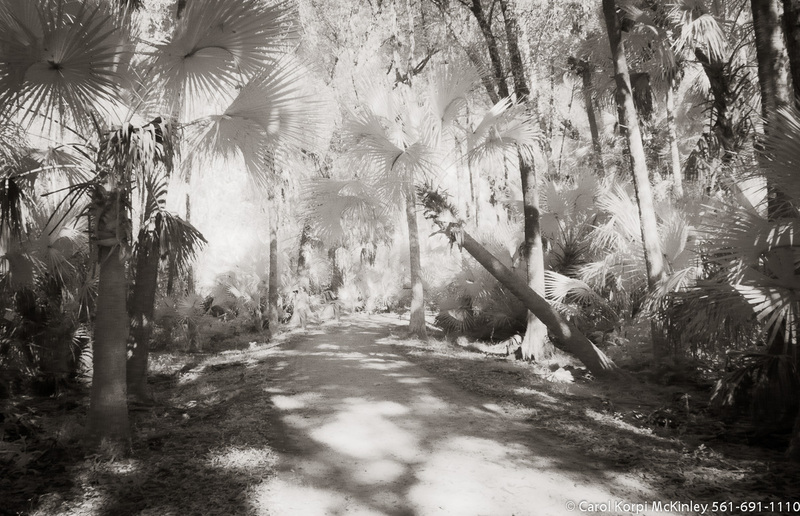 Infrared Photograph, Stretched and Gallery Wrapped, Limited Edition Archival Print on Canvas: 40 x 60 inches, $1590. Custom Proportions and Sizes are Available. For more information or to order please visit our ABOUT page or call us at 561-691-1110. Tropical Garden, Palm Beach #YNG-142. Infrared Photograph, Stretched and Gallery Wrapped, Limited Edition Archival Print on Canvas: 72 x 40 inches, $1620. Custom Proportions and Sizes are Available. For more information or to order please visit our ABOUT page or call us at 561-691-1110. Tropical Garden, Palm Beach #YNG-143. Infrared Photograph, Stretched and Gallery Wrapped, Limited Edition Archival Print on Canvas: 40 x 72 inches, $1620. Custom Proportions and Sizes are Available. For more information or to order please visit our ABOUT page or call us at 561-691-1110. Tropical Garden, Palm Beach #YNG-144. 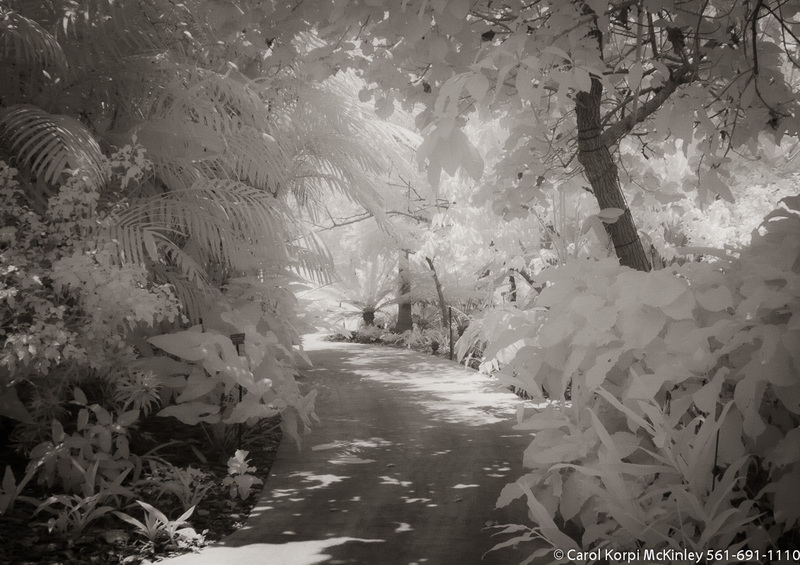 Infrared Photograph, Stretched and Gallery Wrapped, Limited Edition Archival Print on Canvas: 40 x 50 inches, $1560. Custom Proportions and Sizes are Available. For more information or to order please visit our ABOUT page or call us at 561-691-1110. Tropical Garden, Palm Beach #YNG-145. Infrared Photograph, Stretched and Gallery Wrapped, Limited Edition Archival Print on Canvas: 72 x 40 inches, $1620. Custom Proportions and Sizes are Available. For more information or to order please visit our ABOUT page or call us at 561-691-1110. Tropical Garden, Palm Beach #YNG-146. 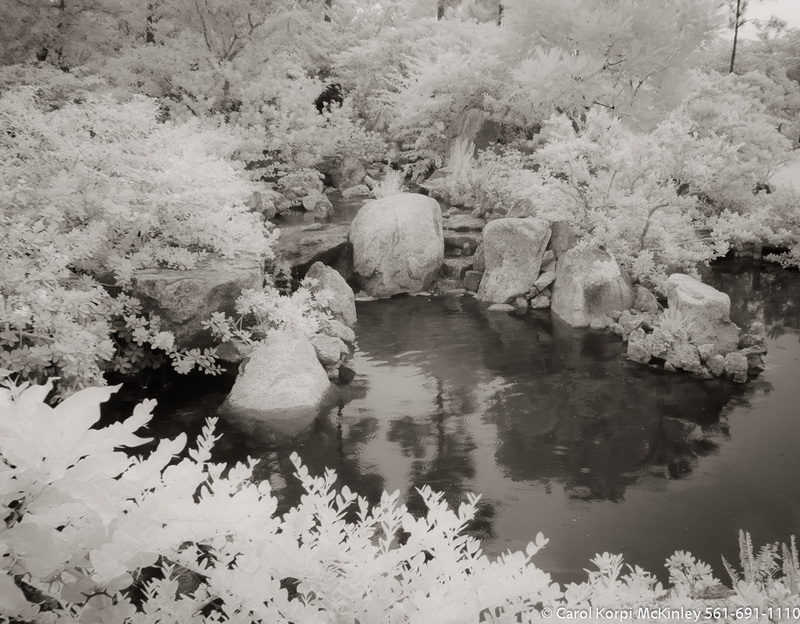 Infrared Photograph, Stretched and Gallery Wrapped, Limited Edition Archival Print on Canvas: 56 x 40 inches, $1590. Custom Proportions and Sizes are Available. For more information or to order please visit our ABOUT page or call us at 561-691-1110. Snow , Michigan #YNG-147. 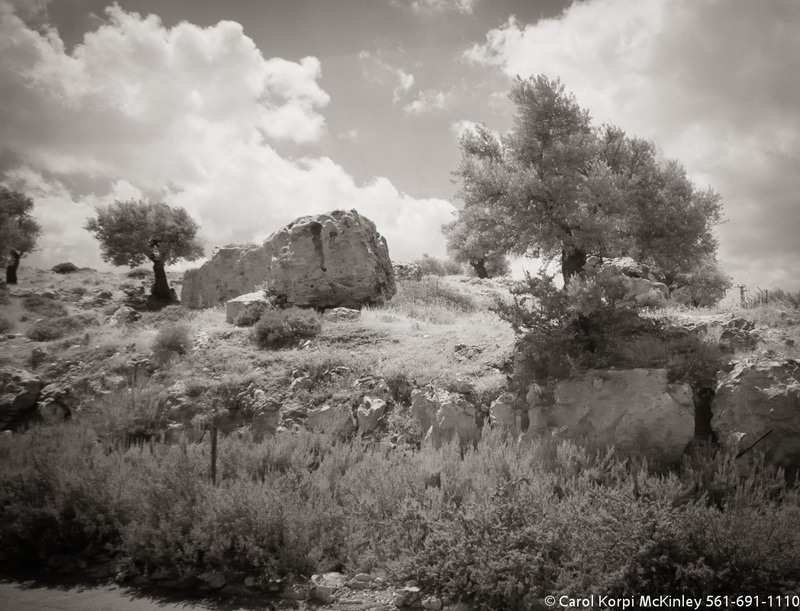 Black-White Photograph, Stretched and Gallery Wrapped, Limited Edition Archival Print on Canvas: 56 x 40 inches, $1590. Custom Proportions and Sizes are Available. For more information or to order please visit our ABOUT page or call us at 561-691-1110. Snow , Michigan #YNG-148. Black-White Photograph, Stretched and Gallery Wrapped, Limited Edition Archival Print on Canvas: 68 x 40 inches, $1620. Custom Proportions and Sizes are Available. For more information or to order please visit our ABOUT page or call us at 561-691-1110. 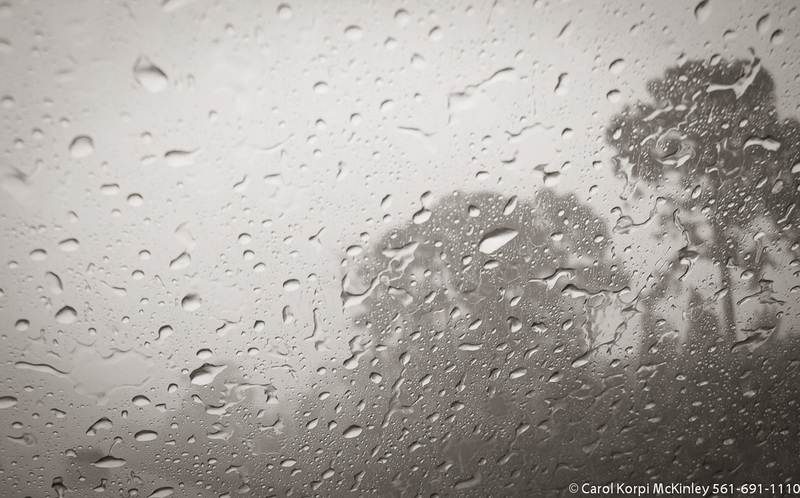 Rainy Landscape, #YNG-149. 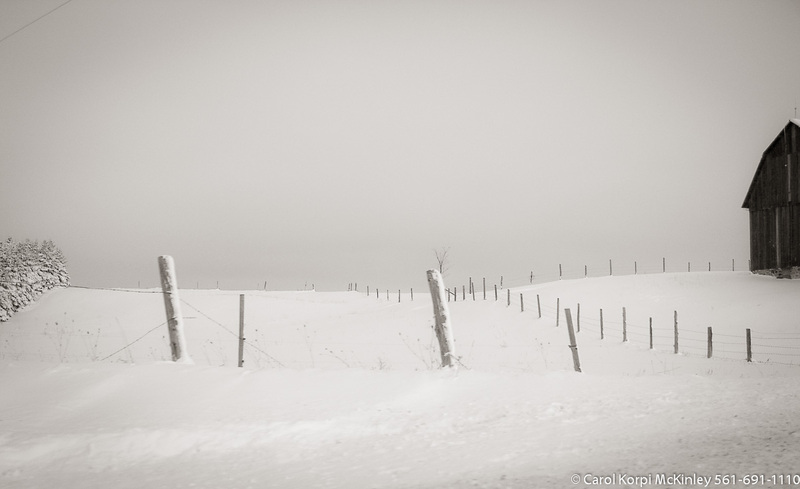 Black-White Photograph, Stretched and Gallery Wrapped, Limited Edition Archival Print on Canvas: 68 x 40 inches, $1620. Custom Proportions and Sizes are Available. For more information or to order please visit our ABOUT page or call us at 561-691-1110. Rainy Landscape, #YNG-150. 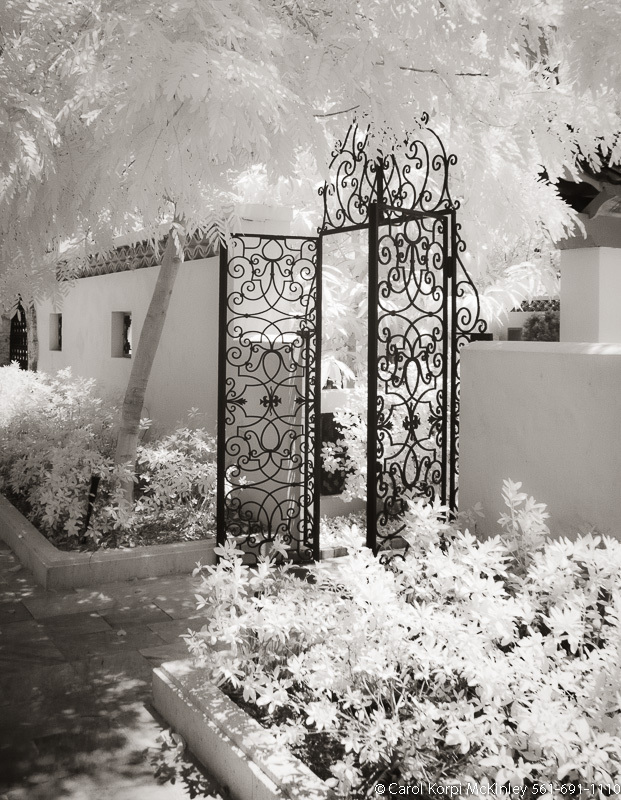 Black-White Photograph, Stretched and Gallery Wrapped, Limited Edition Archival Print on Canvas: 56 x 40 inches, $1590. Custom Proportions and Sizes are Available. For more information or to order please visit our ABOUT page or call us at 561-691-1110. 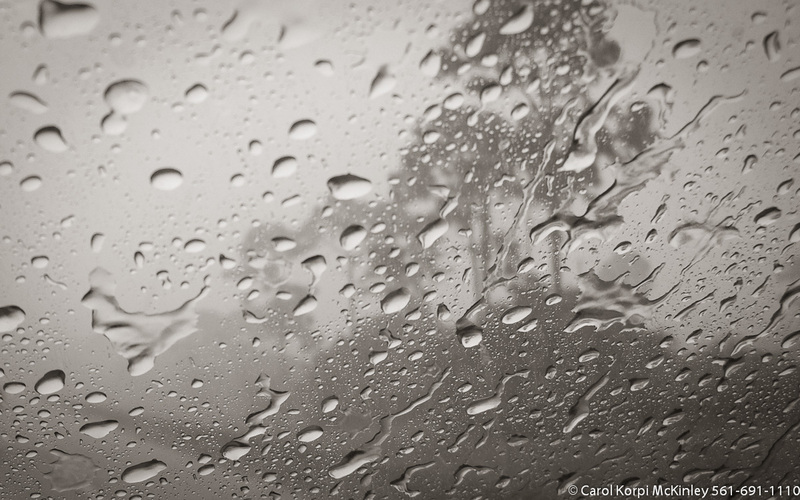 Rainy Landscape, #YNG-152. Black-White Photograph, Stretched and Gallery Wrapped, Limited Edition Archival Print on Canvas: 68 x 40 inches, $1620. Custom Proportions and Sizes are Available. For more information or to order please visit our ABOUT page or call us at 561-691-1110. 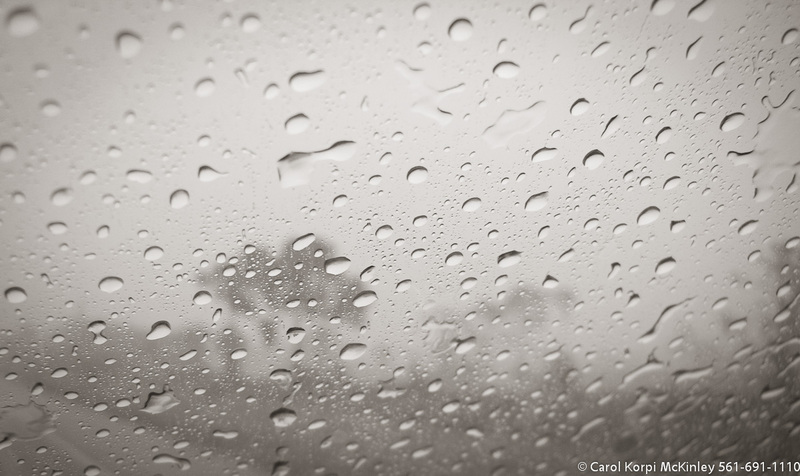 Rainy Landscape, #YNG-153. 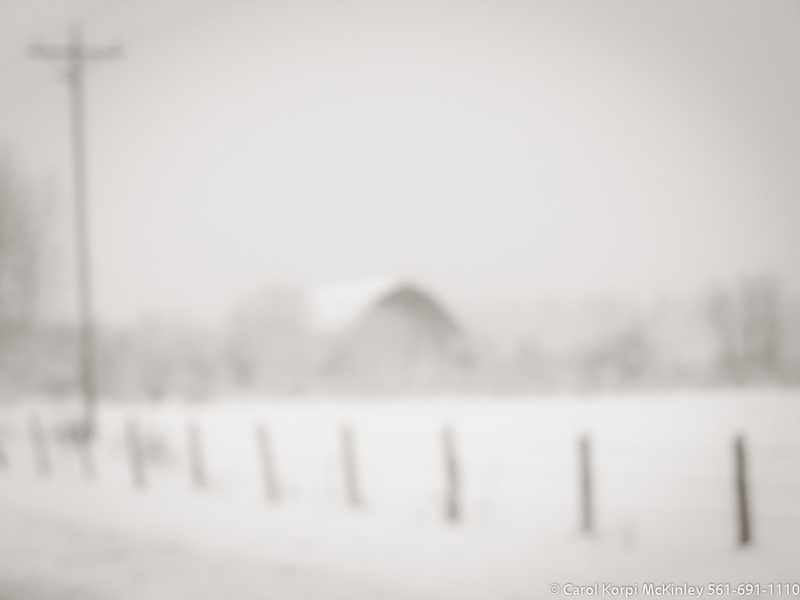 Black-White Photograph, Stretched and Gallery Wrapped, Limited Edition Archival Print on Canvas: 68 x 30 inches, $1560. Custom Proportions and Sizes are Available. For more information or to order please visit our ABOUT page or call us at 561-691-1110. 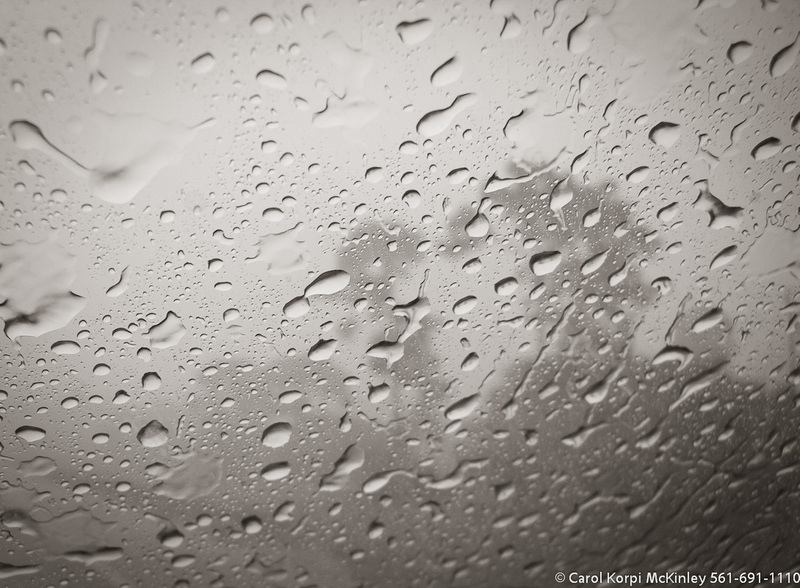 Rainy Landscape, #YNG-154. 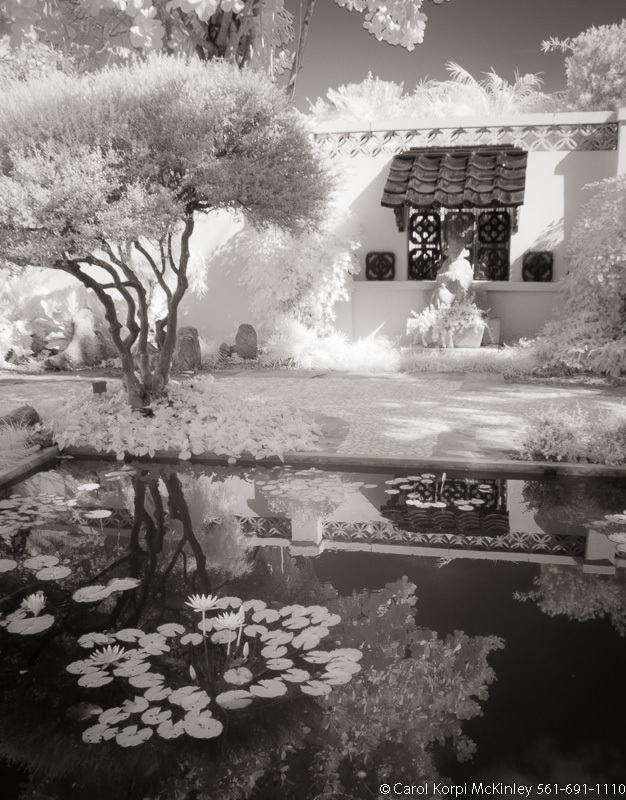 Black-White Photograph, Stretched and Gallery Wrapped, Limited Edition Archival Print on Canvas: 60 x 40 inches, $1590. Custom Proportions and Sizes are Available. For more information or to order please visit our ABOUT page or call us at 561-691-1110. 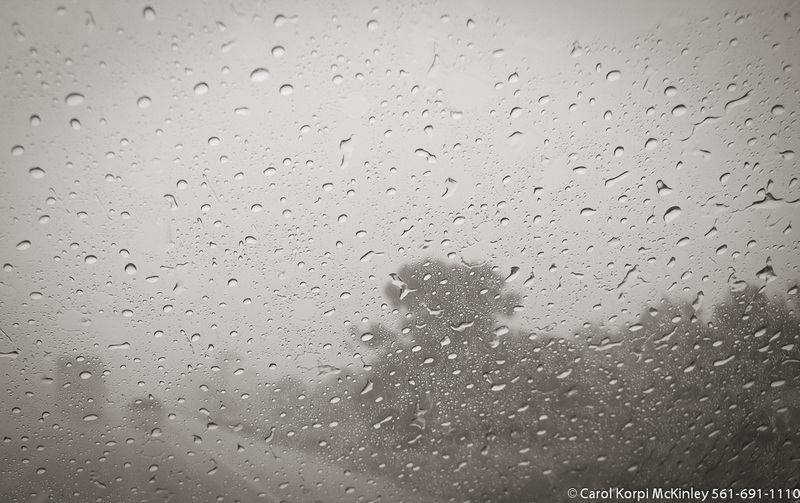 Rainy Landscape, #YNG-155. 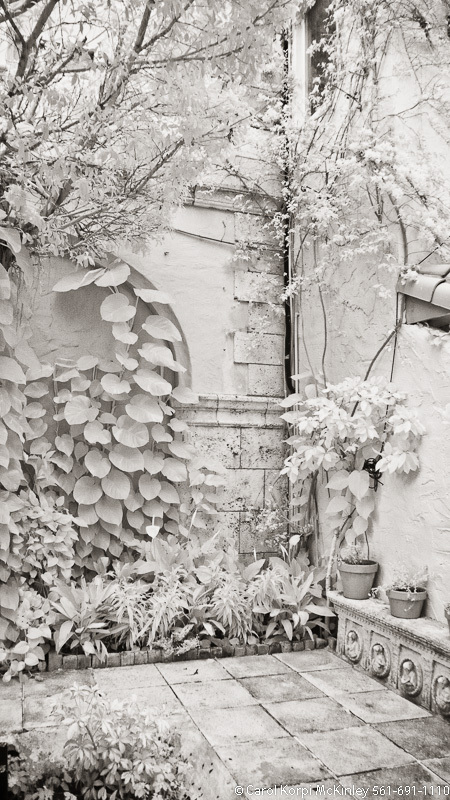 Black-White Photograph, Stretched and Gallery Wrapped, Limited Edition Archival Print on Canvas: 68 x 40 inches, $1620. Custom Proportions and Sizes are Available. For more information or to order please visit our ABOUT page or call us at 561-691-1110. Savanna , South Africa #YNG-156. 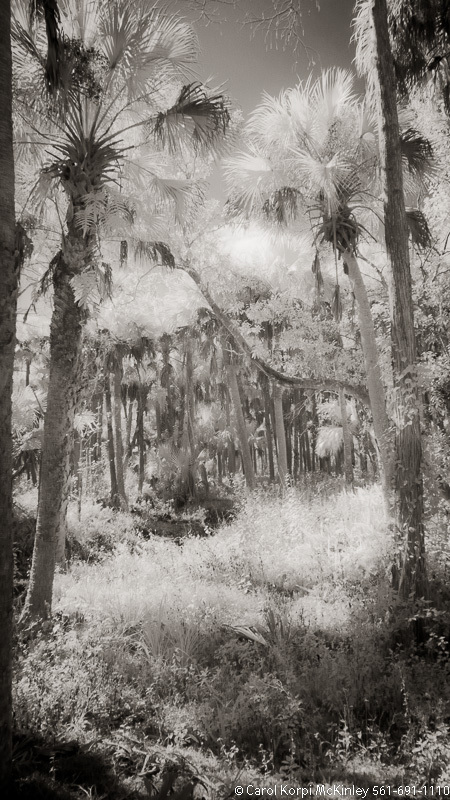 Infrared Photograph, Stretched and Gallery Wrapped, Limited Edition Archival Print on Canvas: 56 x 40 inches, $1590. Custom Proportions and Sizes are Available. For more information or to order please visit our ABOUT page or call us at 561-691-1110. Savanna , South Africa #YNG-157. 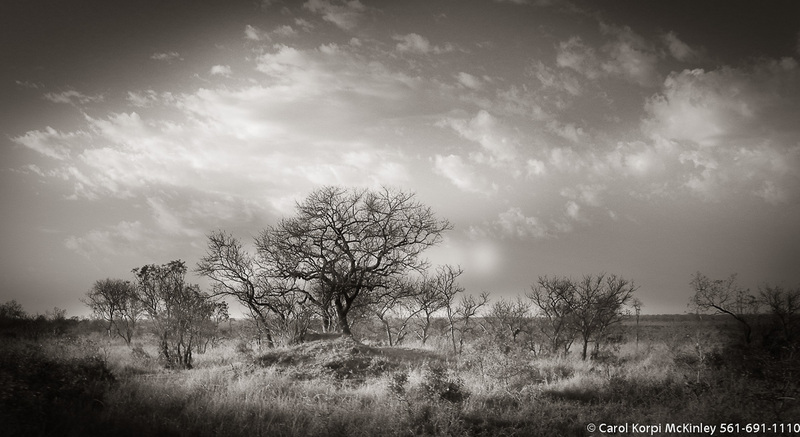 Black-White Photograph, Stretched and Gallery Wrapped, Limited Edition Archival Print on Canvas: 68 x 36 inches, $1620. Custom Proportions and Sizes are Available. For more information or to order please visit our ABOUT page or call us at 561-691-1110. Savanna , South Africa #YNG-158. 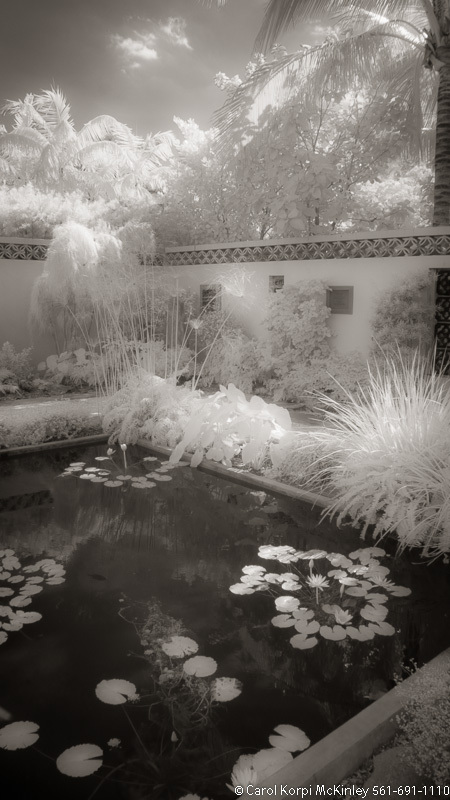 Infrared Photograph, Stretched and Gallery Wrapped, Limited Edition Archival Print on Canvas: 40 x 40 inches, $1500. Custom Proportions and Sizes are Available. For more information or to order please visit our ABOUT page or call us at 561-691-1110. Savanna , South Africa #YNG-159. 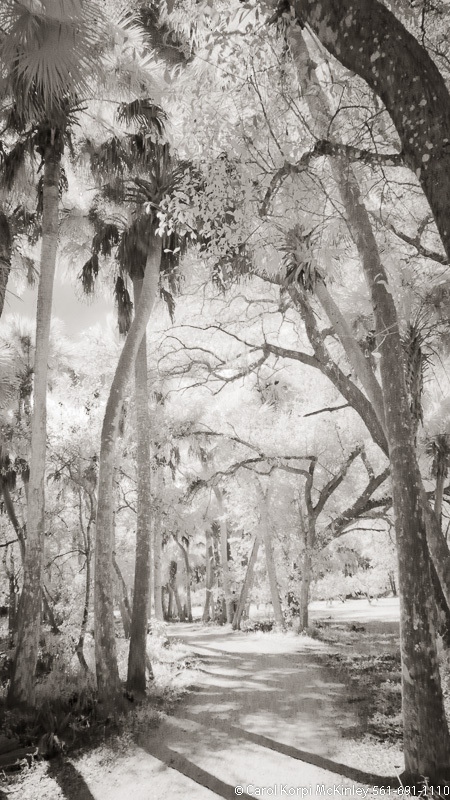 Infrared Photograph, Stretched and Gallery Wrapped, Limited Edition Archival Print on Canvas: 40 x 50 inches, $1560. Custom Proportions and Sizes are Available. For more information or to order please visit our ABOUT page or call us at 561-691-1110. Savanna , South Africa #YNG-160. 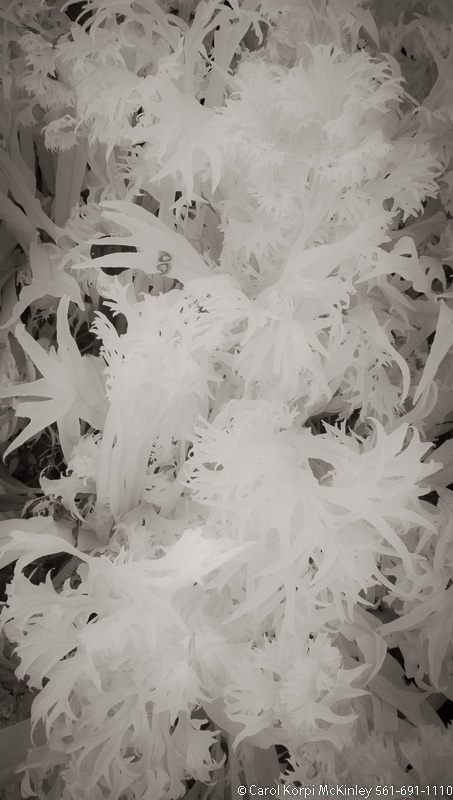 Infrared Photograph, Stretched and Gallery Wrapped, Limited Edition Archival Print on Canvas: 40 x 40 inches, $1500. Custom Proportions and Sizes are Available. For more information or to order please visit our ABOUT page or call us at 561-691-1110. Shawdows , South Africa #YNG-161. 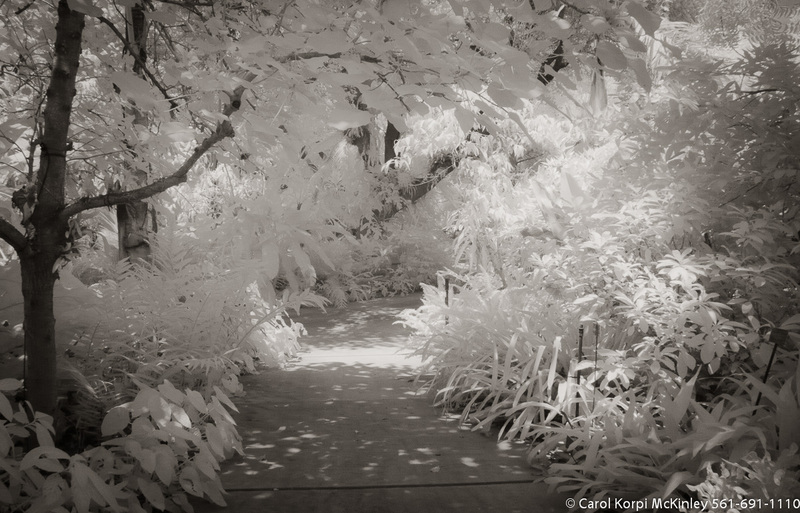 Infrared Photograph, Stretched and Gallery Wrapped, Limited Edition Archival Print on Canvas: 68 x 30 inches, $1560. Custom Proportions and Sizes are Available. For more information or to order please visit our ABOUT page or call us at 561-691-1110. Savanna , South Africa #YNG-162. 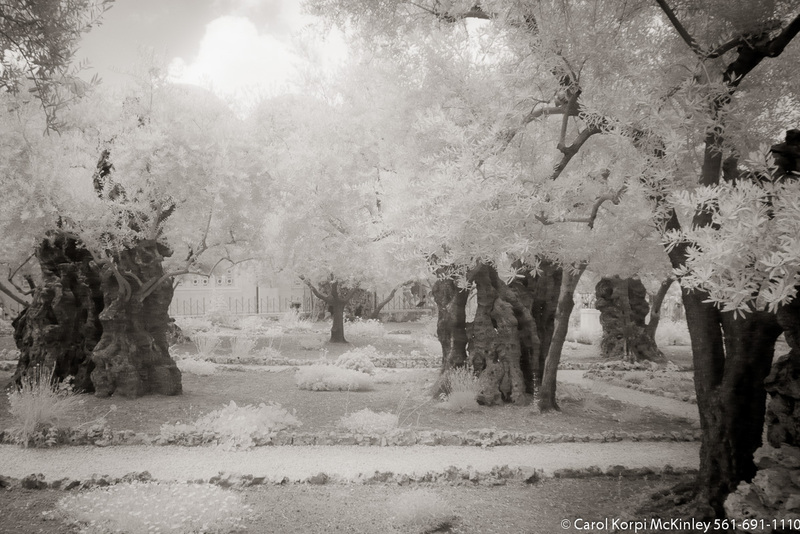 Infrared Photograph, Stretched and Gallery Wrapped, Limited Edition Archival Print on Canvas: 40 x 56 inches, $1590. Custom Proportions and Sizes are Available. For more information or to order please visit our ABOUT page or call us at 561-691-1110. Botanical Garden, South Africa #YNG-163. 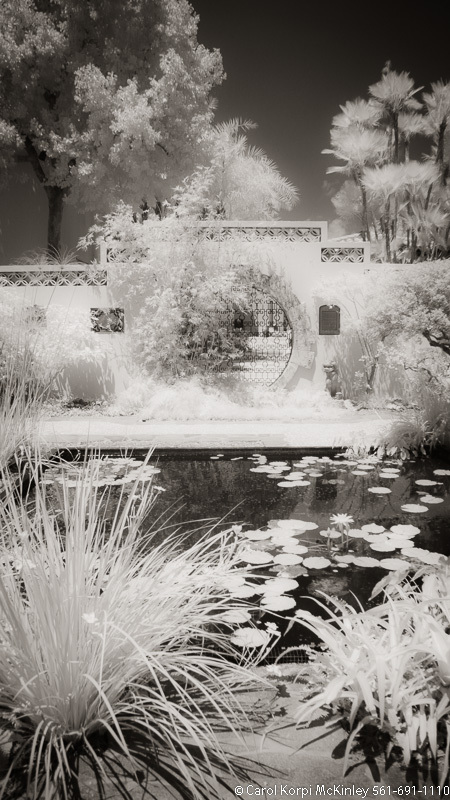 Infrared Photograph, Stretched and Gallery Wrapped, Limited Edition Archival Print on Canvas: 56 x 40 inches, $1590. Custom Proportions and Sizes are Available. For more information or to order please visit our ABOUT page or call us at 561-691-1110. Botanical Garden, South Africa #YNG-164. 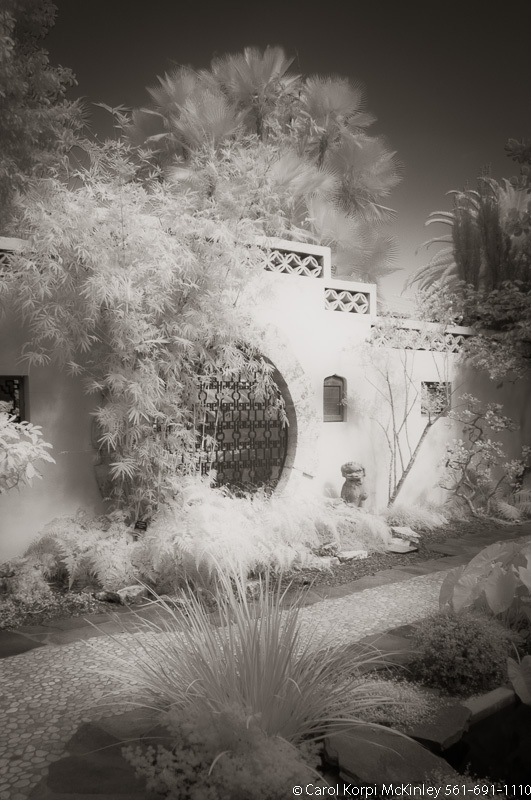 Infrared Photograph, Stretched and Gallery Wrapped, Limited Edition Archival Print on Canvas: 56 x 40 inches, $1590. Custom Proportions and Sizes are Available. For more information or to order please visit our ABOUT page or call us at 561-691-1110. Botanical Garden, South Africa #YNG-165. 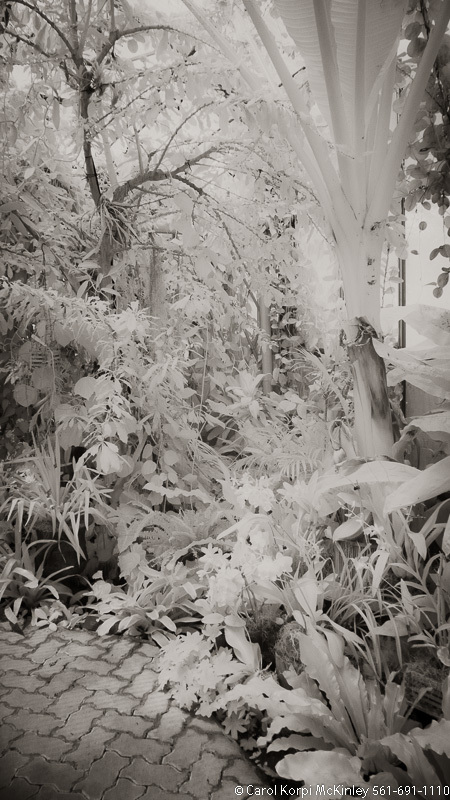 Infrared Photograph, Stretched and Gallery Wrapped, Limited Edition Archival Print on Canvas: 48 x 40 inches, $1560. Custom Proportions and Sizes are Available. For more information or to order please visit our ABOUT page or call us at 561-691-1110. Botanical Garden, South Africa #YNG-166. 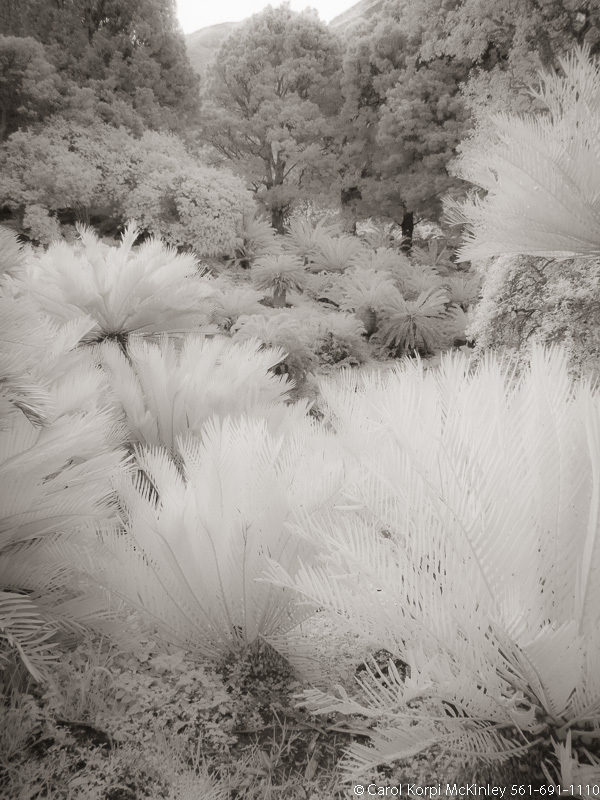 Infrared Photograph, Stretched and Gallery Wrapped, Limited Edition Archival Print on Canvas: 40 x 44 inches, $1530. Custom Proportions and Sizes are Available. For more information or to order please visit our ABOUT page or call us at 561-691-1110. Botanical Garden, South Africa #YNG-167. 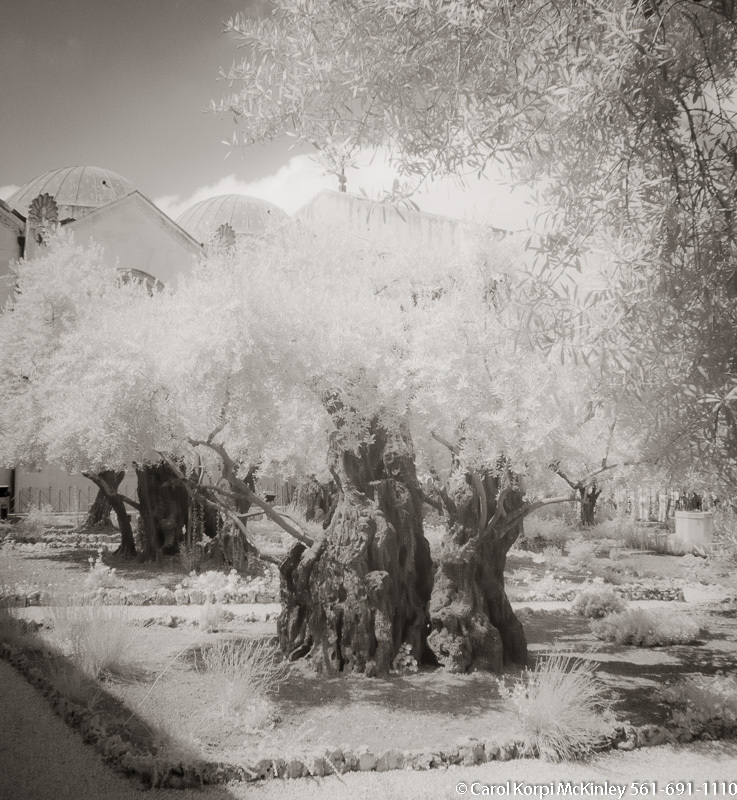 Infrared Photograph, Stretched and Gallery Wrapped, Limited Edition Archival Print on Canvas: 40 x 56 inches, $1590. Custom Proportions and Sizes are Available. For more information or to order please visit our ABOUT page or call us at 561-691-1110. Botanical Garden, South Africa #YNG-168. 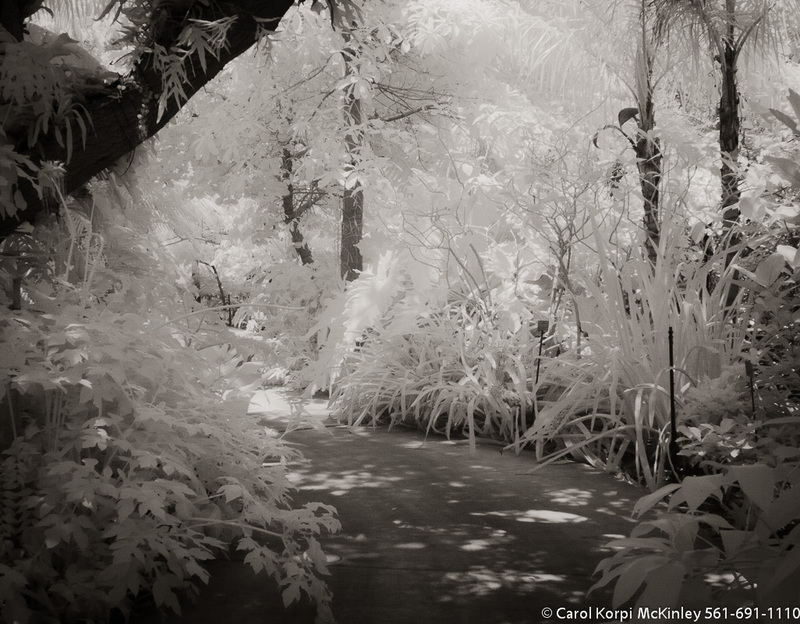 Infrared Photograph, Stretched and Gallery Wrapped, Limited Edition Archival Print on Canvas: 40 x 56 inches, $1590. Custom Proportions and Sizes are Available. For more information or to order please visit our ABOUT page or call us at 561-691-1110. Botanical Garden, South Africa #YNG-169. 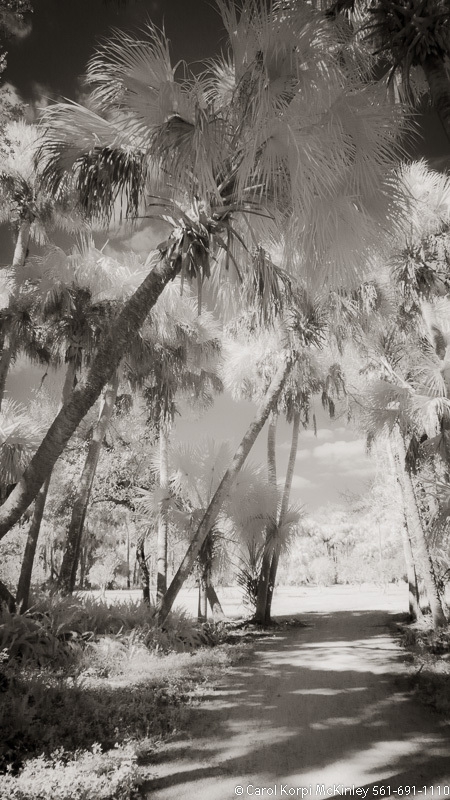 Infrared Photograph, Stretched and Gallery Wrapped, Limited Edition Archival Print on Canvas: 56 x 40 inches, $1590. Custom Proportions and Sizes are Available. For more information or to order please visit our ABOUT page or call us at 561-691-1110. Botanical Garden, South Africa #YNG-170. 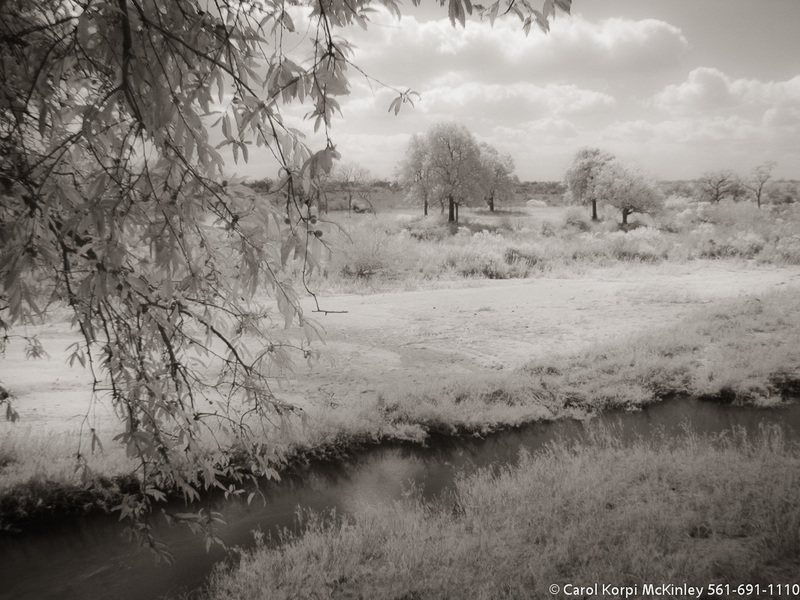 Infrared Photograph, Stretched and Gallery Wrapped, Limited Edition Archival Print on Canvas: 72 x 30 inches, $1560. Custom Proportions and Sizes are Available. For more information or to order please visit our ABOUT page or call us at 561-691-1110. Botanical Garden, South Africa #YNG-171. 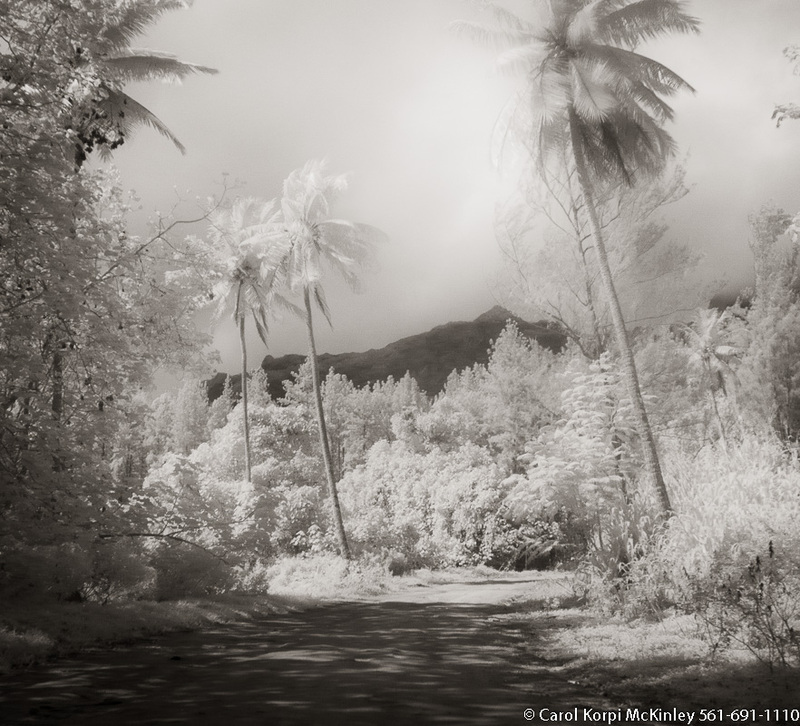 Infrared Photograph, Stretched and Gallery Wrapped, Limited Edition Archival Print on Canvas: 56 x 40 inches, $1590. Custom Proportions and Sizes are Available. For more information or to order please visit our ABOUT page or call us at 561-691-1110. Botanical Garden, South Africa #YNG-172. 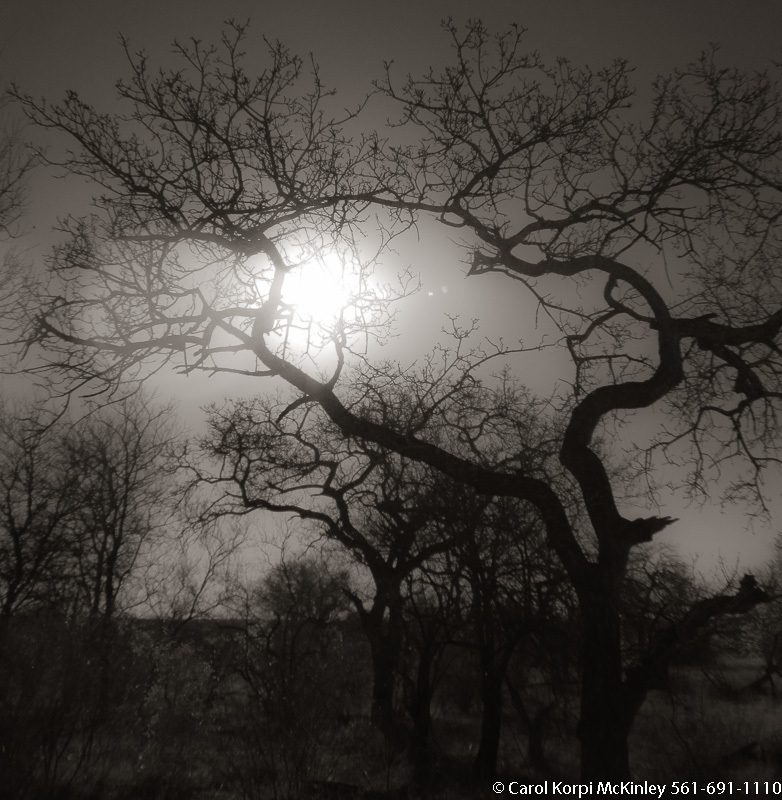 Infrared Photograph, Stretched and Gallery Wrapped, Limited Edition Archival Print on Canvas: 40 x 56 inches, $1590. Custom Proportions and Sizes are Available. For more information or to order please visit our ABOUT page or call us at 561-691-1110. Botanical Garden, South Africa #YNG-173. 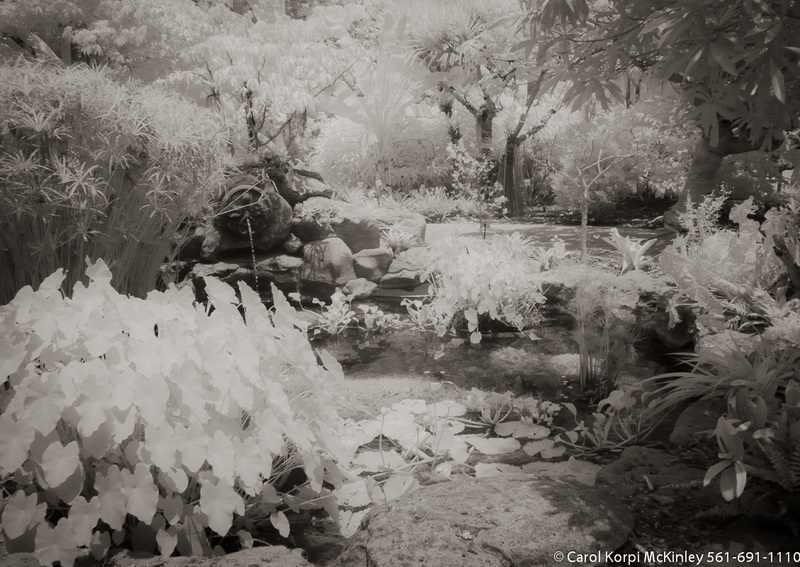 Infrared Photograph, Stretched and Gallery Wrapped, Limited Edition Archival Print on Canvas: 60 x 40 inches, $1590. Custom Proportions and Sizes are Available. For more information or to order please visit our ABOUT page or call us at 561-691-1110. Botanical Garden, South Africa #YNG-174. 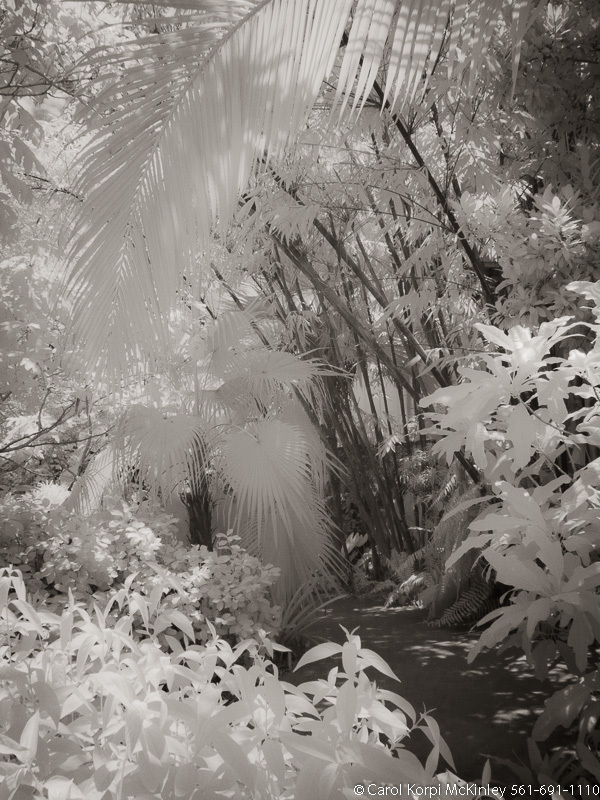 Infrared Photograph, Stretched and Gallery Wrapped, Limited Edition Archival Print on Canvas: 50 x 40 inches, $1560. Custom Proportions and Sizes are Available. For more information or to order please visit our ABOUT page or call us at 561-691-1110. Botanical Garden, South Africa #YNG-175. 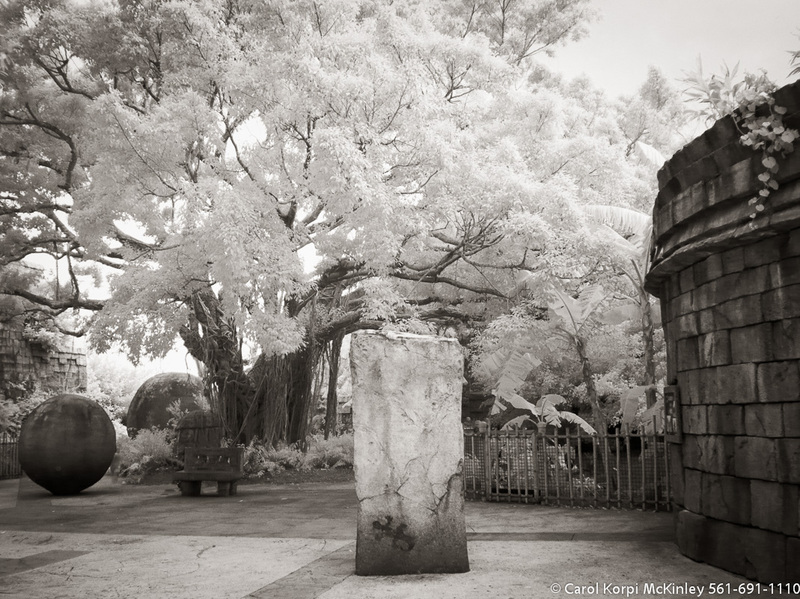 Infrared Photograph, Stretched and Gallery Wrapped, Limited Edition Archival Print on Canvas: 40 x 56 inches, $1590. Custom Proportions and Sizes are Available. For more information or to order please visit our ABOUT page or call us at 561-691-1110. Botanical Garden, South Africa #YNG-176. 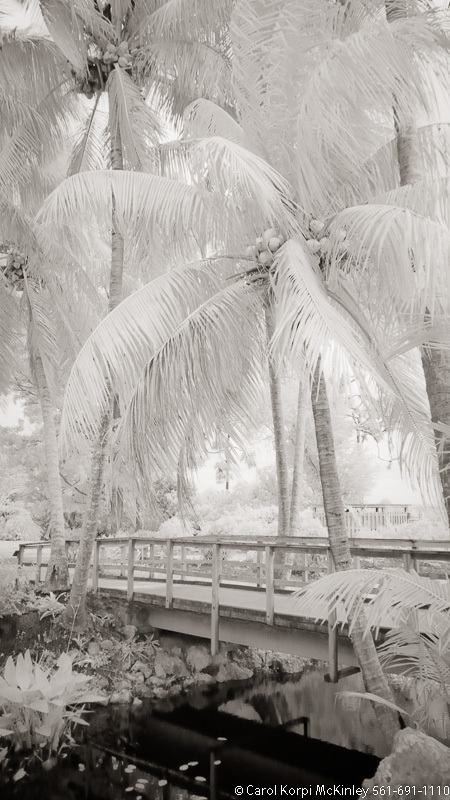 Infrared Photograph, Stretched and Gallery Wrapped, Limited Edition Archival Print on Canvas: 40 x 44 inches, $1530. Custom Proportions and Sizes are Available. For more information or to order please visit our ABOUT page or call us at 561-691-1110. Botanical Garden, South Africa #YNG-177. 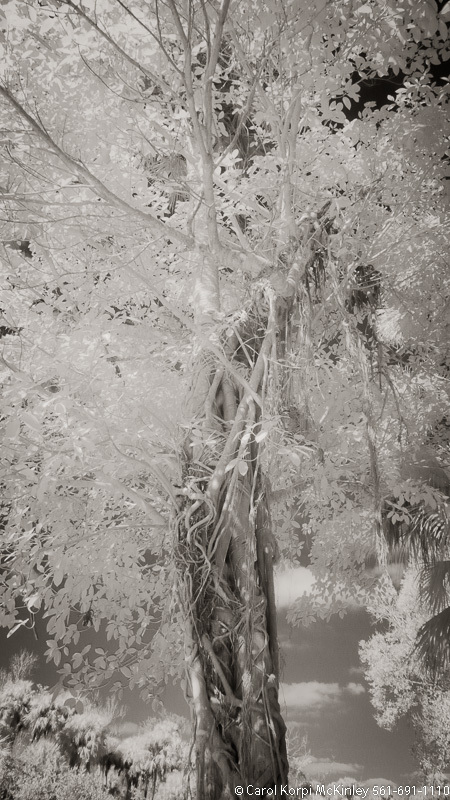 Infrared Photograph, Stretched and Gallery Wrapped, Limited Edition Archival Print on Canvas: 40 x 50 inches, $1560. Custom Proportions and Sizes are Available. For more information or to order please visit our ABOUT page or call us at 561-691-1110. Botanical Garden, South Africa #YNG-178. 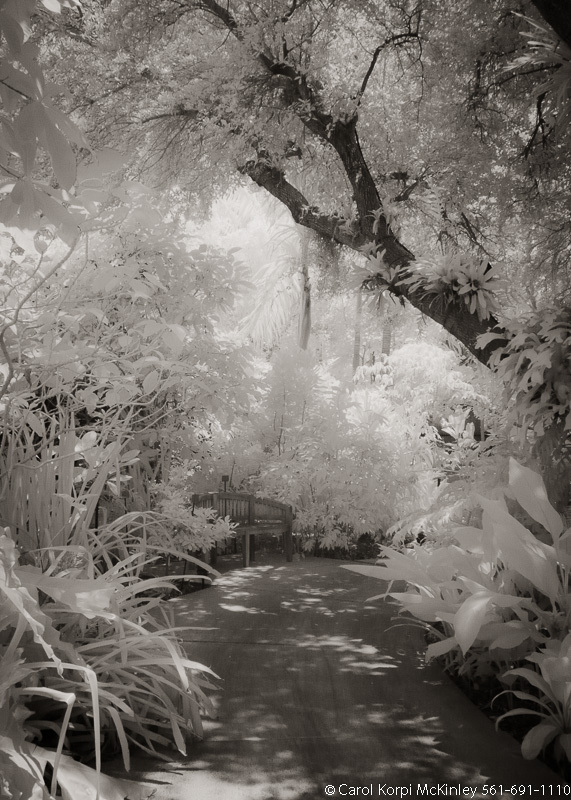 Infrared Photograph, Stretched and Gallery Wrapped, Limited Edition Archival Print on Canvas: 40 x 50 inches, $1560. Custom Proportions and Sizes are Available. For more information or to order please visit our ABOUT page or call us at 561-691-1110. Botanical Garden, South Africa #YNG-179. 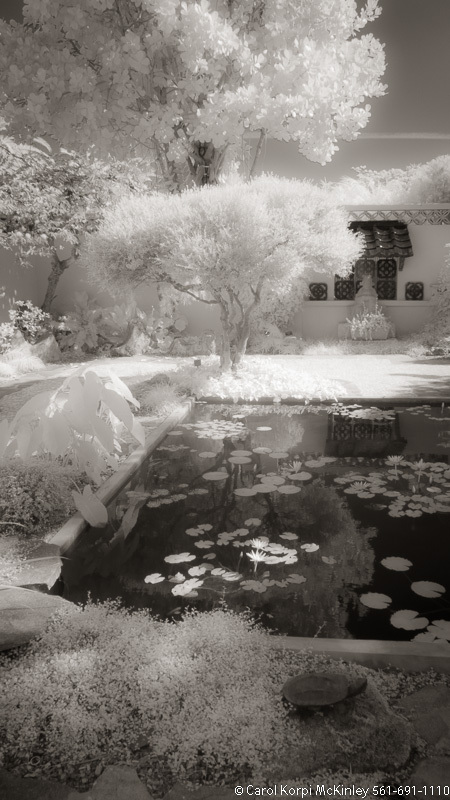 Infrared Photograph, Stretched and Gallery Wrapped, Limited Edition Archival Print on Canvas: 56 x 40 inches, $1590. Custom Proportions and Sizes are Available. For more information or to order please visit our ABOUT page or call us at 561-691-1110. Botanical Garden, South Africa #YNG-180. 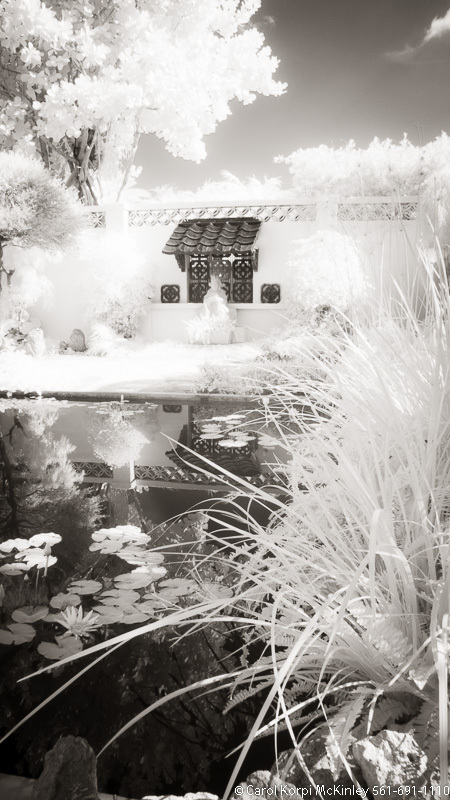 Infrared Photograph, Stretched and Gallery Wrapped, Limited Edition Archival Print on Canvas: 56 x 40 inches, $1590. Custom Proportions and Sizes are Available. For more information or to order please visit our ABOUT page or call us at 561-691-1110. Botanical Garden, South Africa #YNG-181. 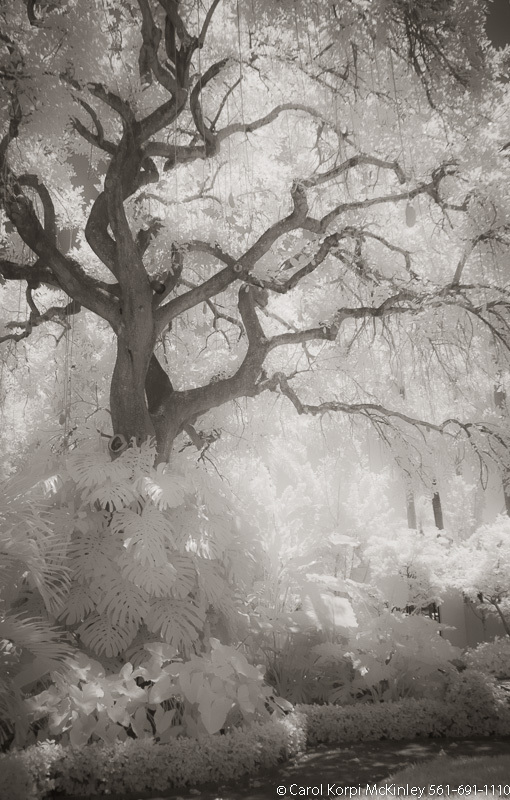 Infrared Photograph, Stretched and Gallery Wrapped, Limited Edition Archival Print on Canvas: 56 x 40 inches, $1590. Custom Proportions and Sizes are Available. For more information or to order please visit our ABOUT page or call us at 561-691-1110.